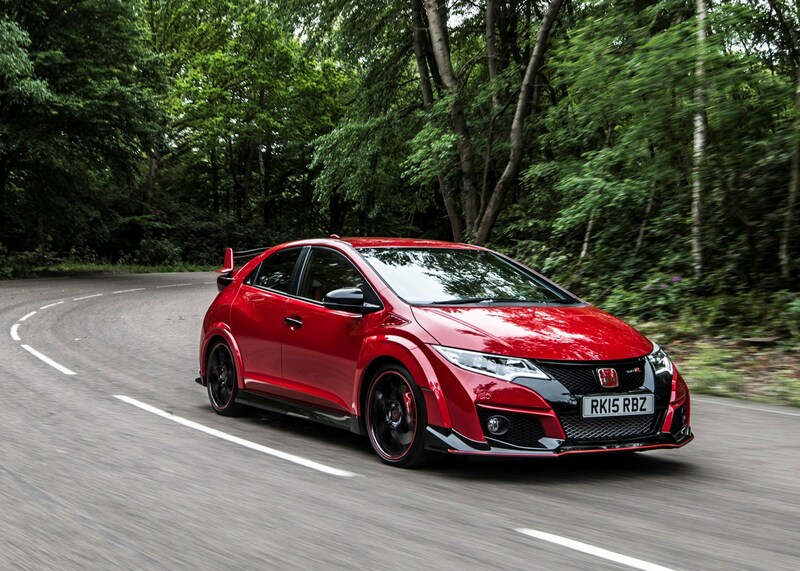 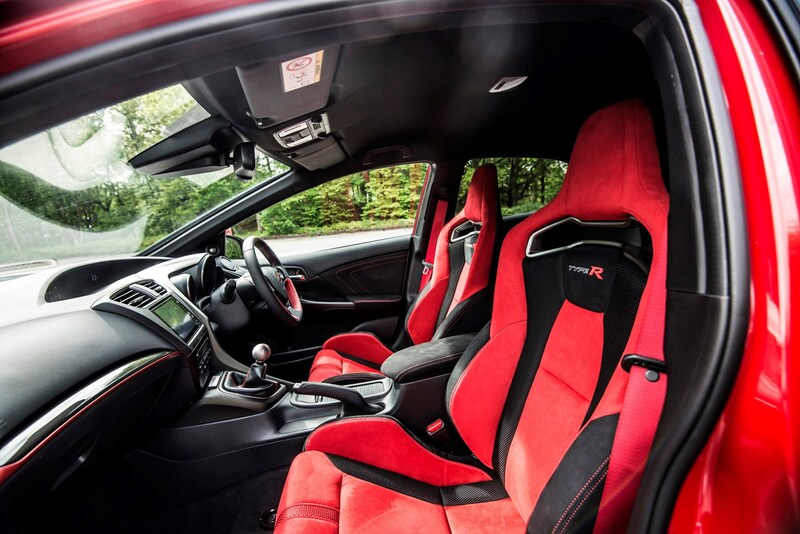 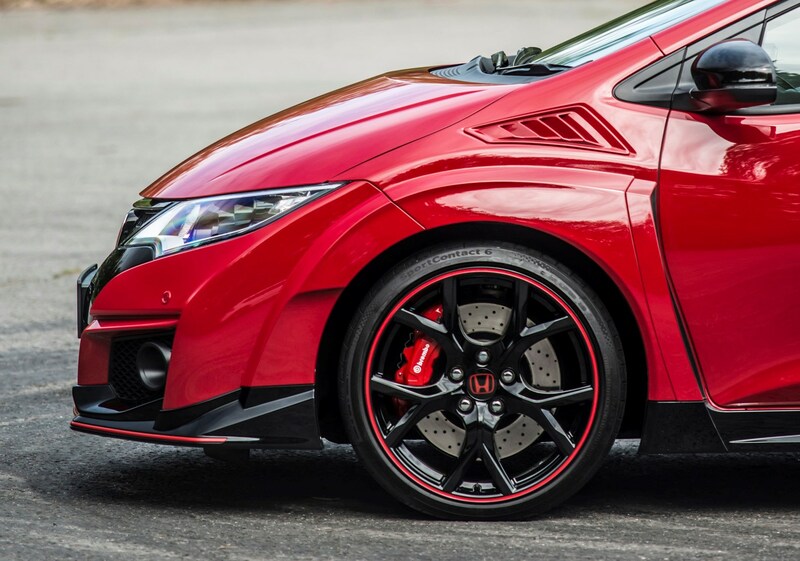 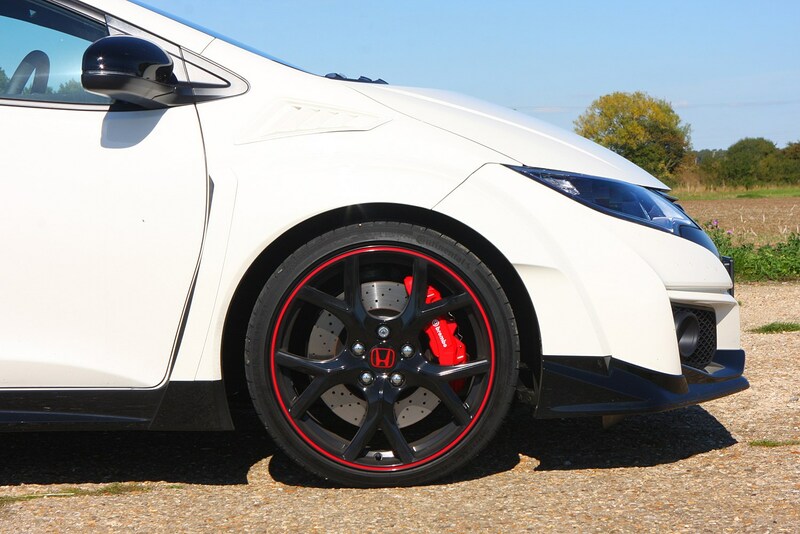 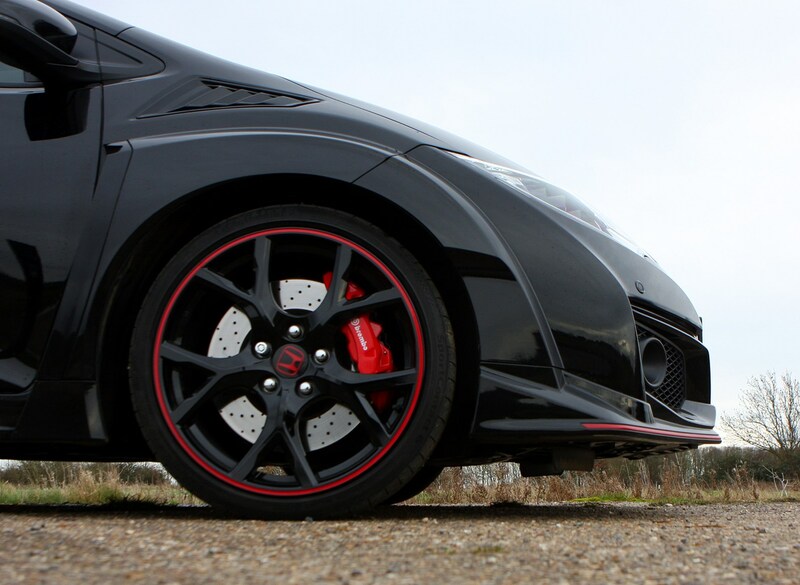 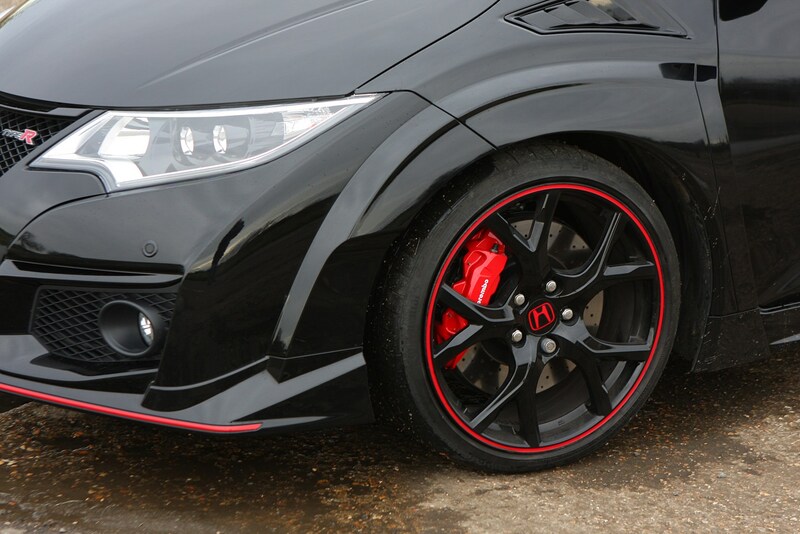 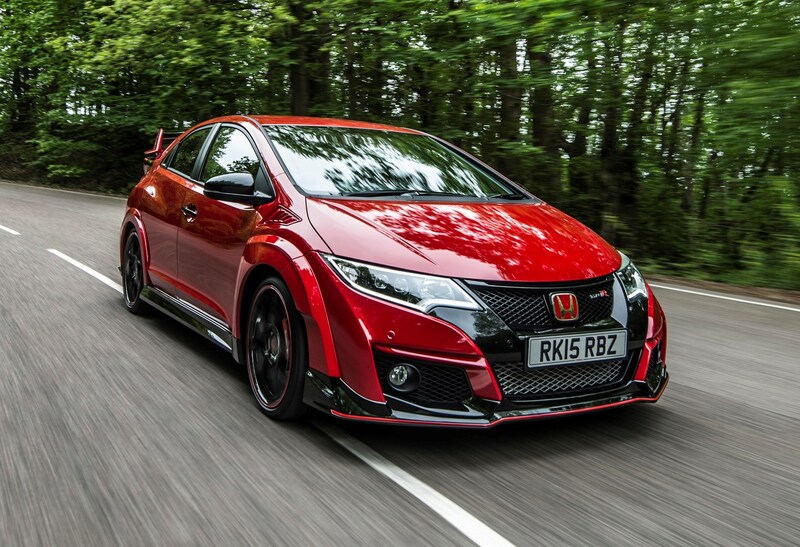 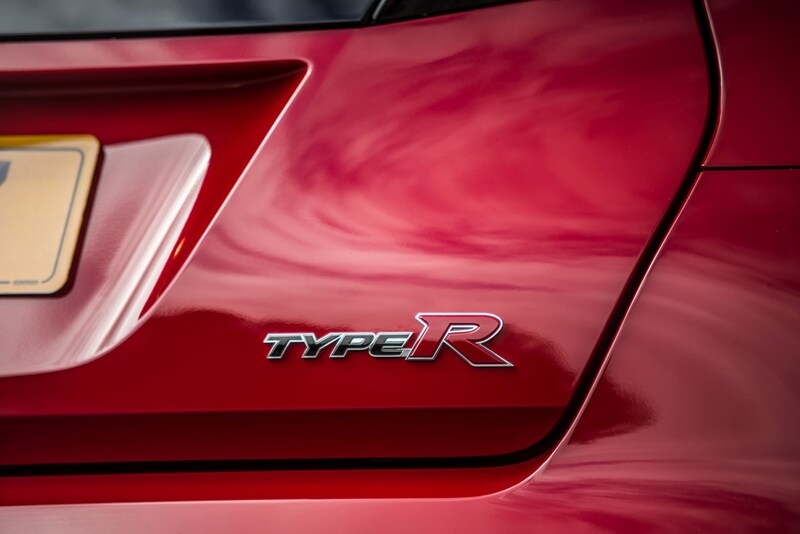 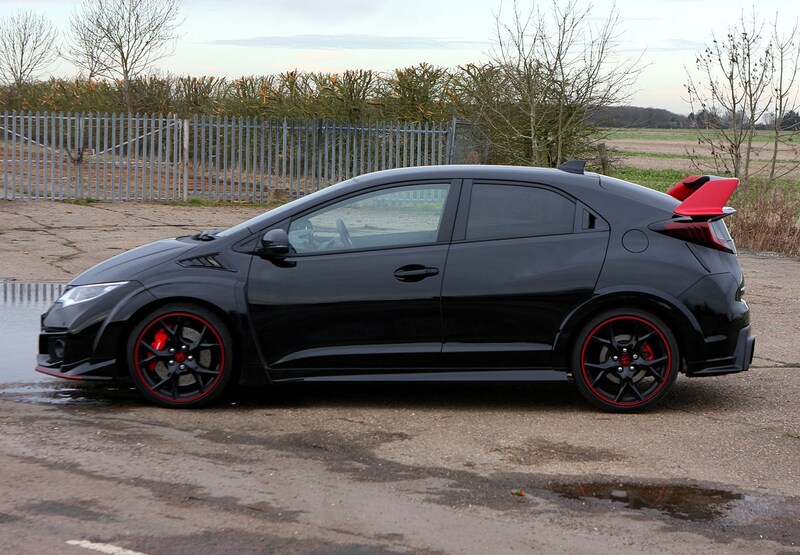 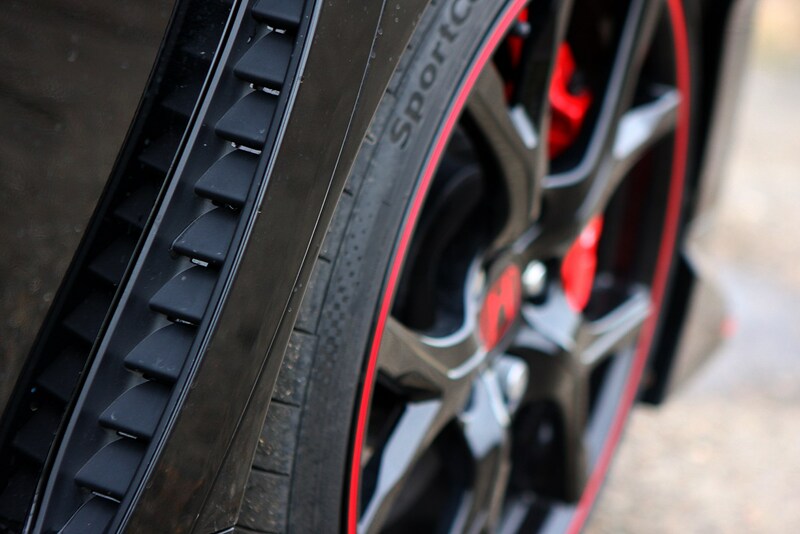 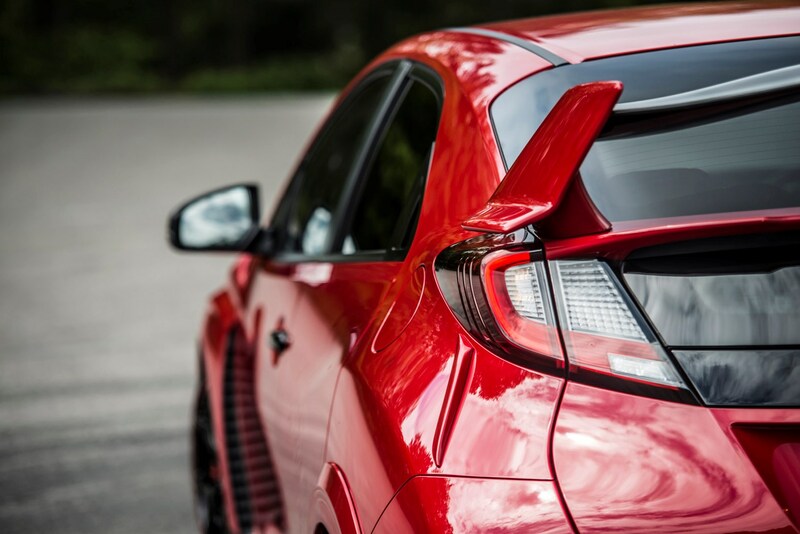 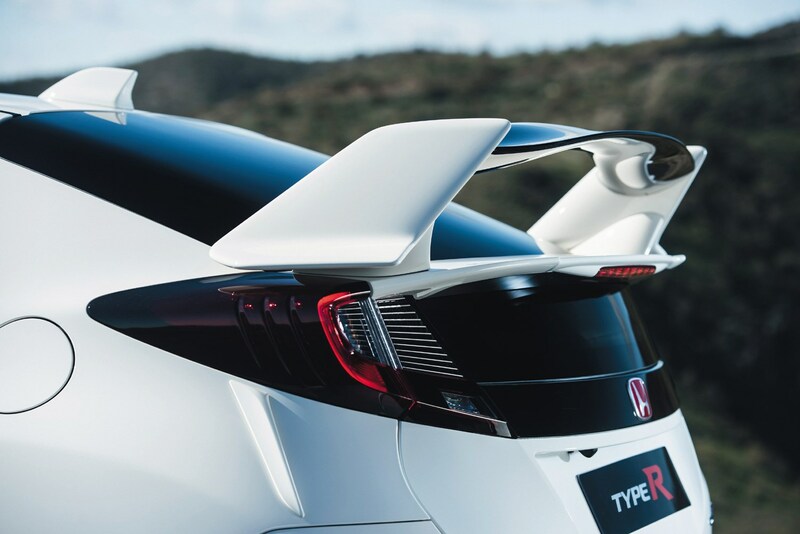 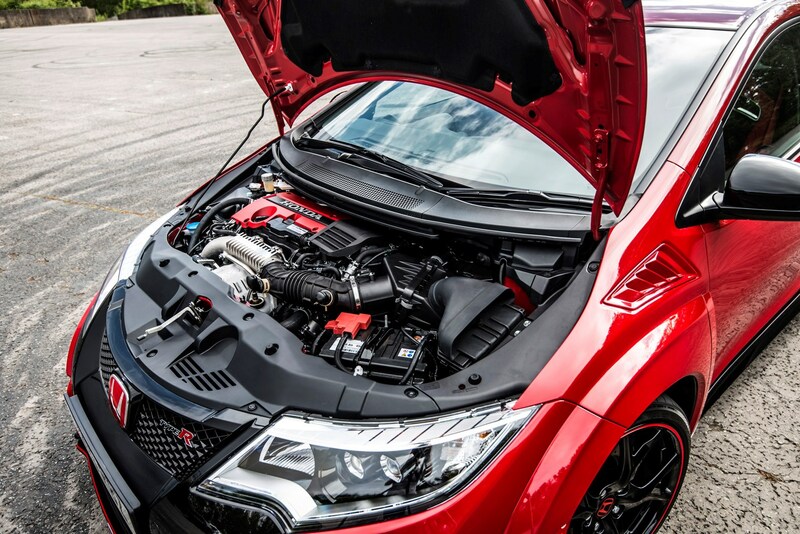 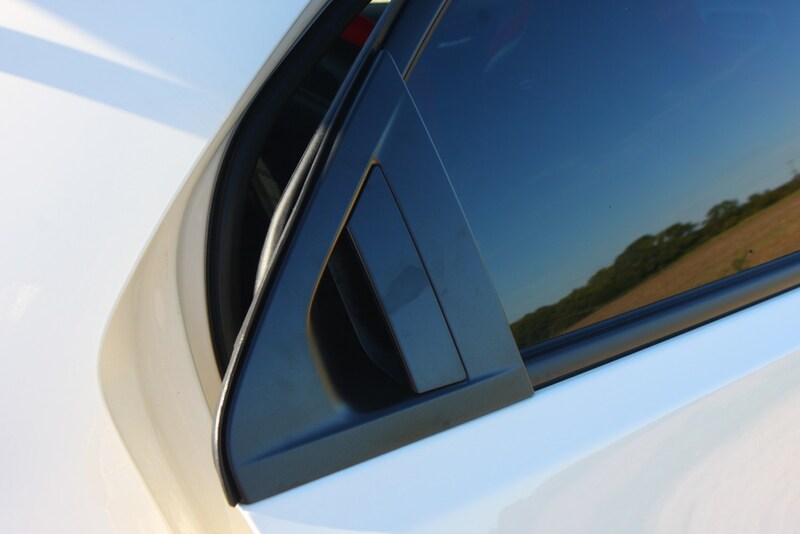 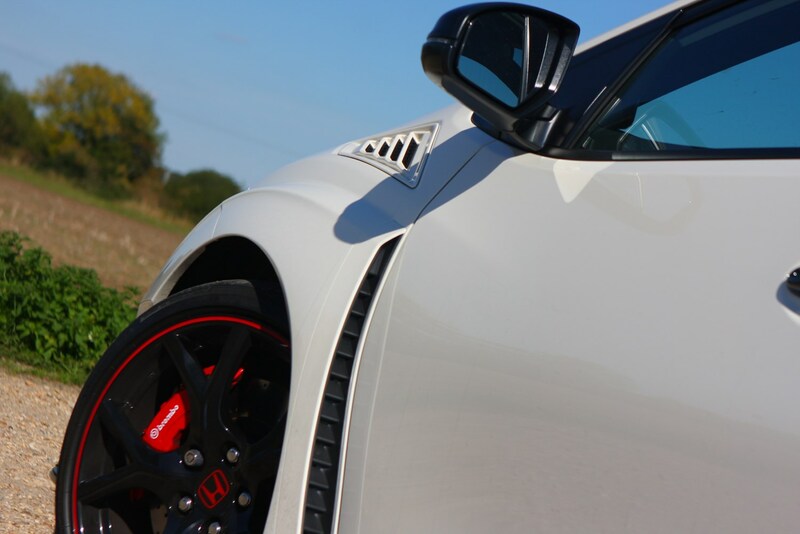 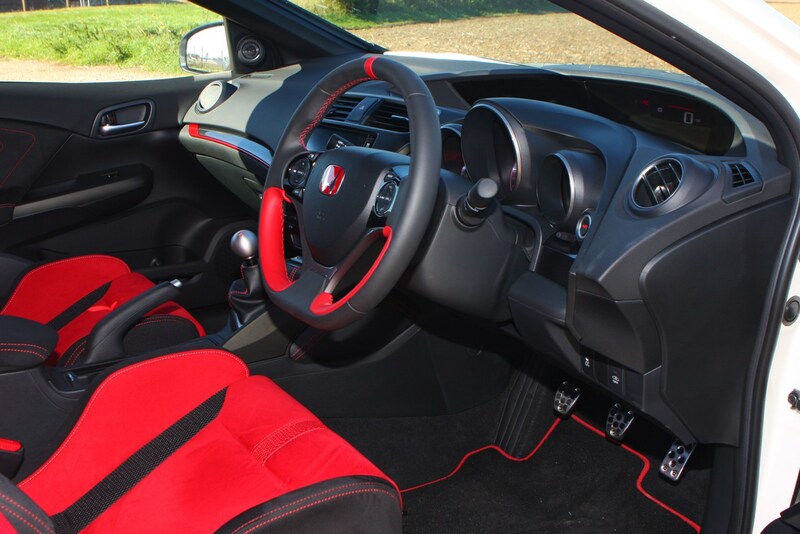 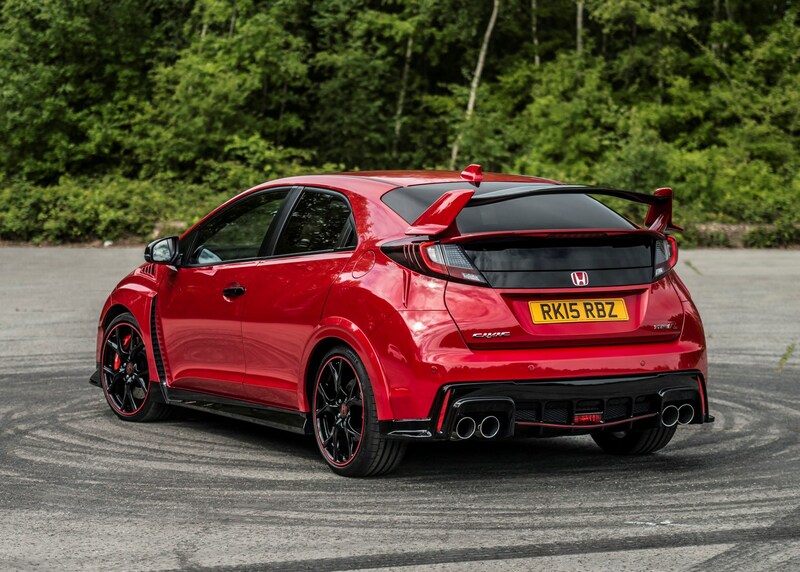 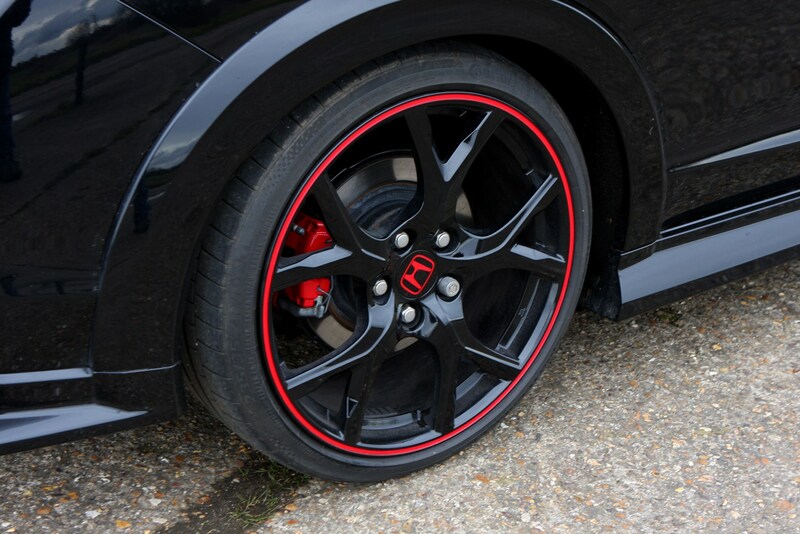 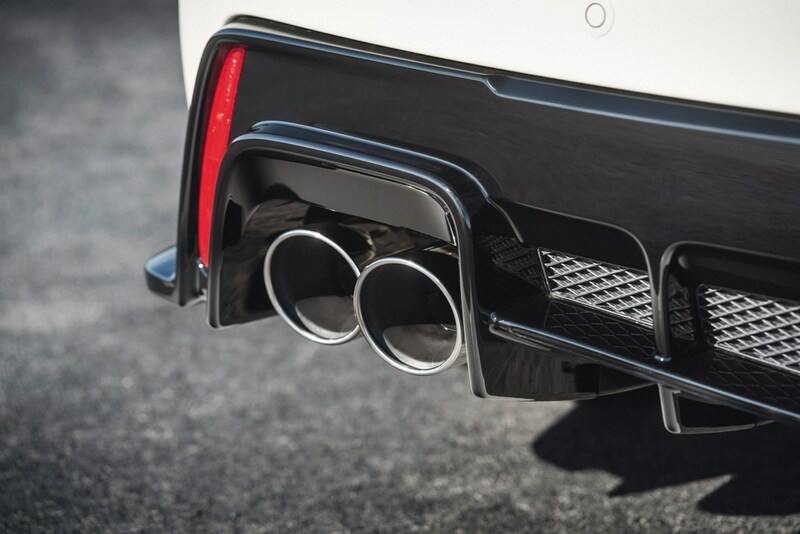 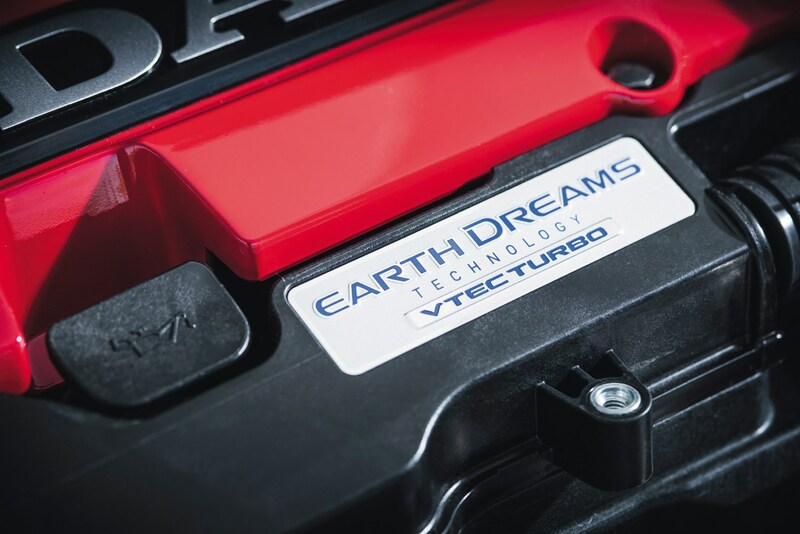 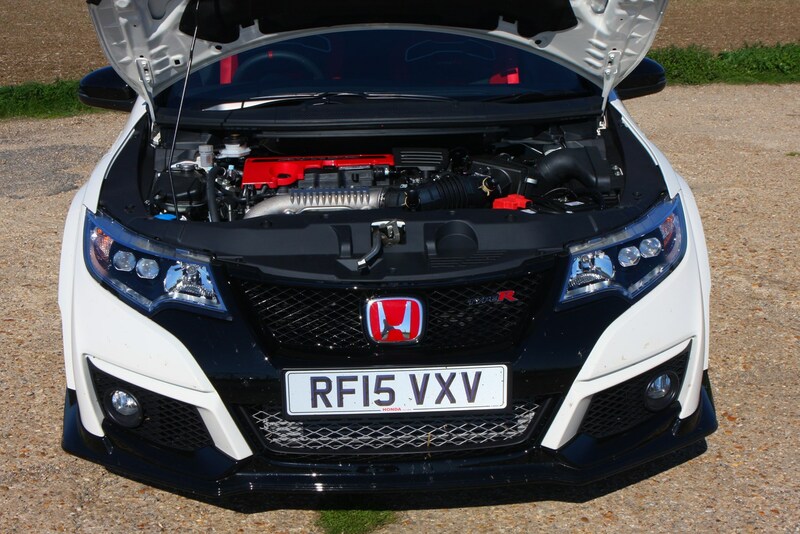 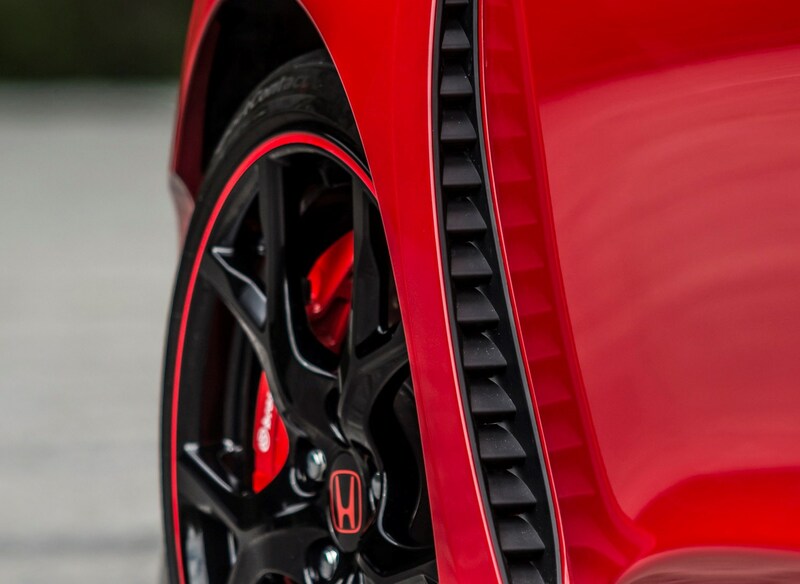 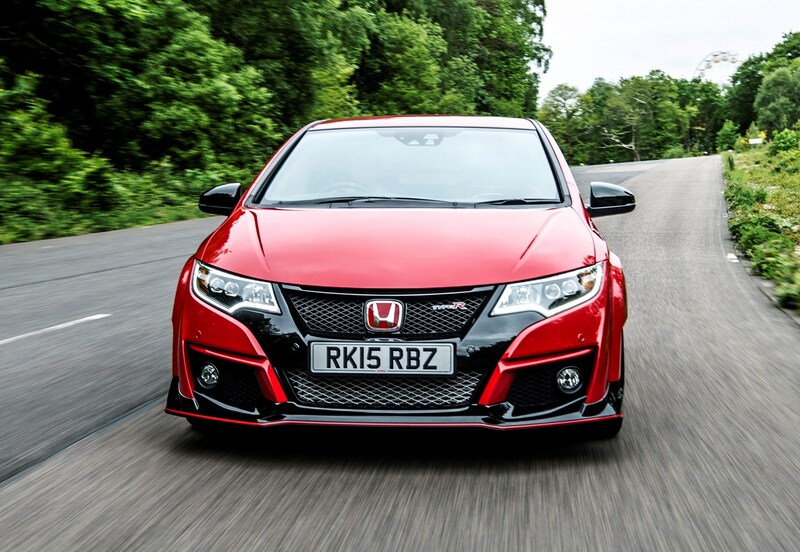 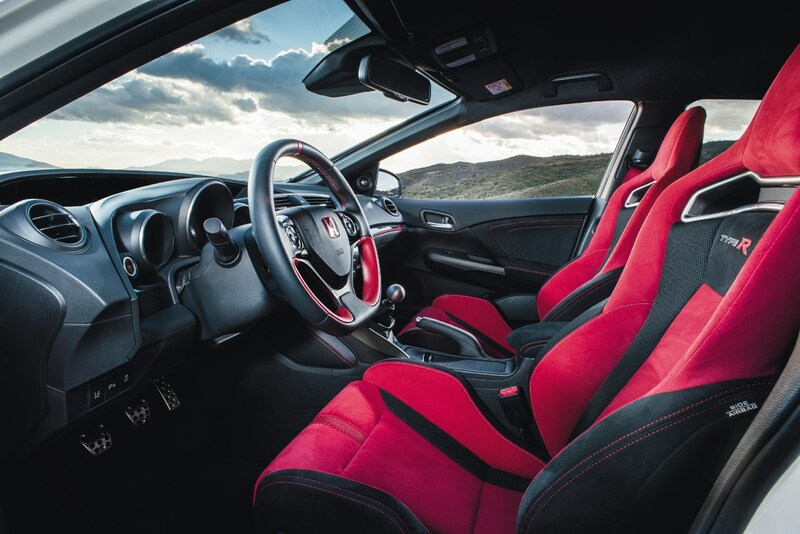 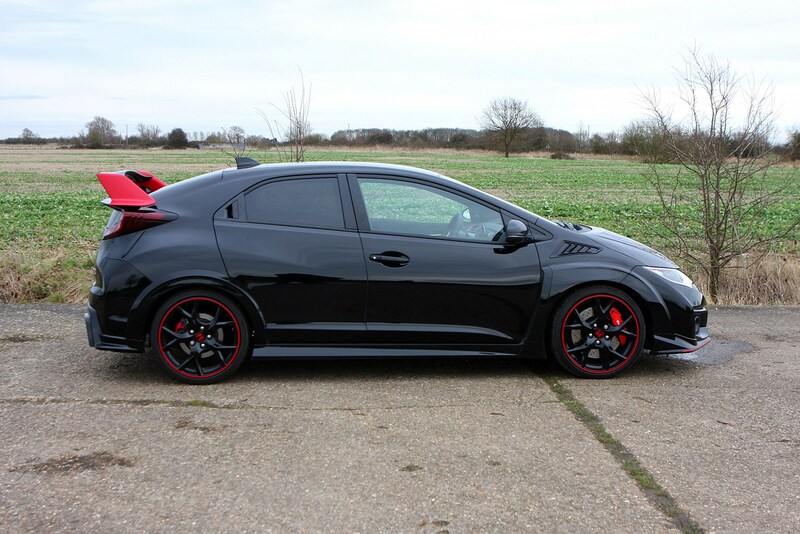 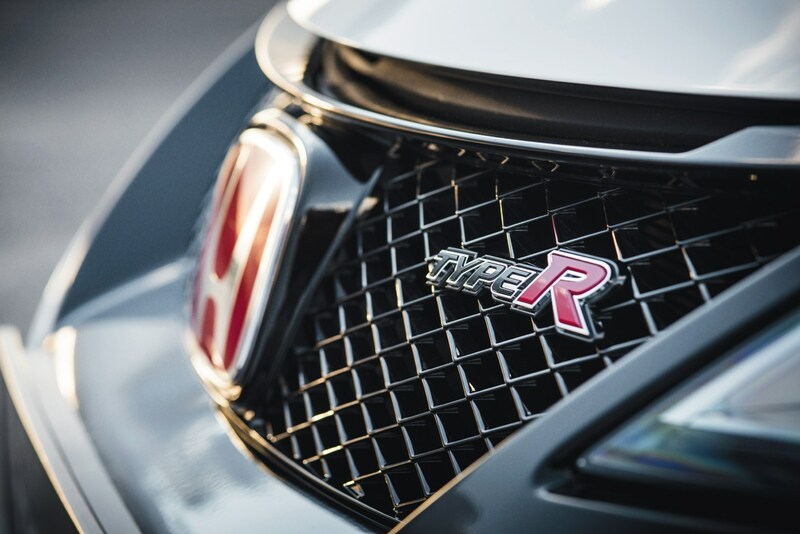 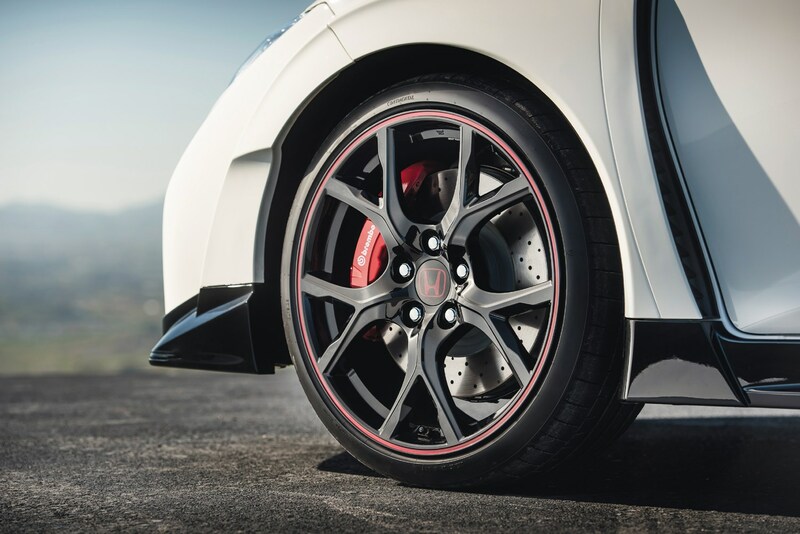 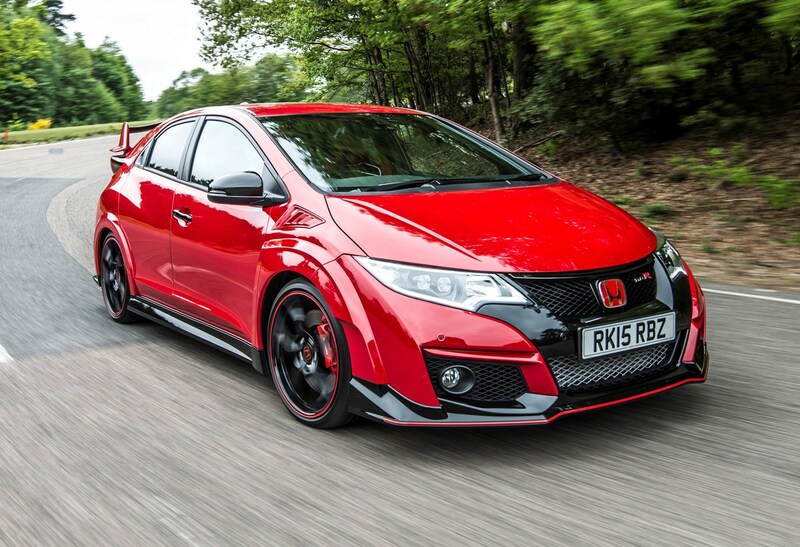 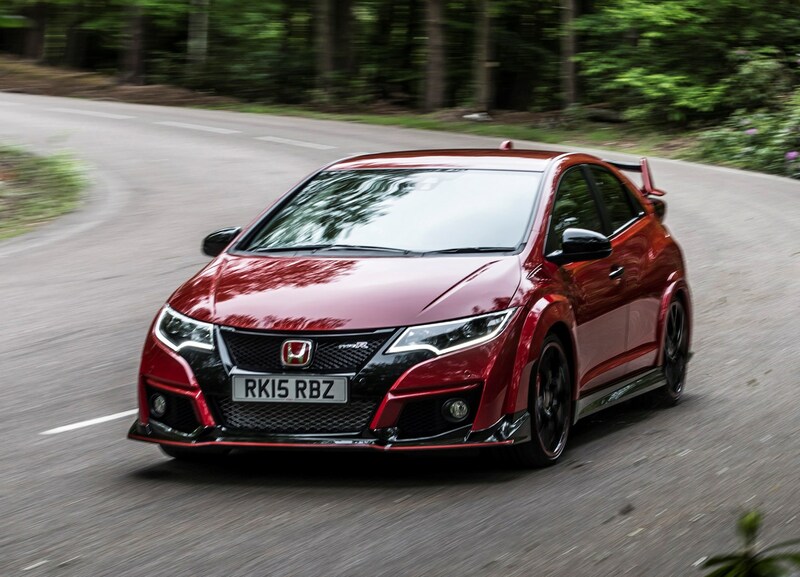 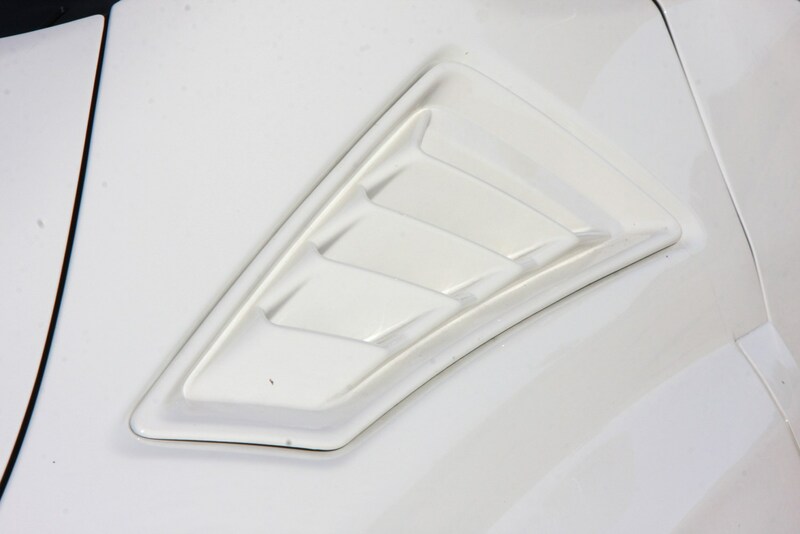 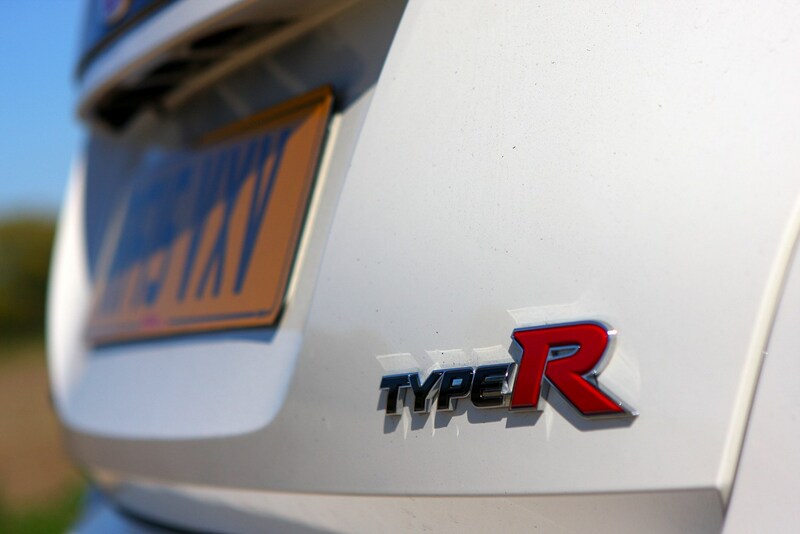 As the top-trim level in the range the Honda Civic Type R benefits from a comprehensive standard kit list and there are only two trims to choose from – Standard and GT. 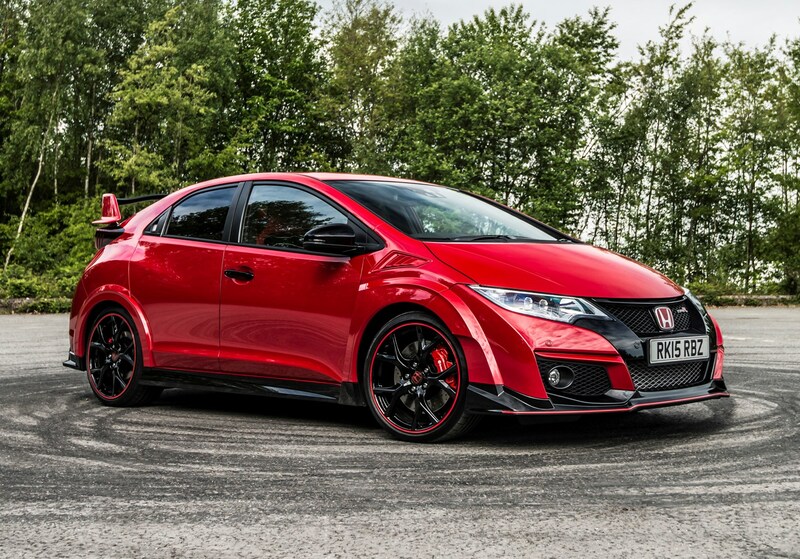 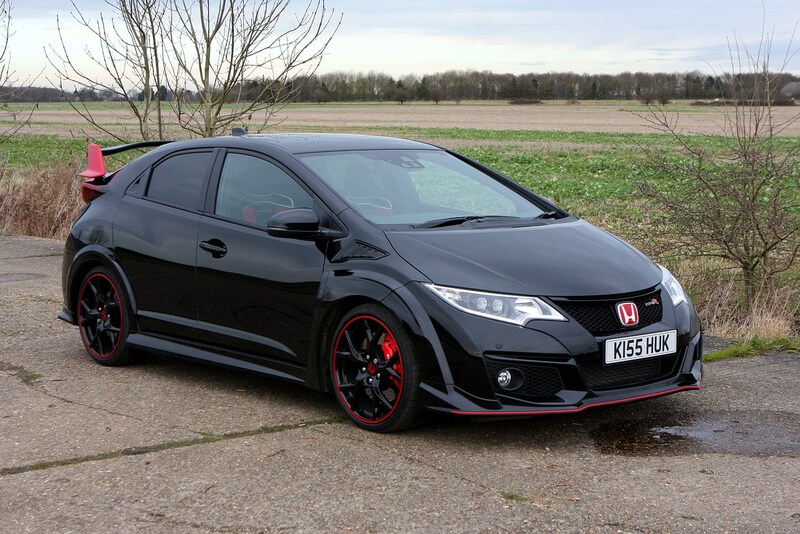 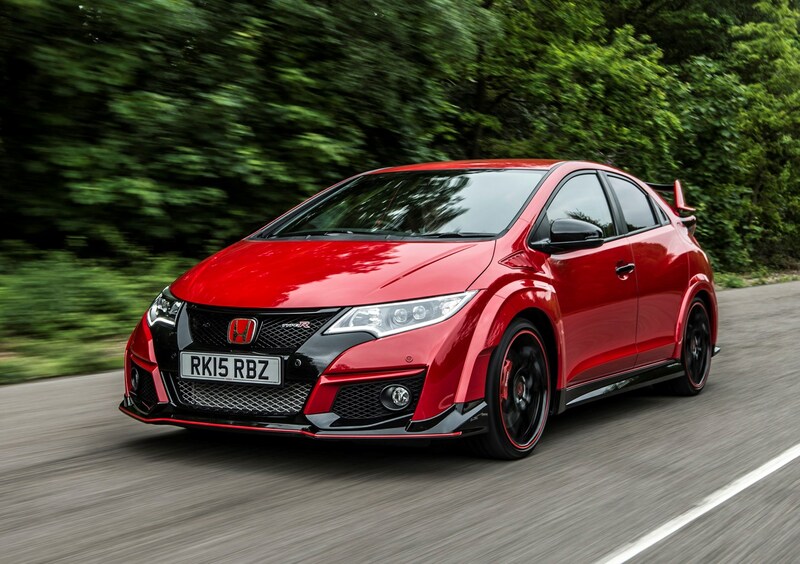 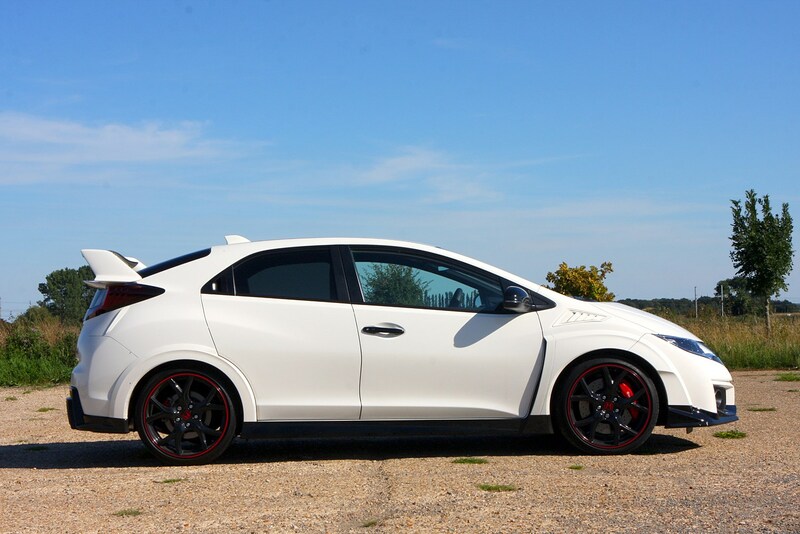 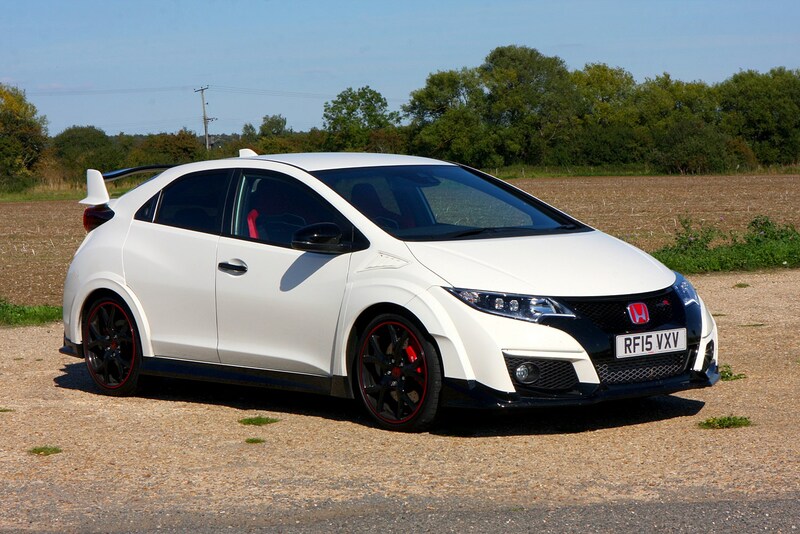 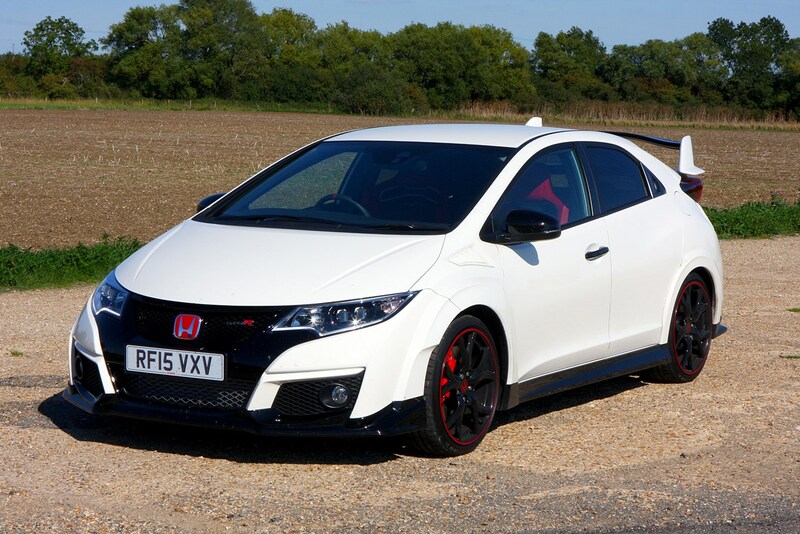 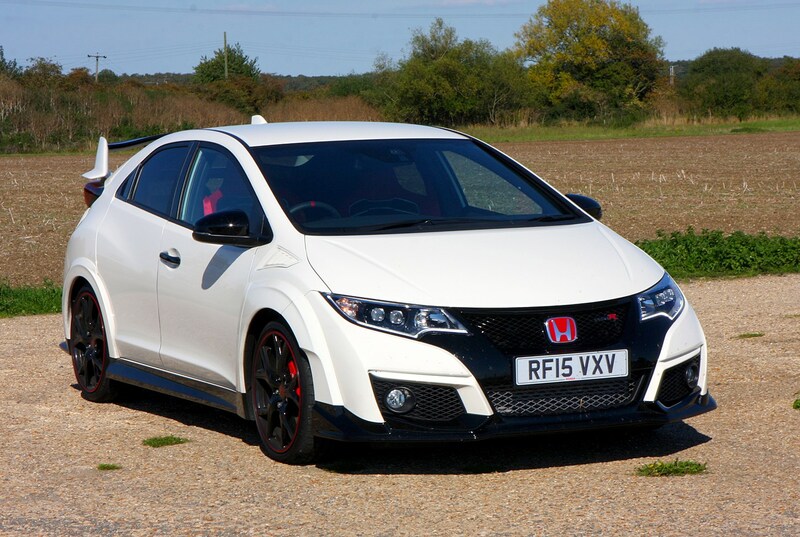 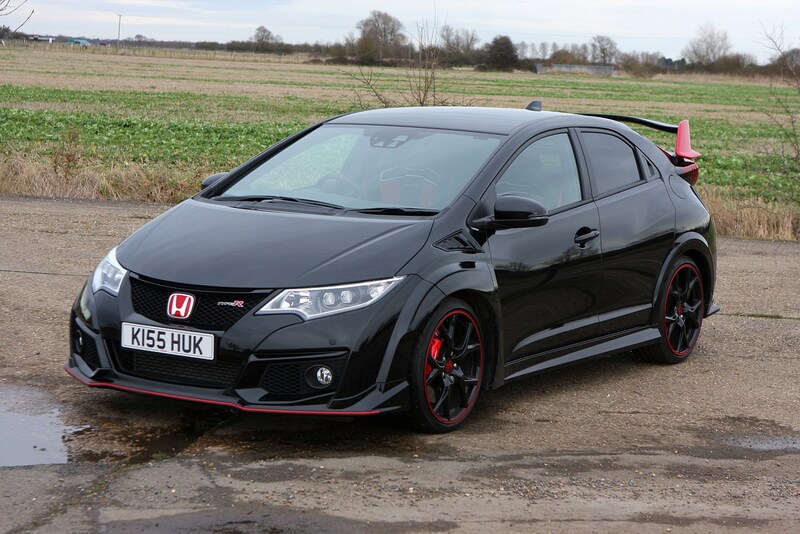 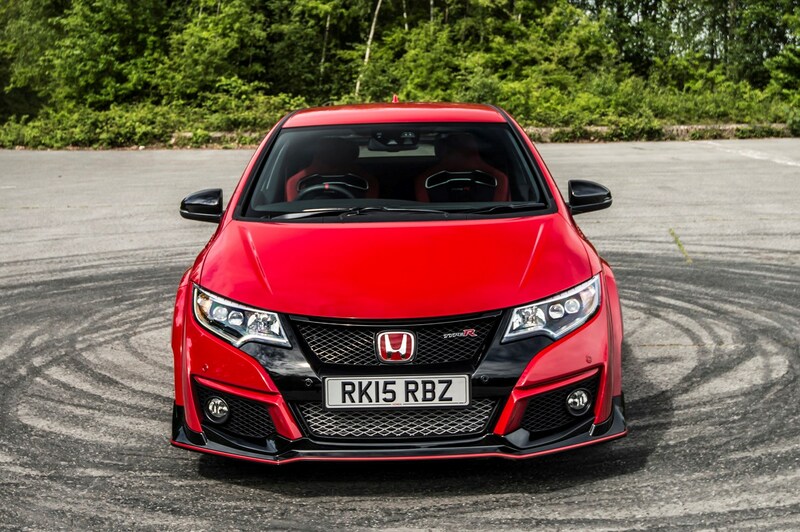 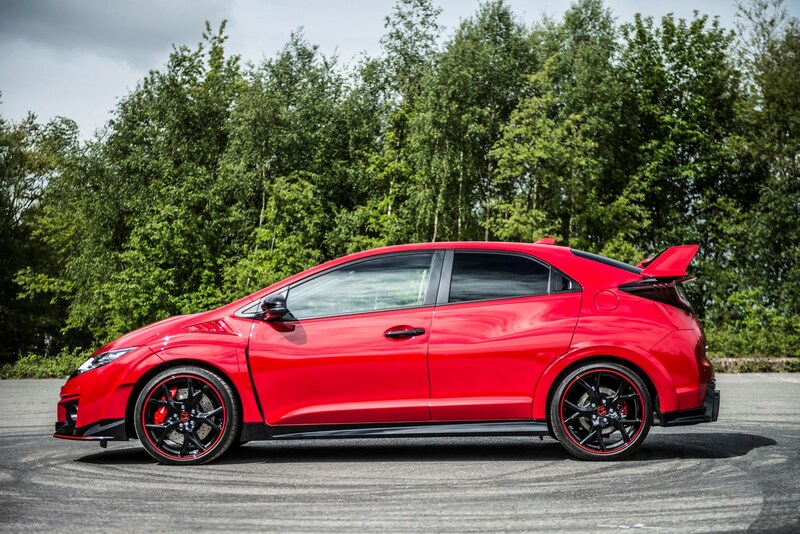 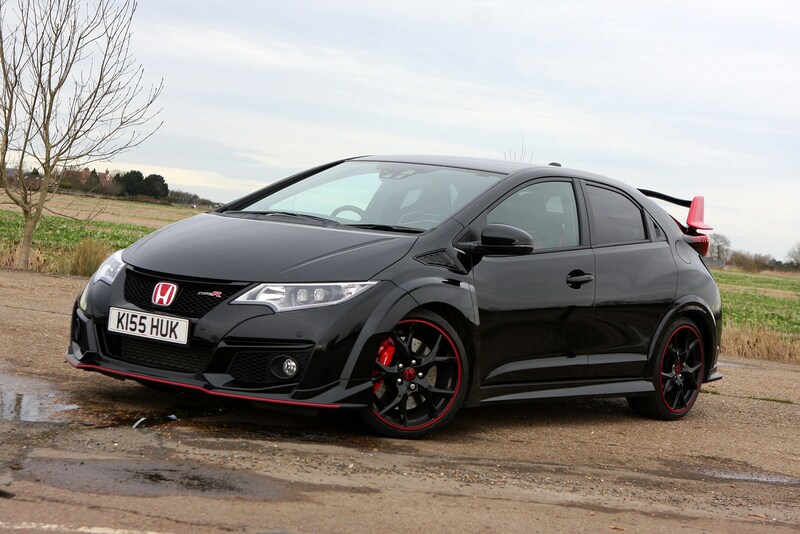 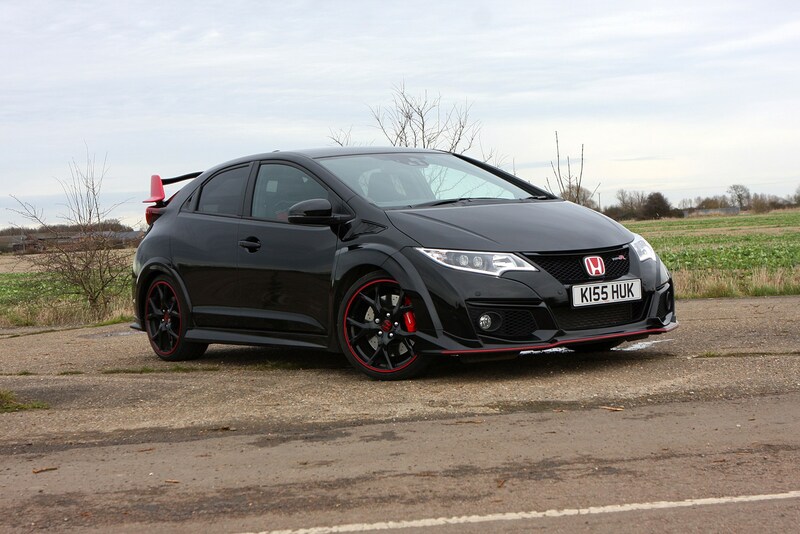 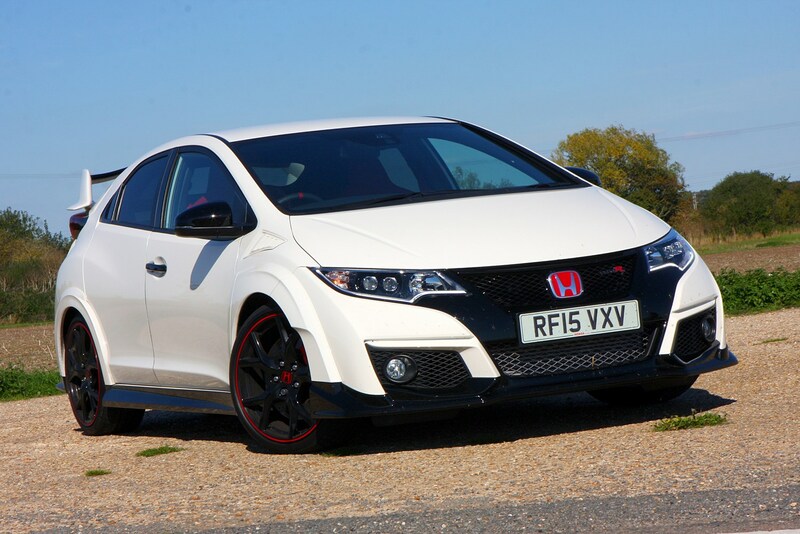 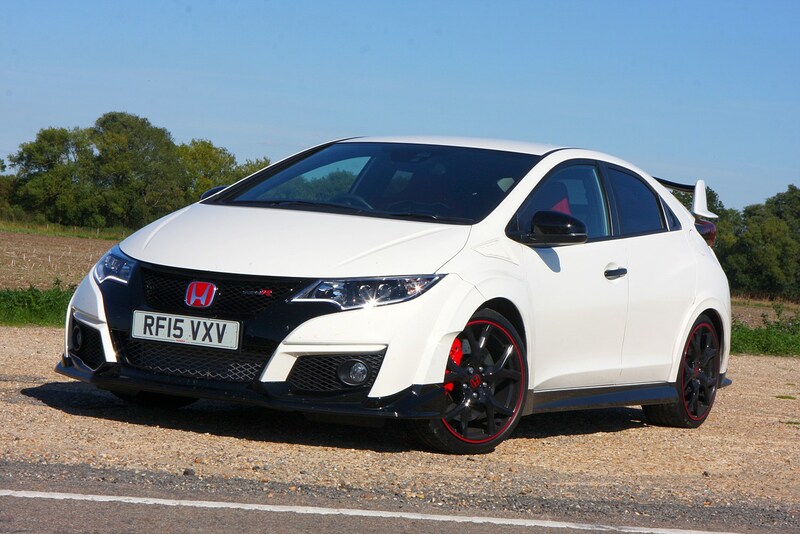 Priced at just under £30,000, the standard Honda Civic Type R comes with the same 2-litre turbocharged engine, 19-inch alloy wheels, special Brembo brakes, adaptive dampers and mechanical limited slip differential as found in the higher-spec GT model. 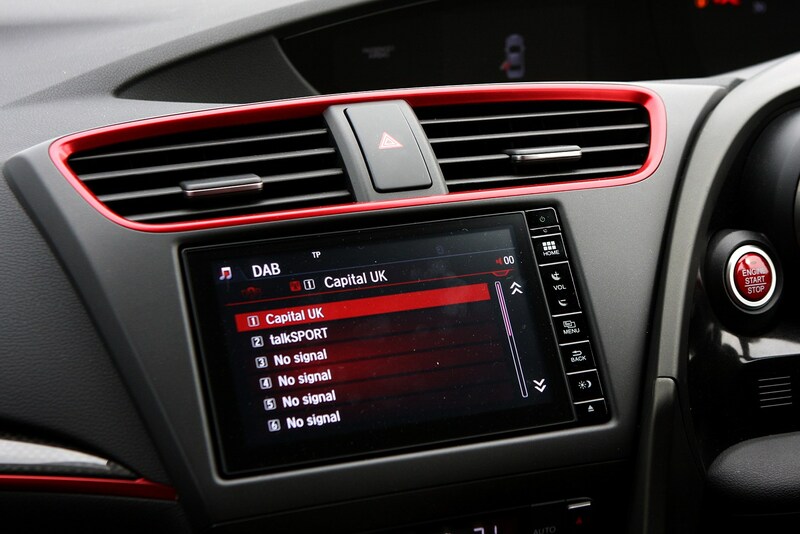 It also comes with keyless entry and start, climate control, Bluetooth connectivity, cruise control, a rear view camera, tinted rear windows, seven-inch touchscreen with DAB radio and app integration with internet browsing. 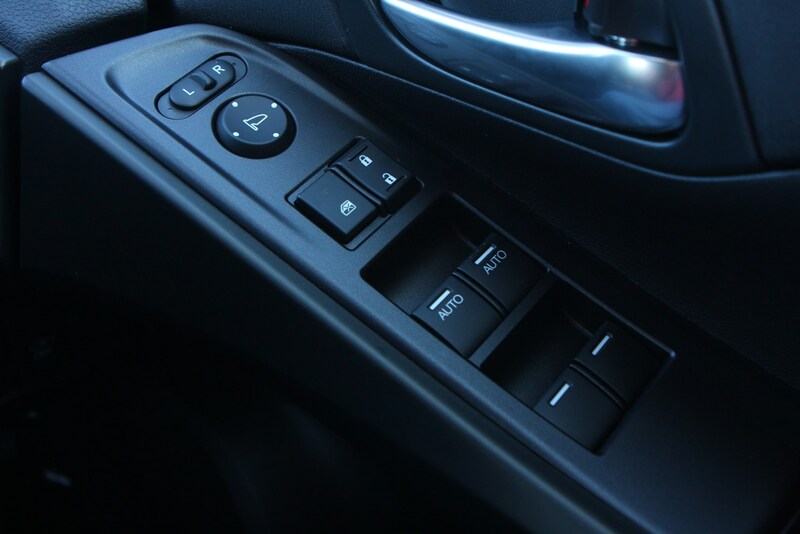 There’re also the excellent sports seats, alloy gearshift knob and pedals, start/stop, LED headlights and the City-Brake Active system. 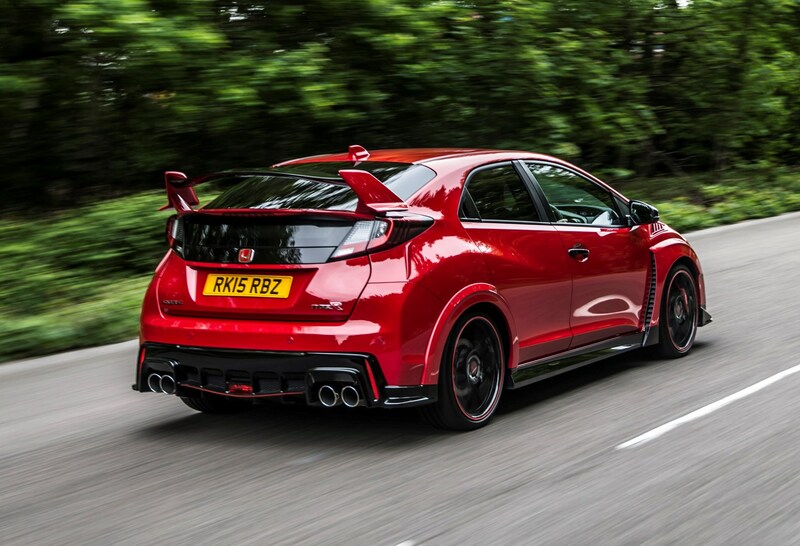 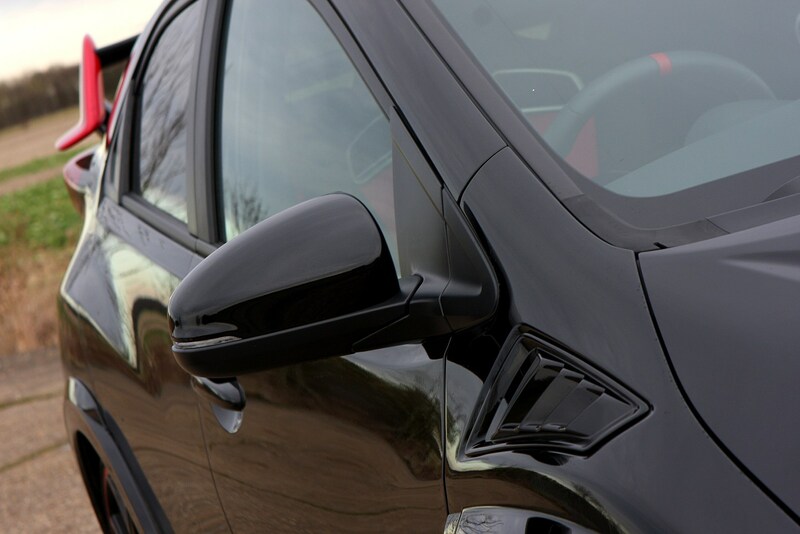 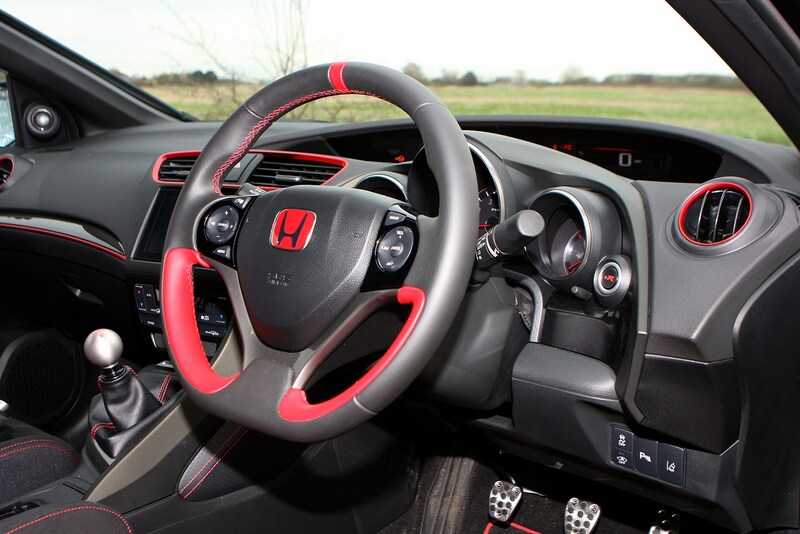 Pay the extra cash for the GT trim and your Honda Civic Type R will gain a series of kit to lend it a more premium feel, one of the most significant being the Garmin sat-nav built into the 7-inch Honda connect system alongside a premium eight-speaker stereo system. 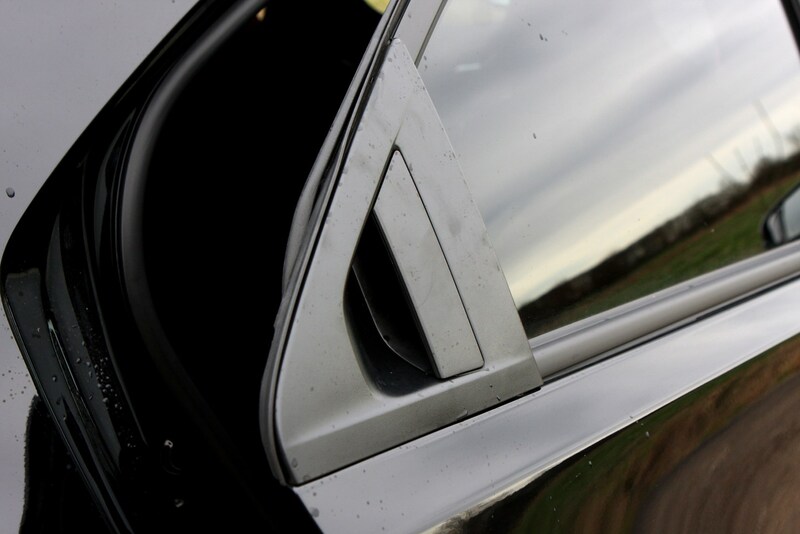 After that the cabin is lifted thanks to ambient lighting, dual zone climate control and an auto-dimming rear view mirror. 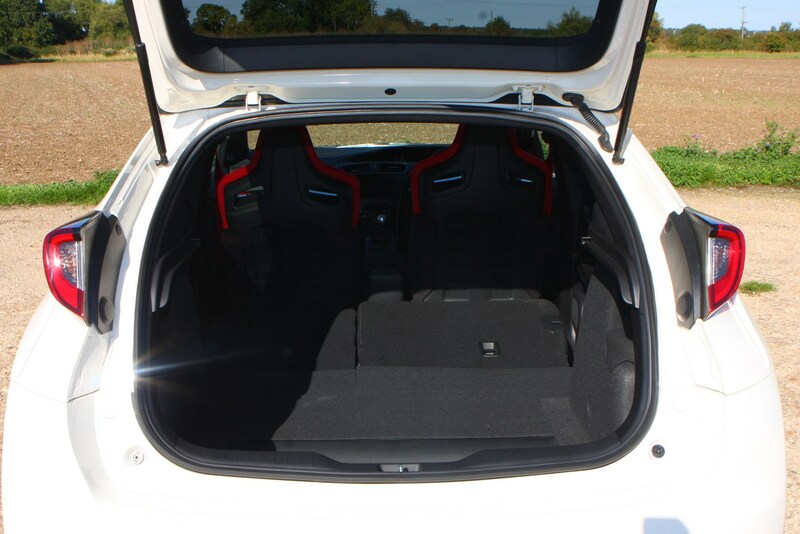 The windows can be operated from the key fob – though we’re not entirely sure why you’d want to do this – and parking sensors front and rear are added along with a tonneau cover for the boot. 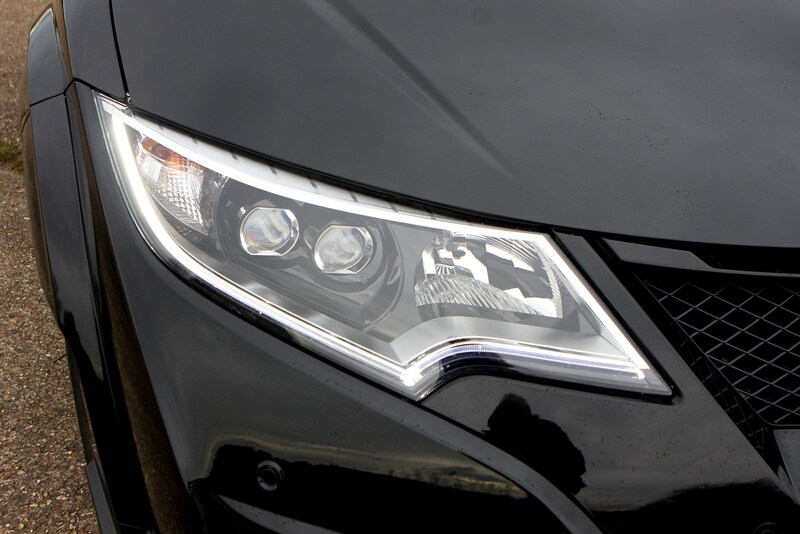 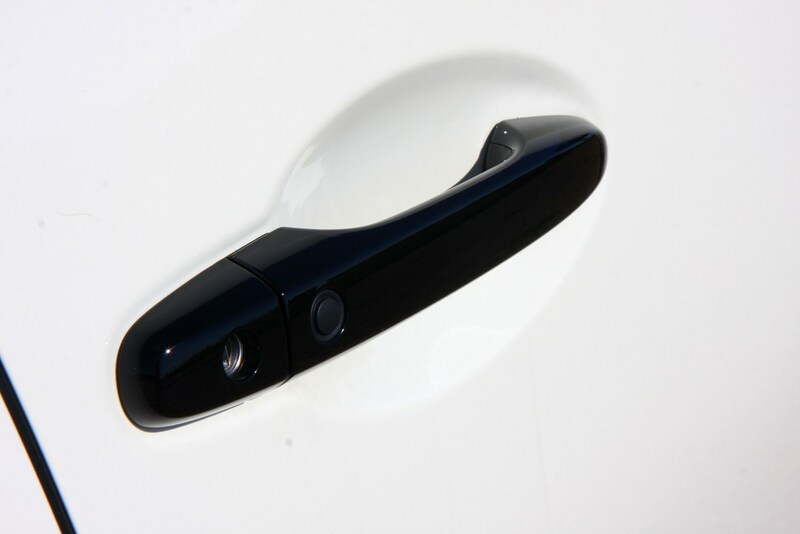 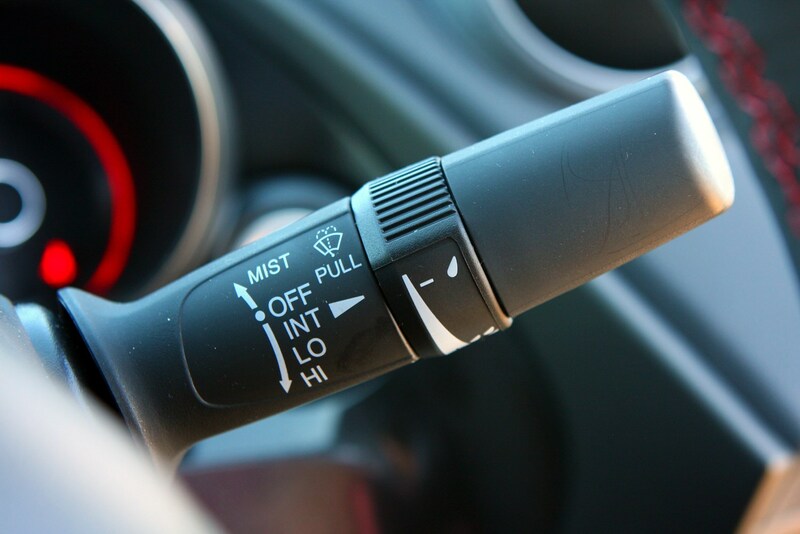 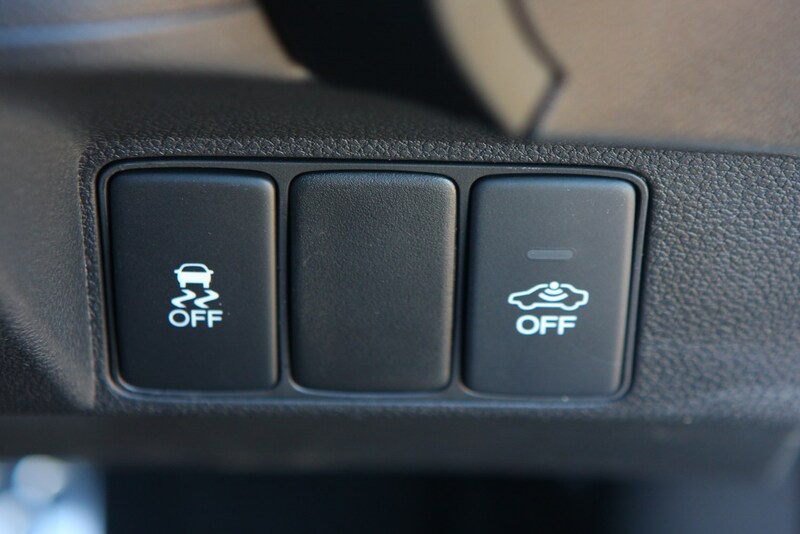 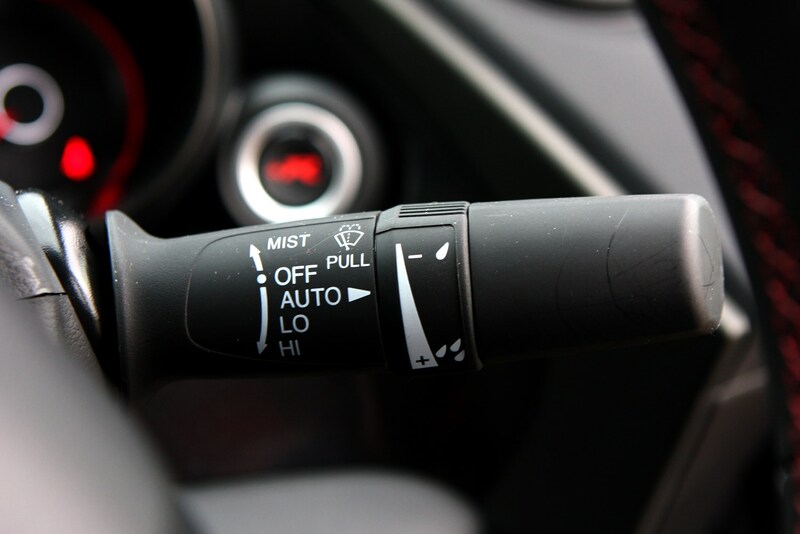 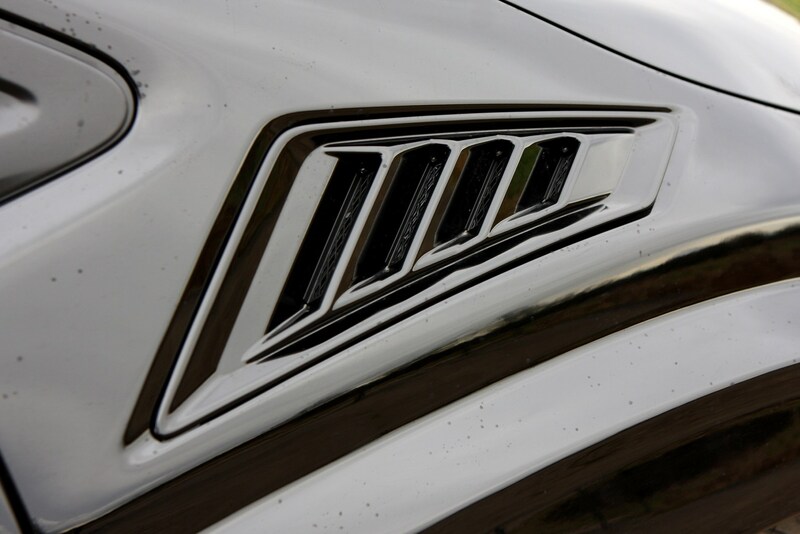 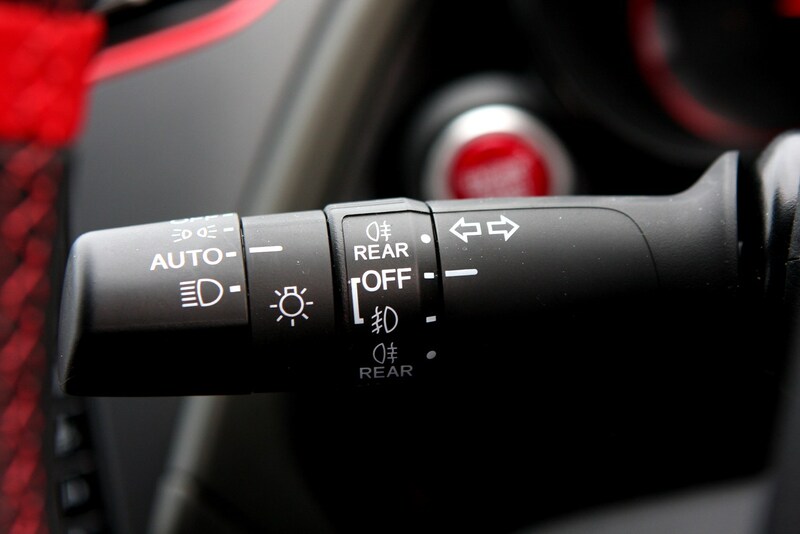 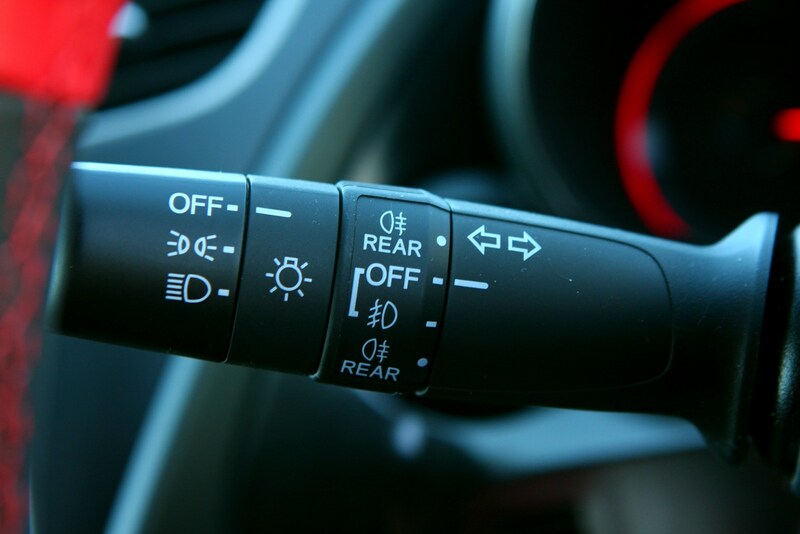 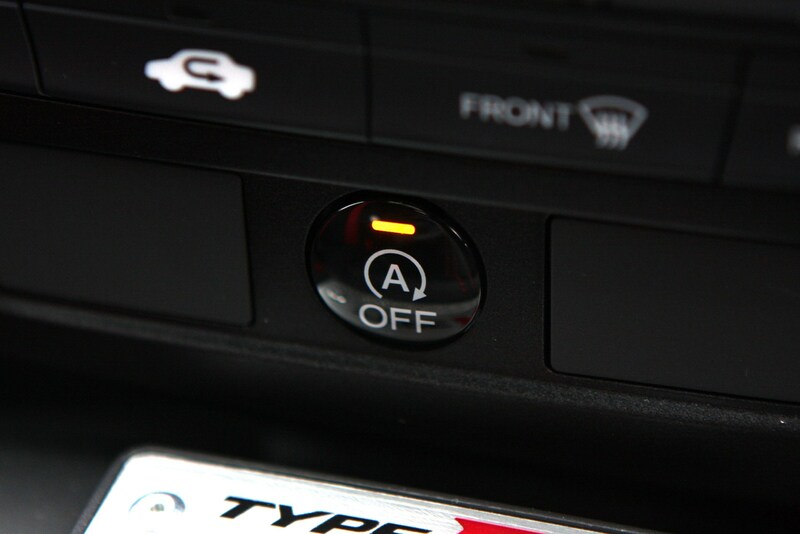 Safety is taken care of by auto lights and wipers and the Driver Assistance Safety systems. 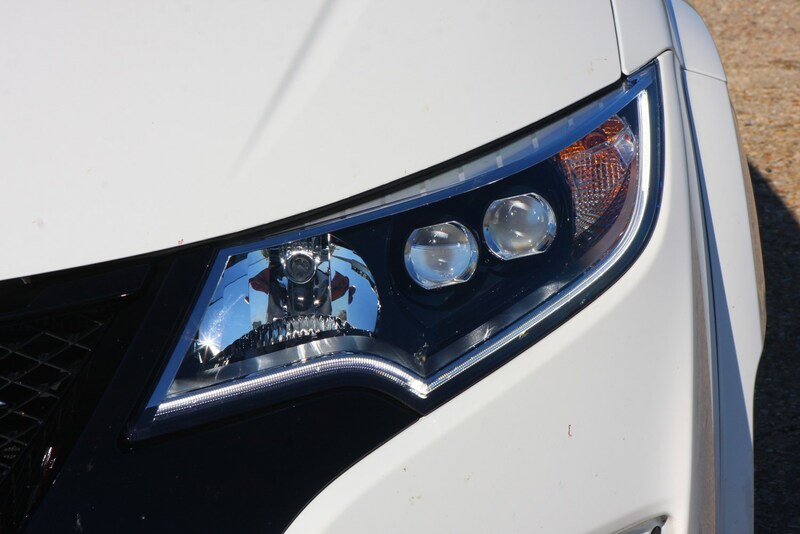 As a package this includes Forward Collision Warning, Lane Departure Warning, High Beam Support system, Blind Spot Information, Cross Traffic Monitor and Traffic Sign Recognition. 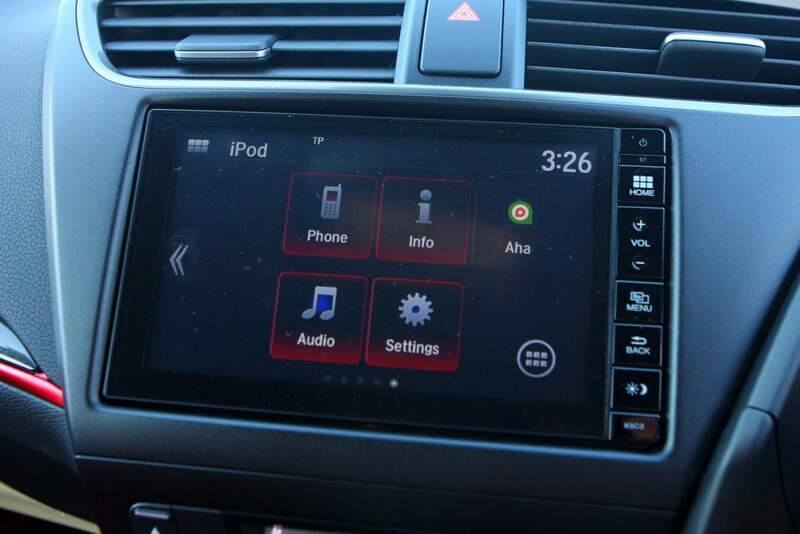 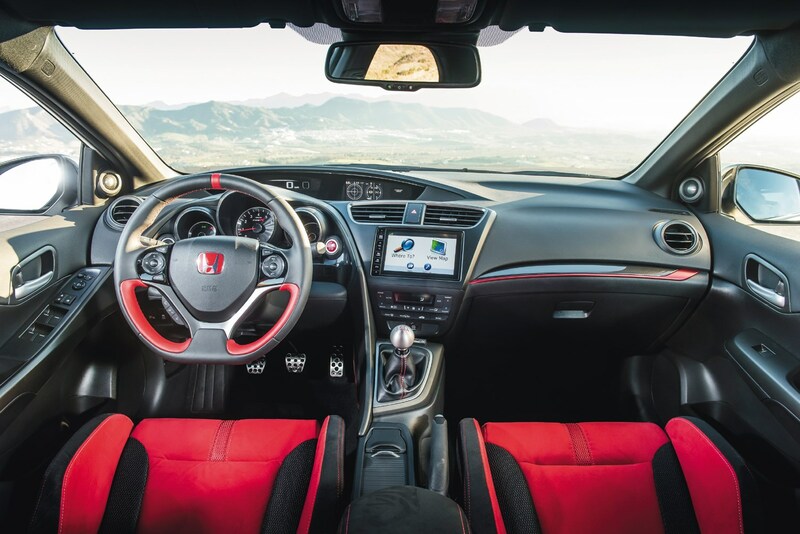 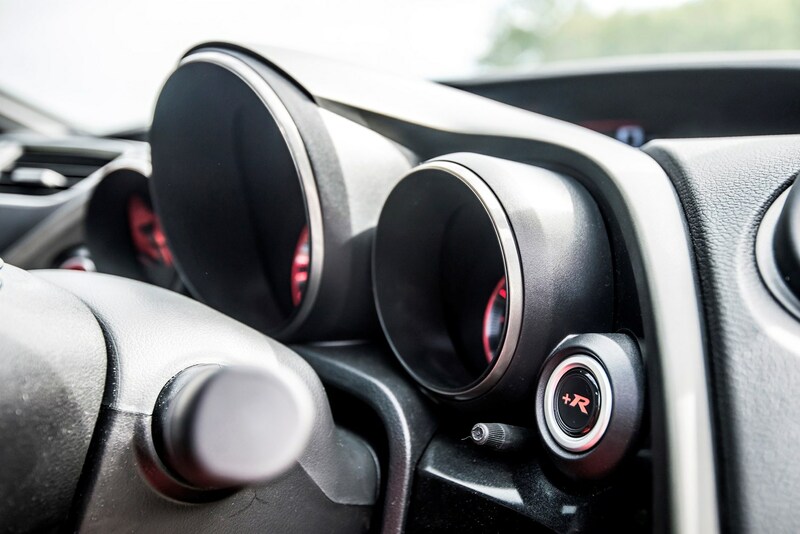 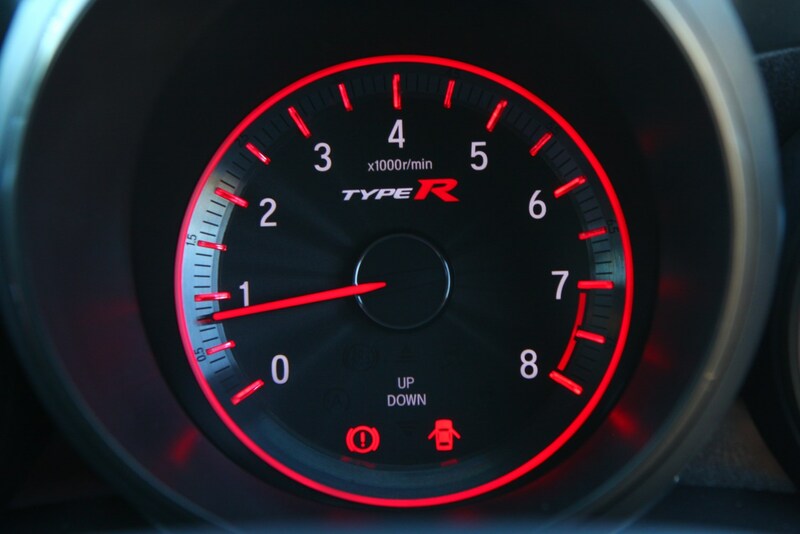 There are actually very few single options available for the Honda Civic Type R, but these include Honda 3D sound which introduces a Digital Signal Processor to recreate a live concert hall experience when listening to the stereo. 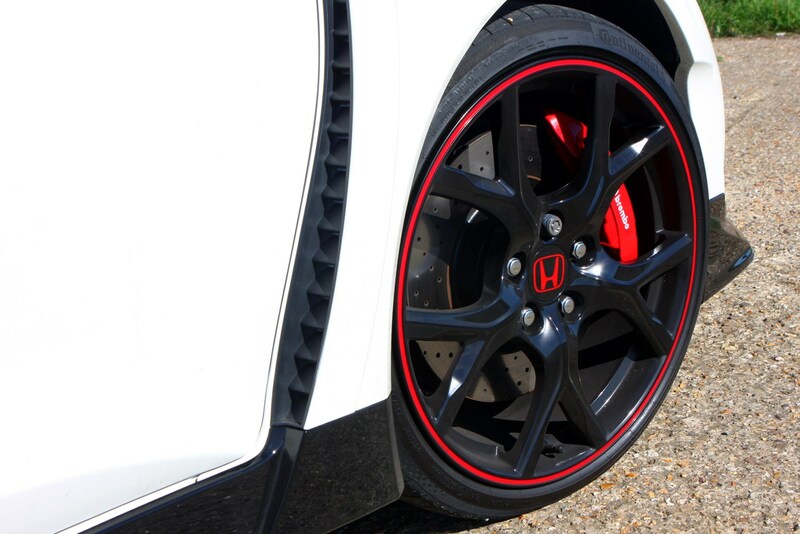 There are five colours to select from too, including white, grey, red, blue and black. 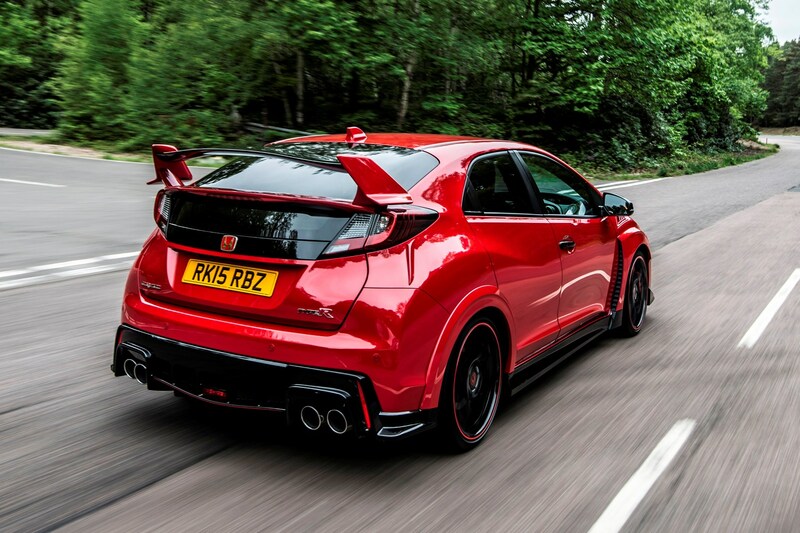 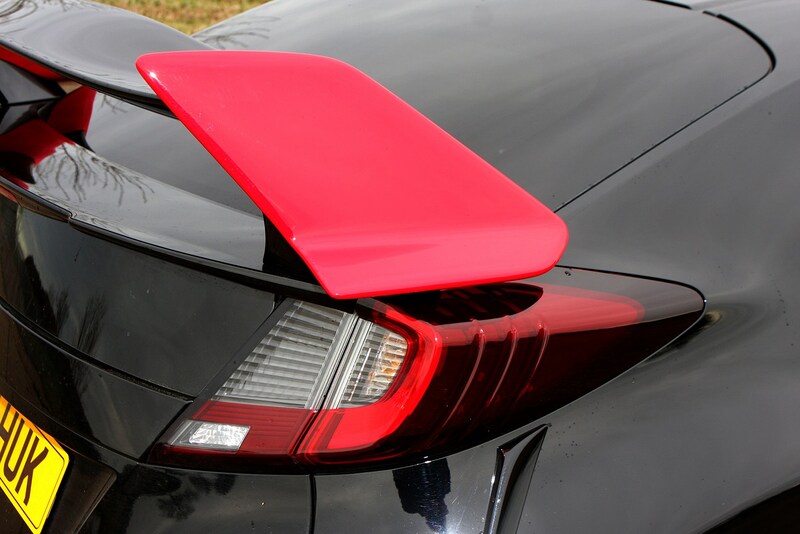 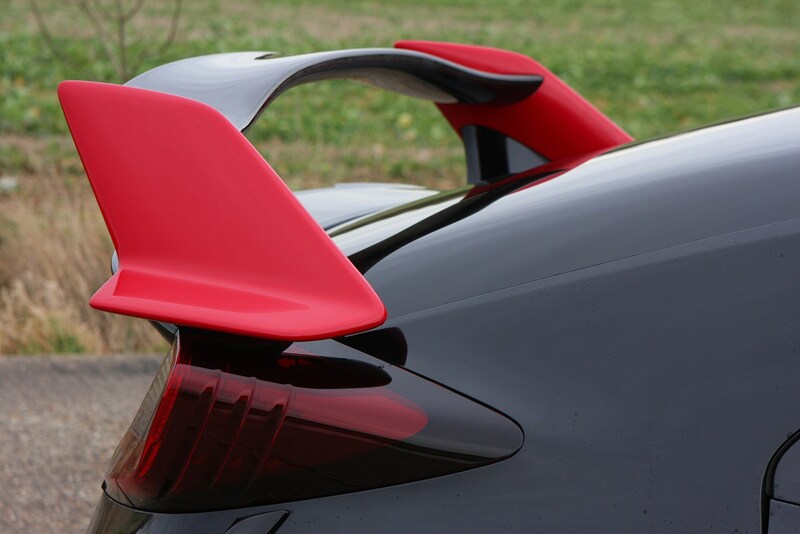 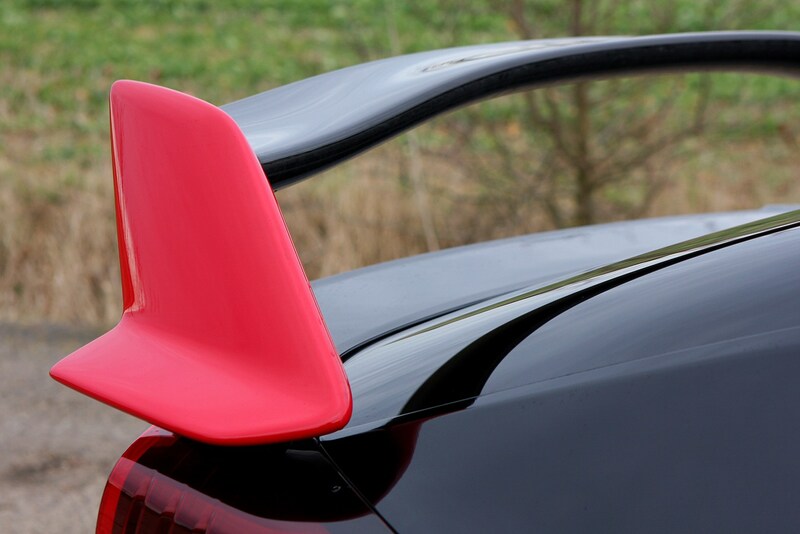 Talking of colours, there’s a number of option Packs for the Civic Type R, and these include the Red Exterior Pack which uses red accents for the grille, mirrors, rear diffuser and roof spoiler. 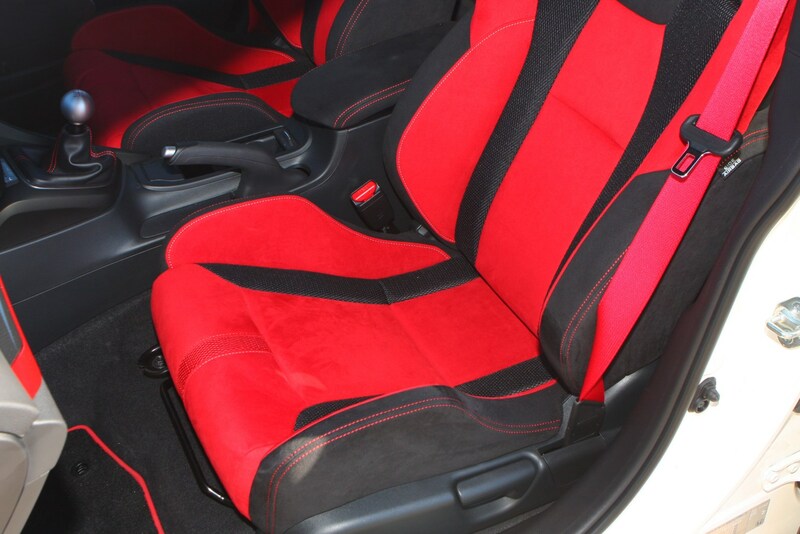 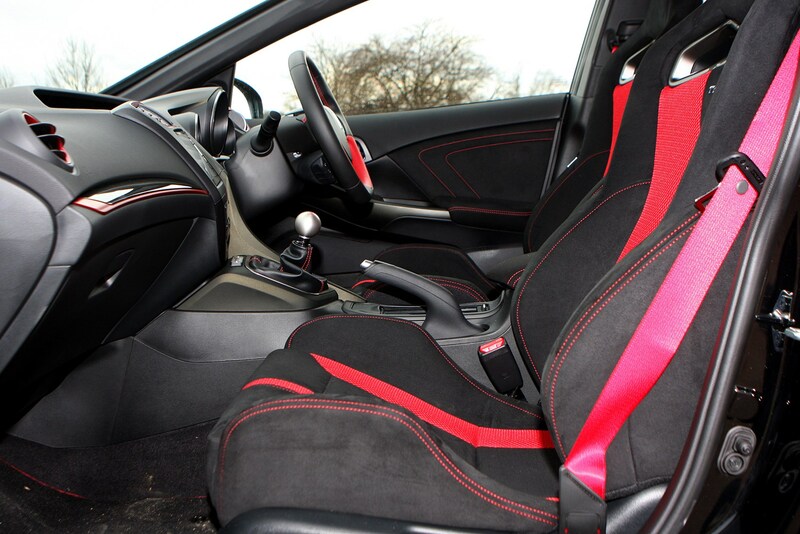 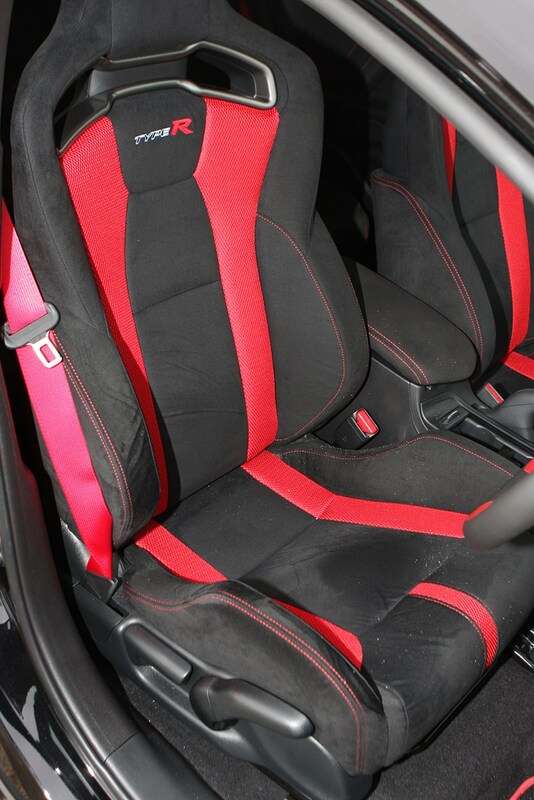 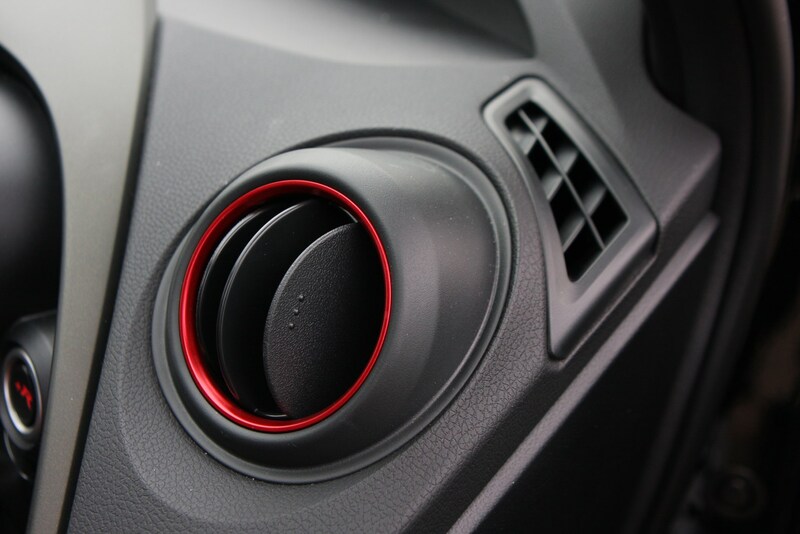 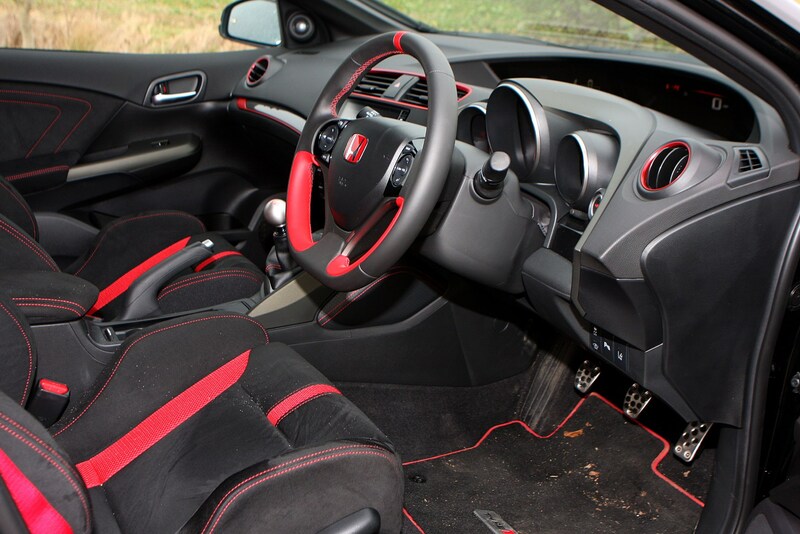 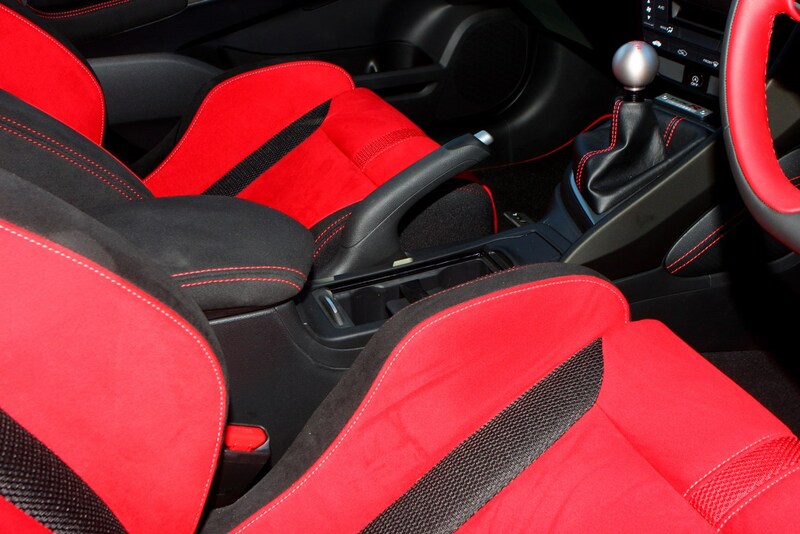 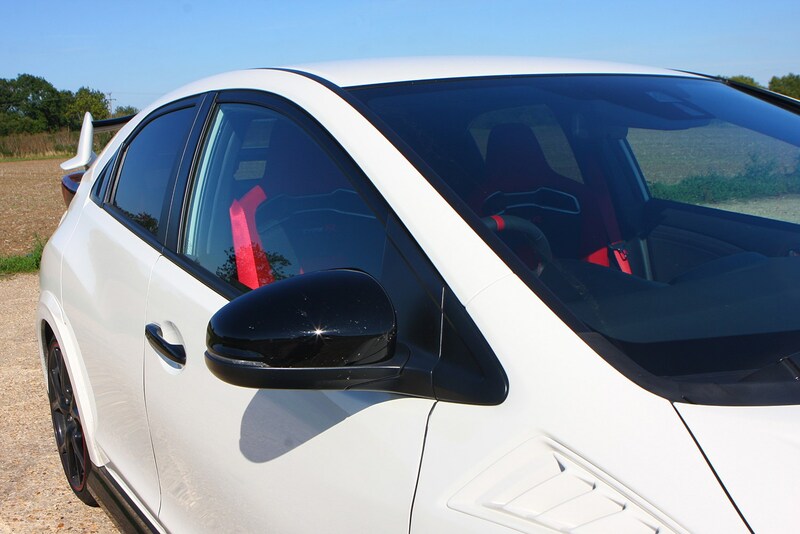 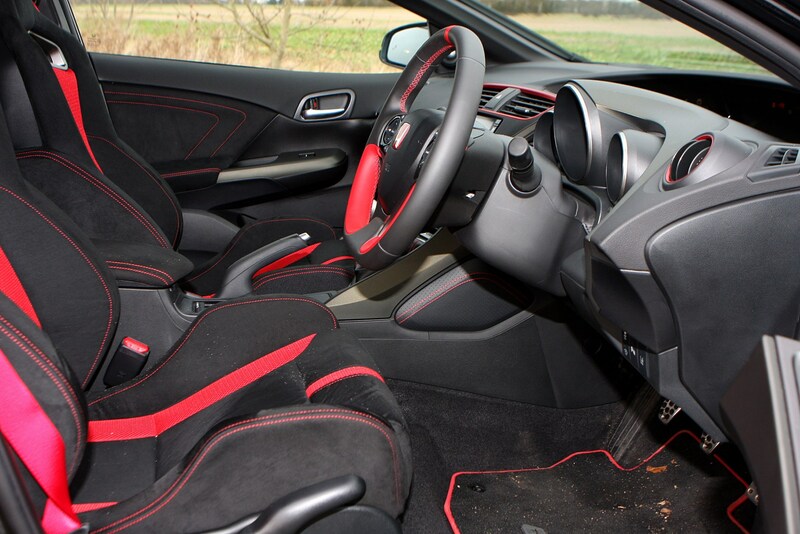 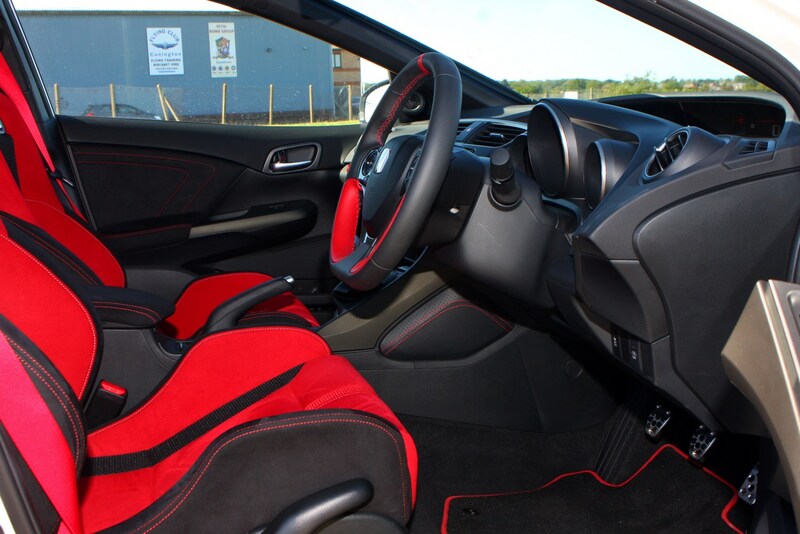 The Red Interior Pack follows the same rule for the air vent surrounds, steering wheel sections, door sills and adds ambient red lighting to the foot wells. 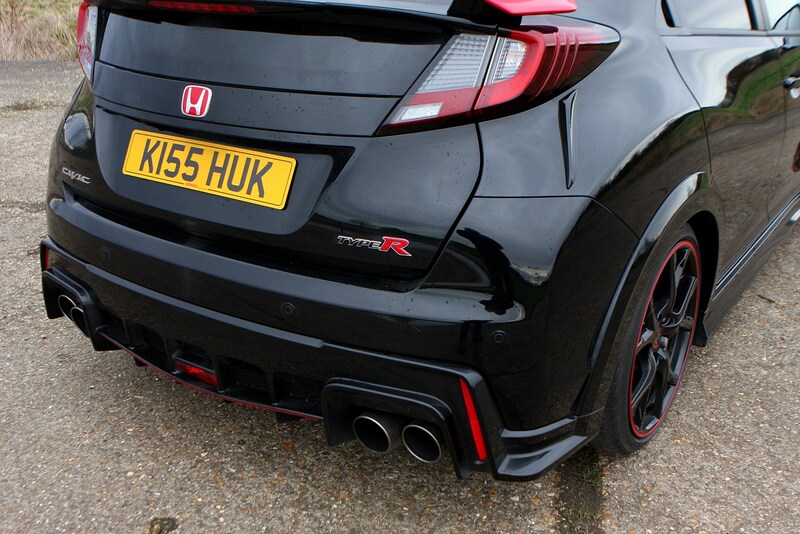 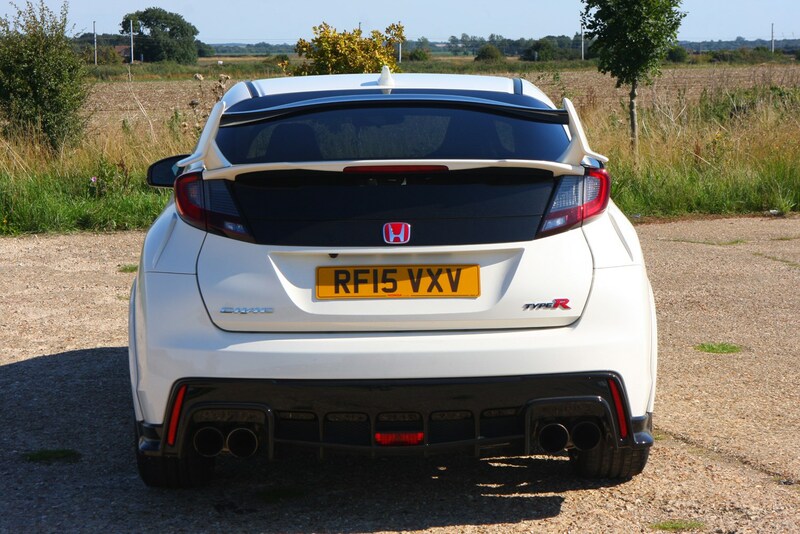 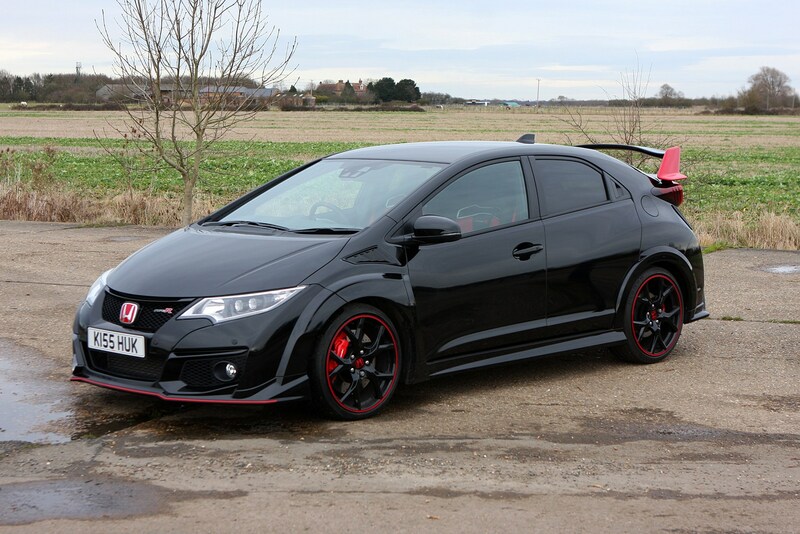 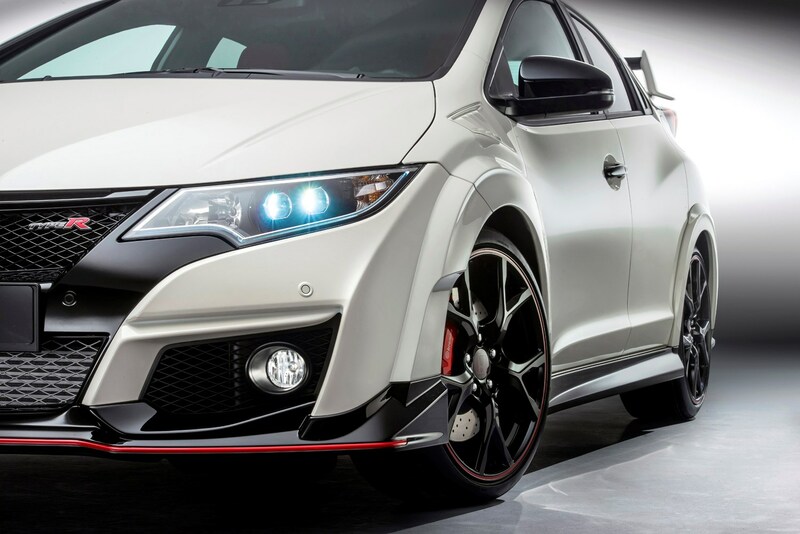 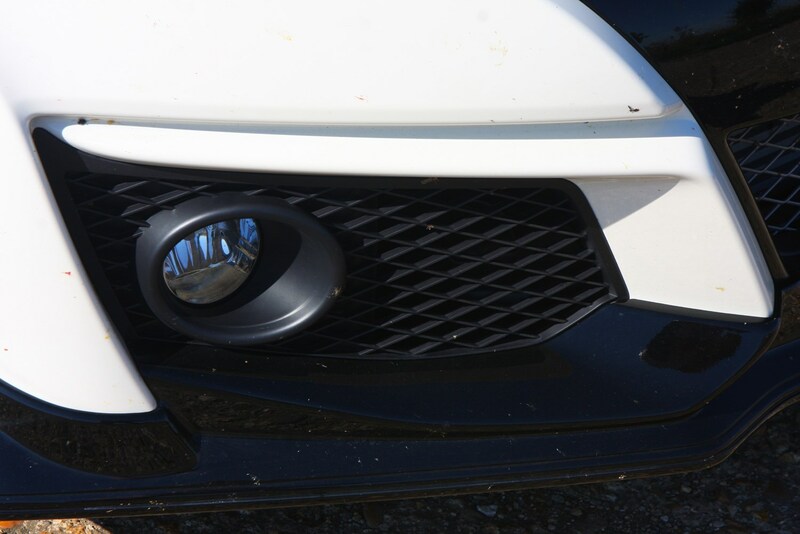 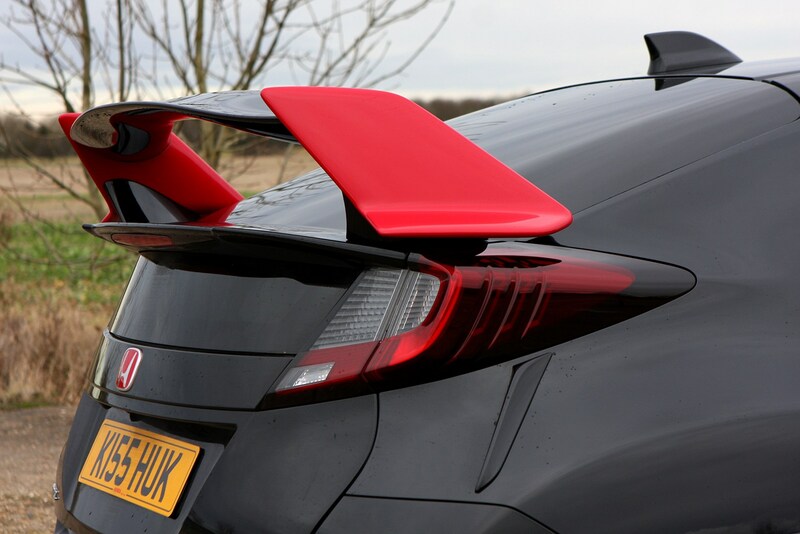 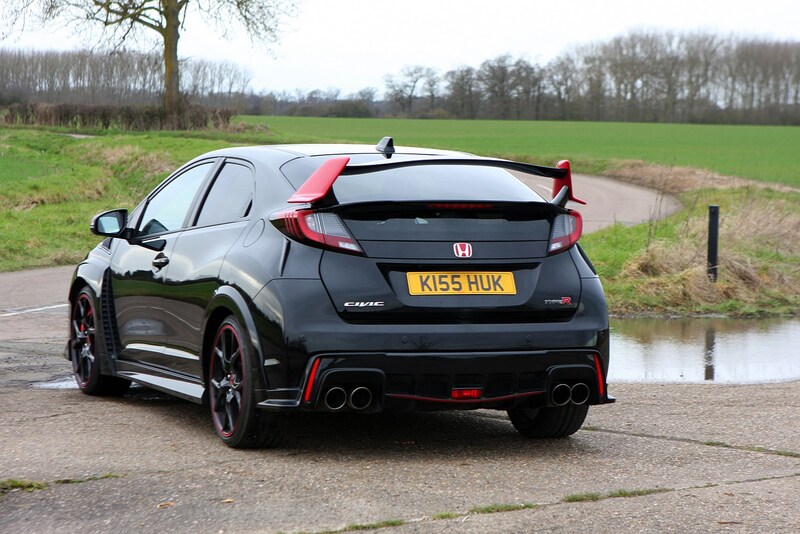 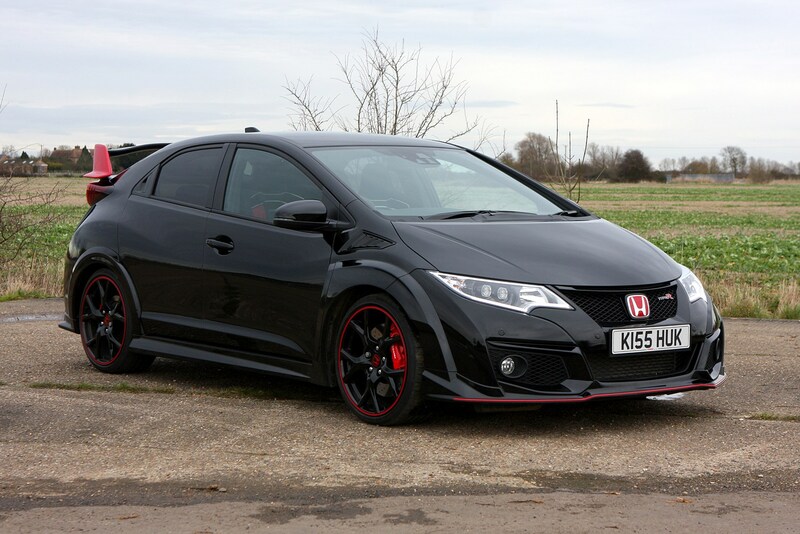 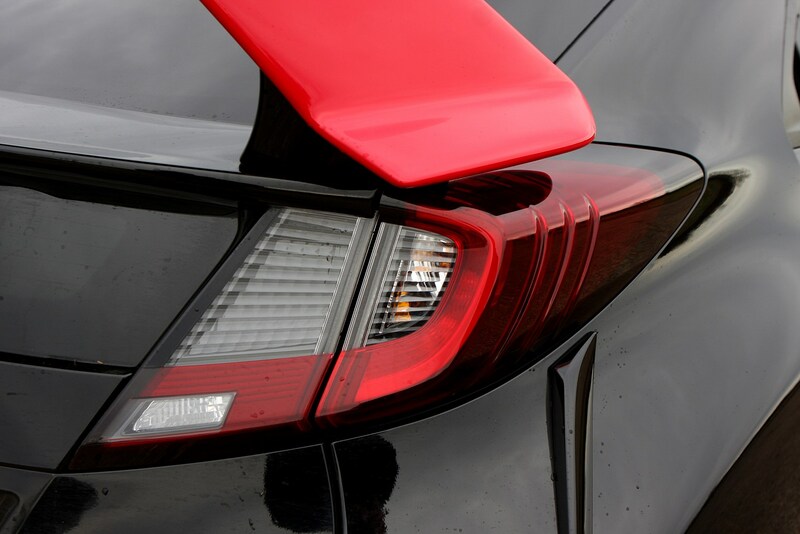 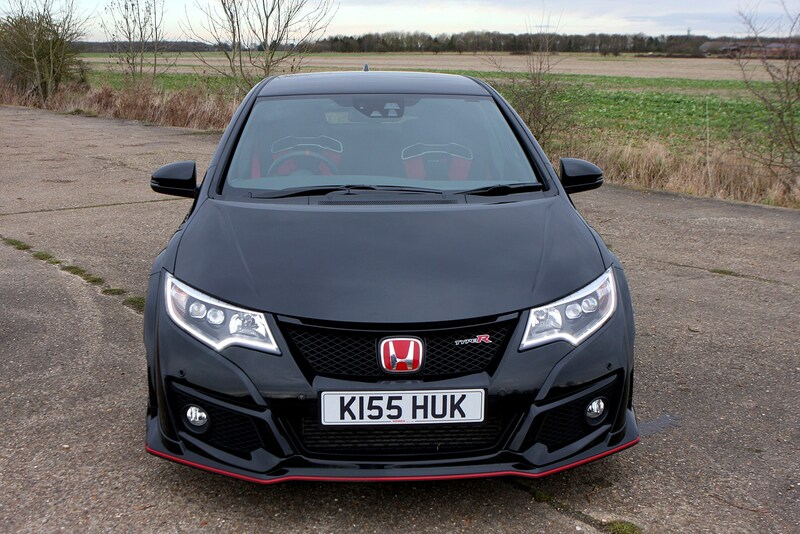 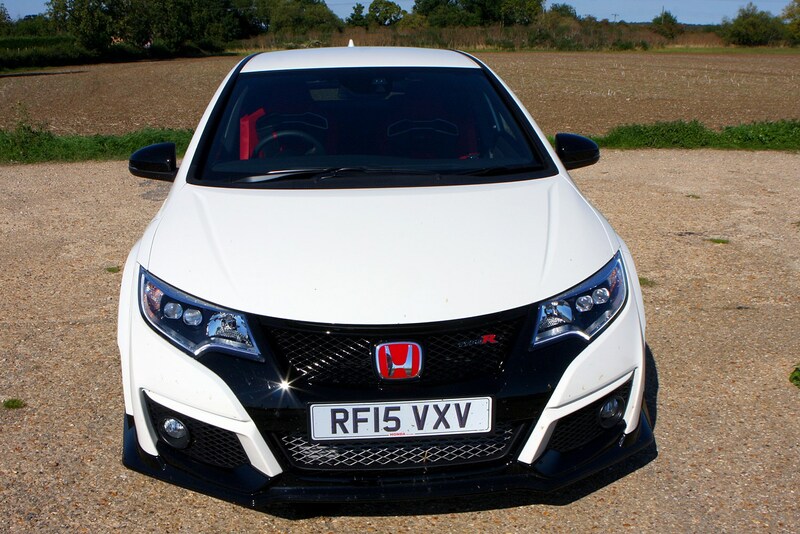 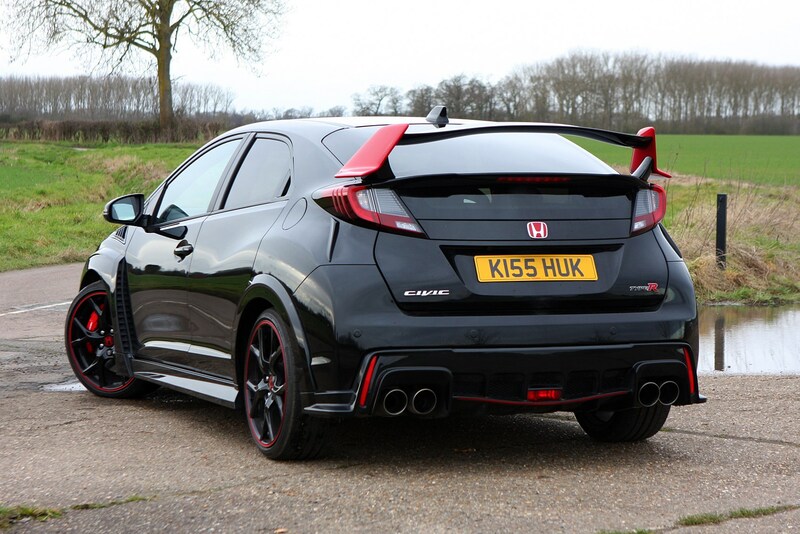 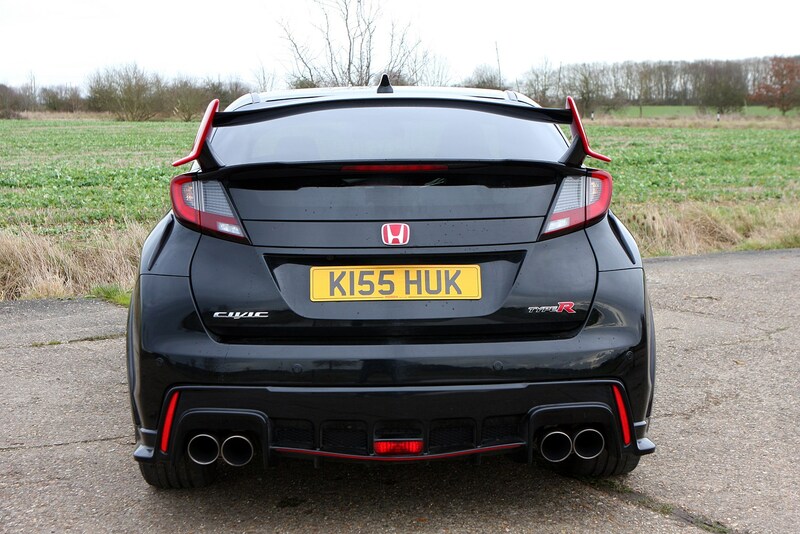 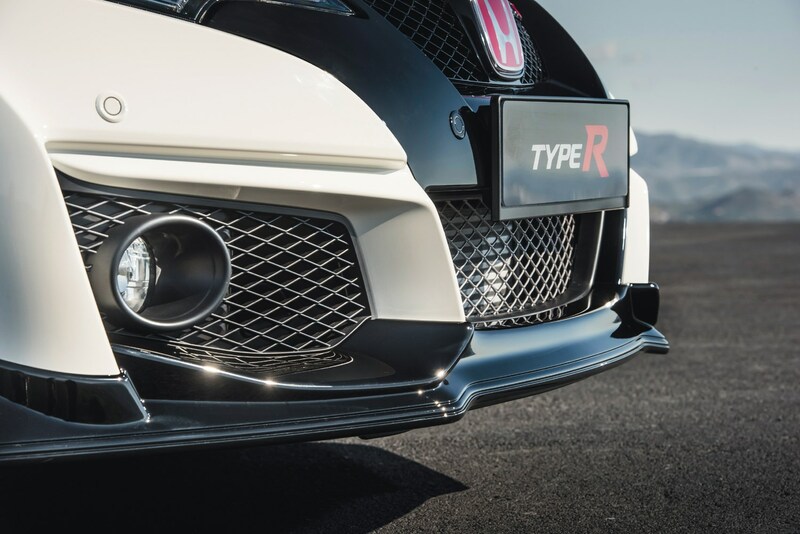 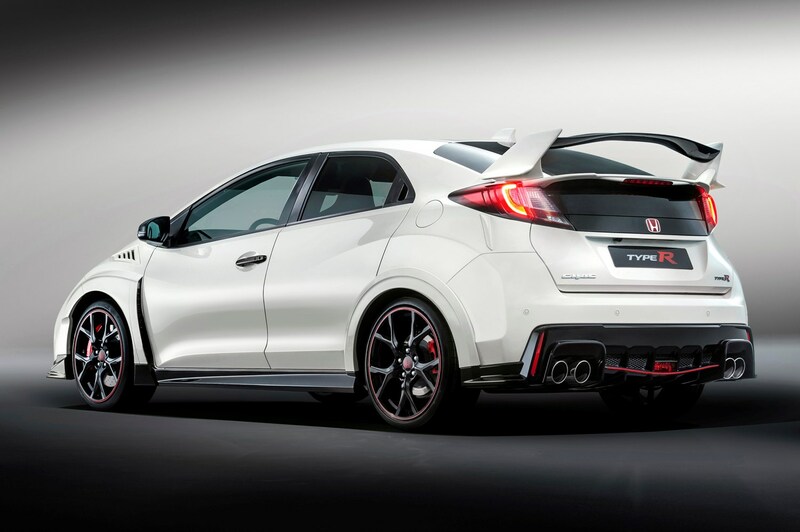 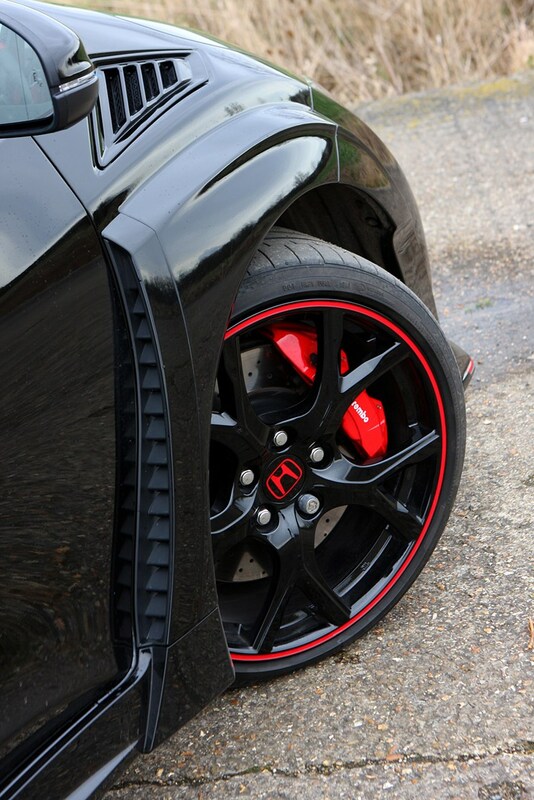 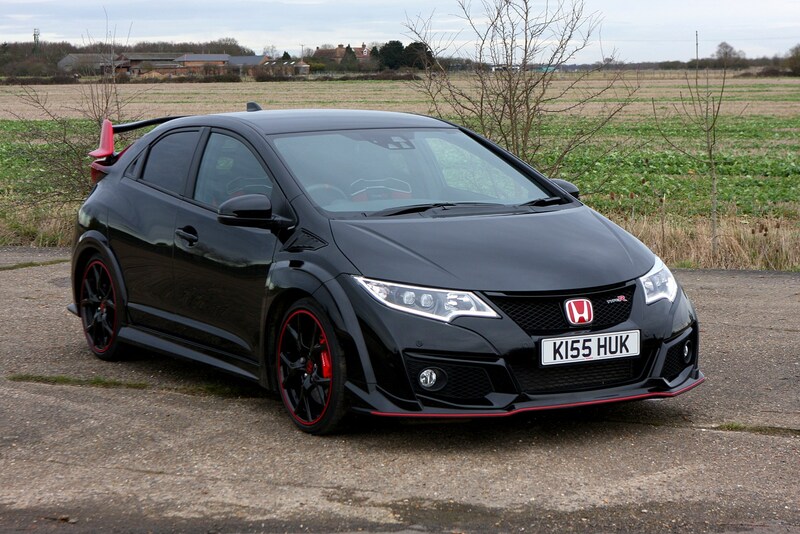 If you’d rather decorate your Civic Type R with race-inspired carbon fibre Honda also offers the Carbon Exterior Pack with fog light surrounds, tailgate detailing and rear wing finished in the lightweight material. 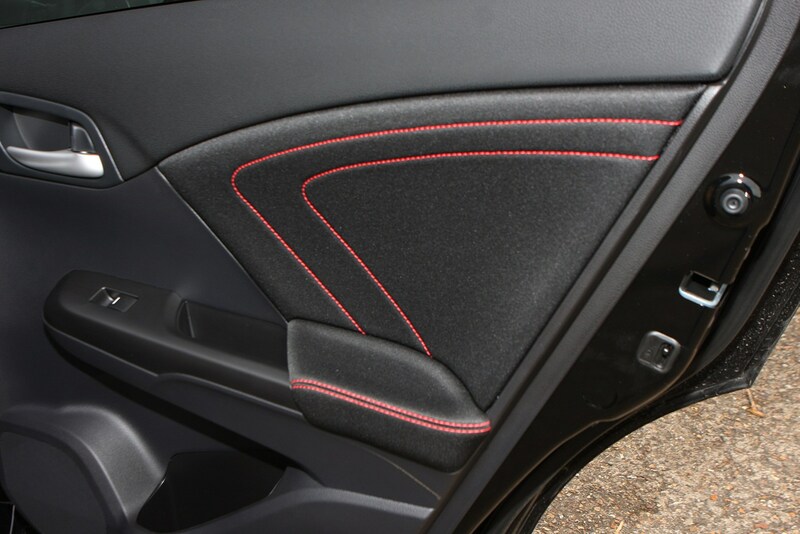 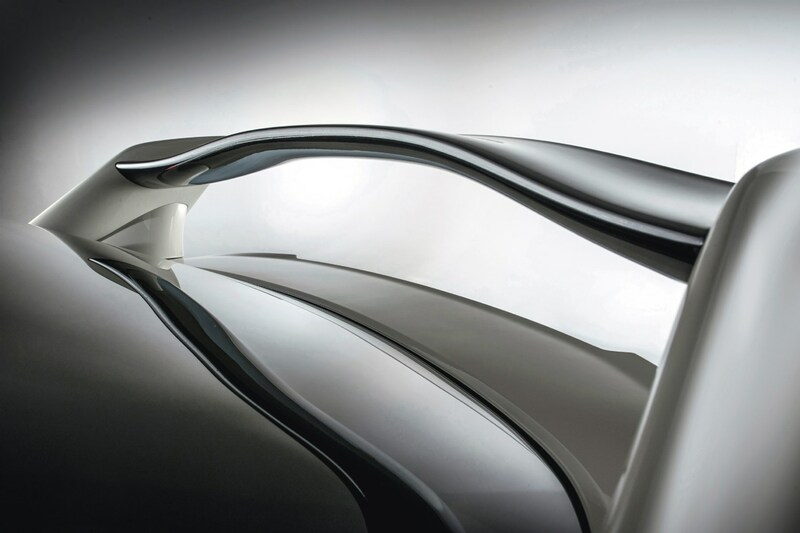 There’s a choice of gloss or matt finishes too. 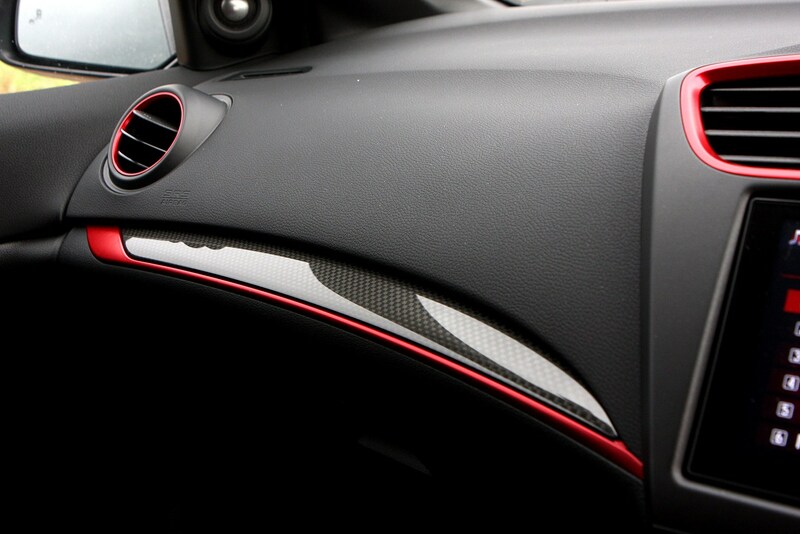 Again the weave can be applied inside, covering the air vent surrounds, glove box and centre console. 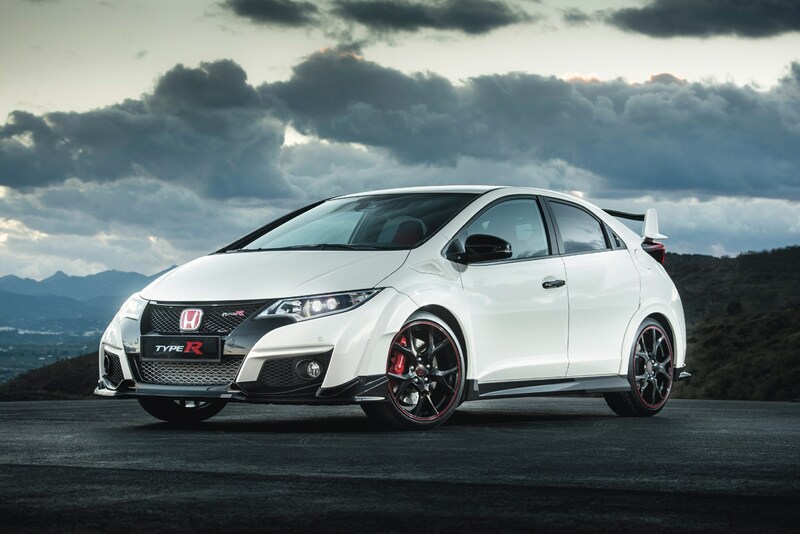 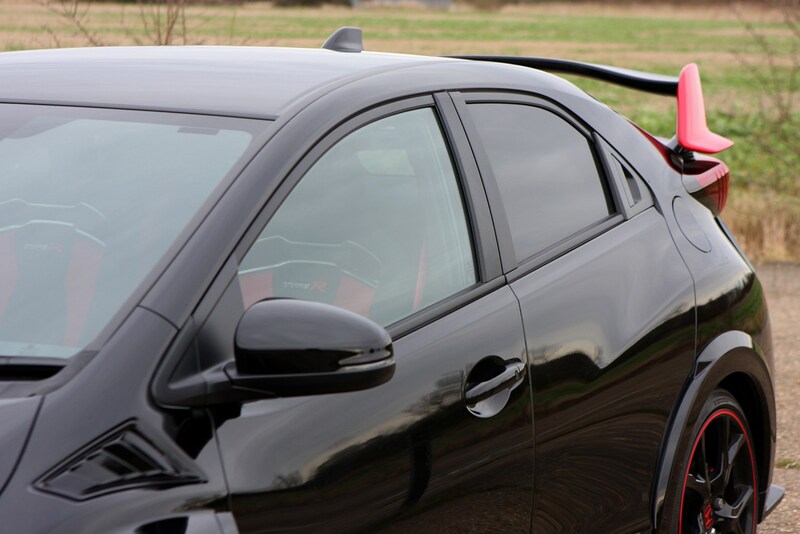 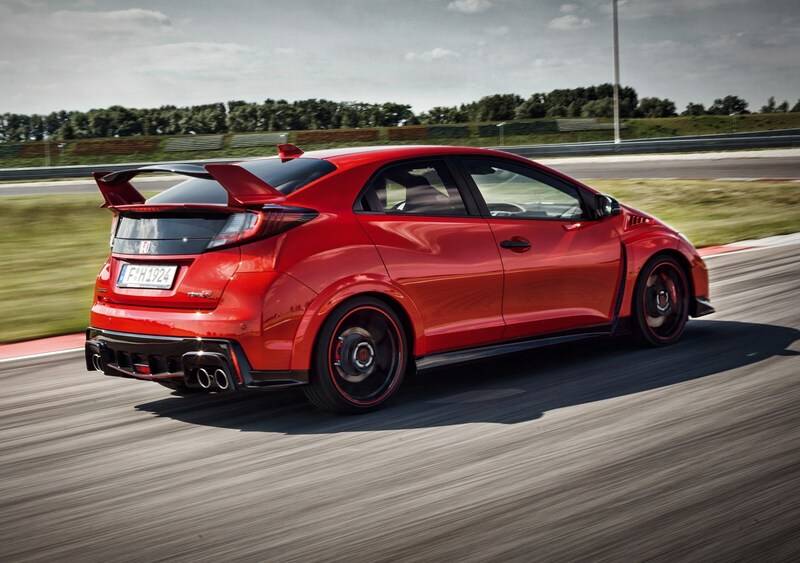 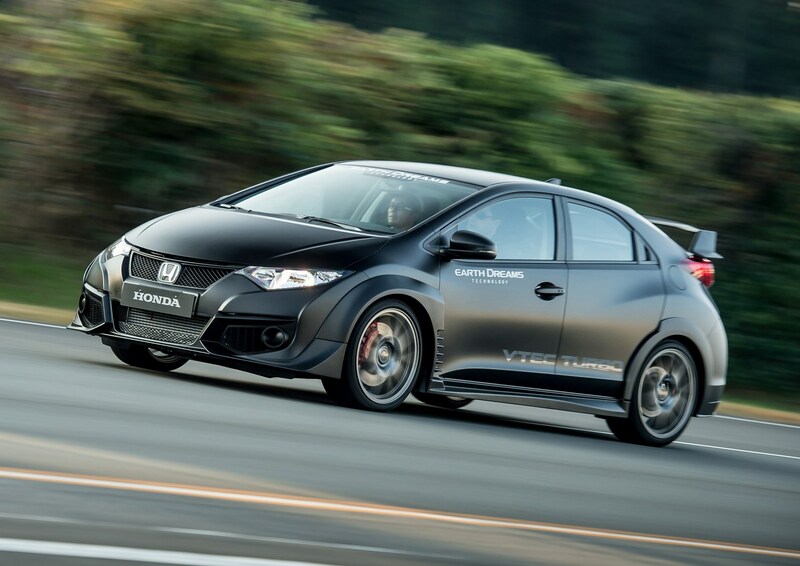 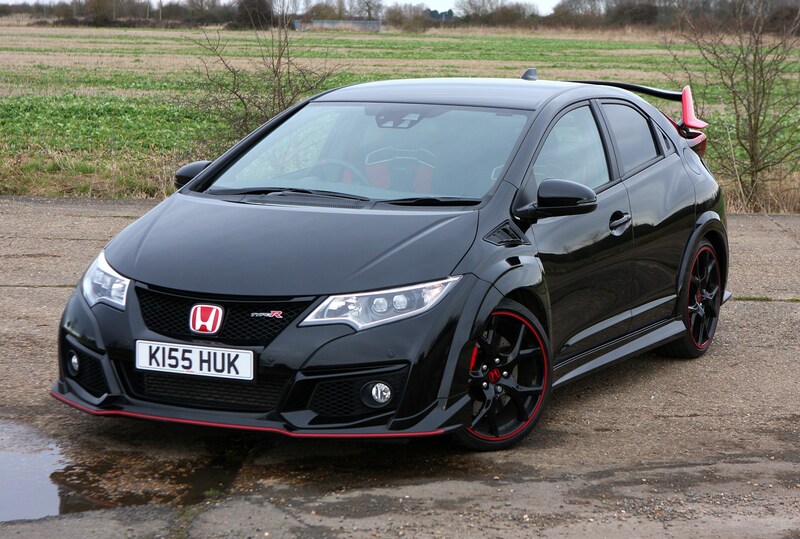 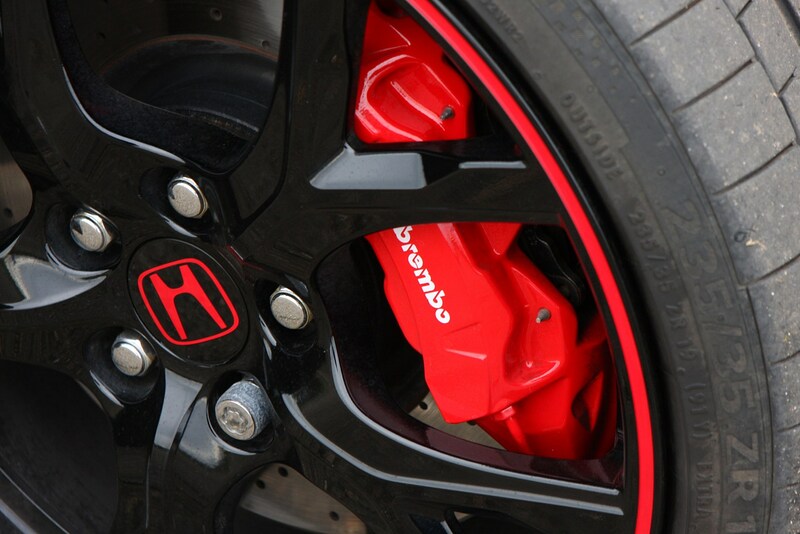 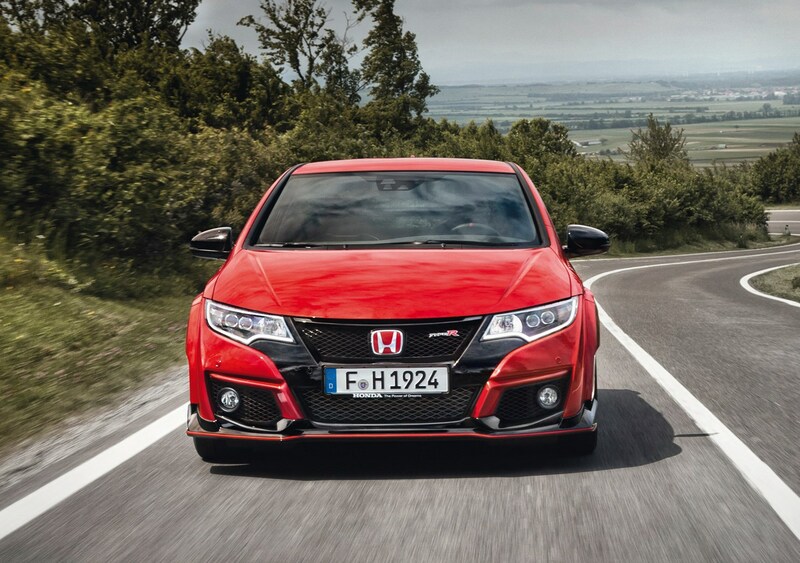 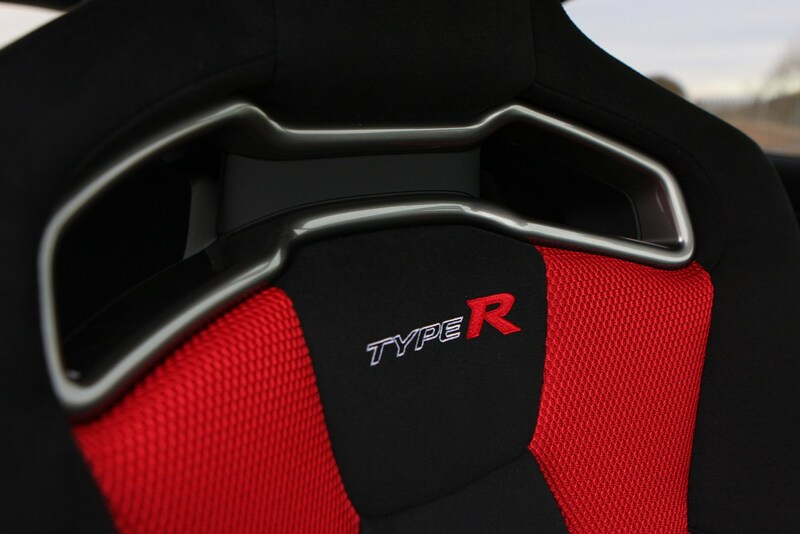 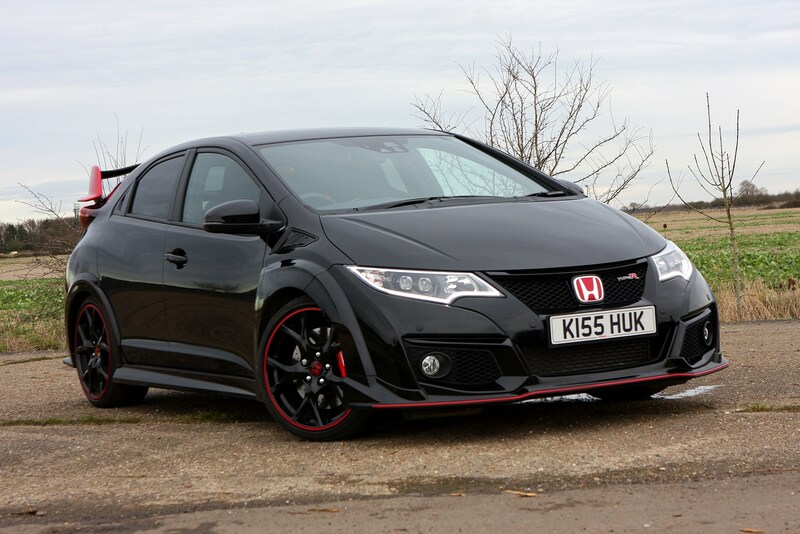 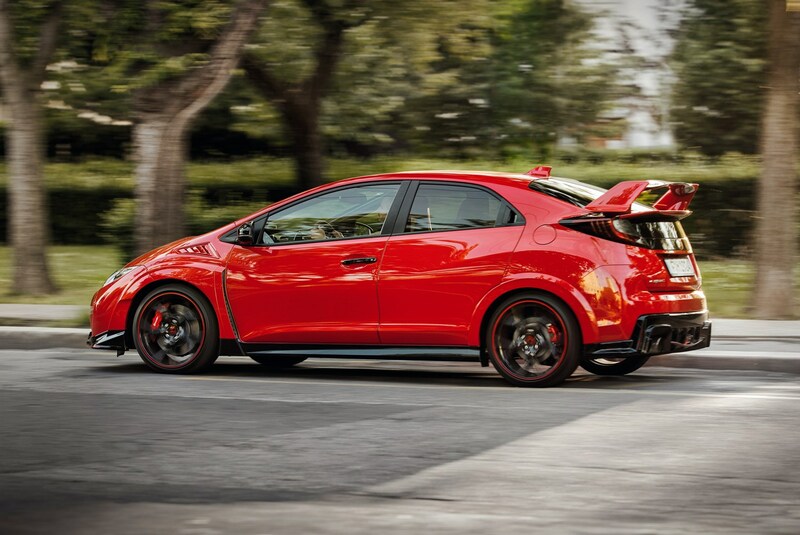 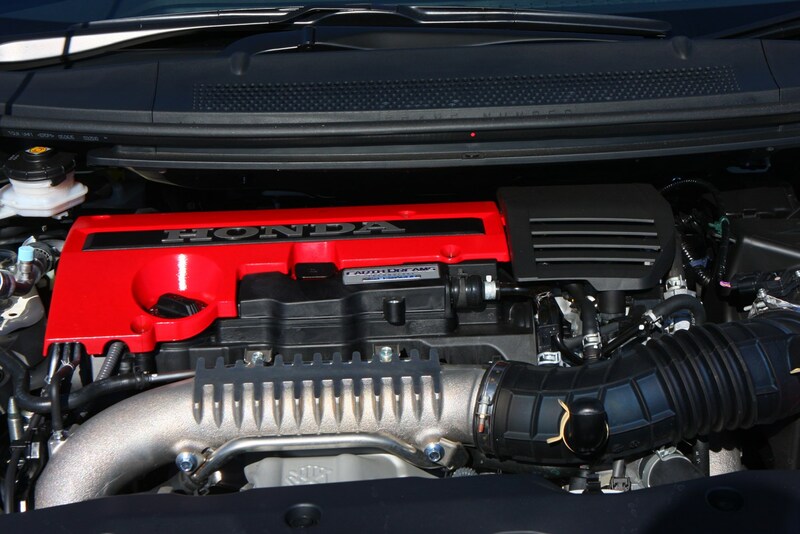 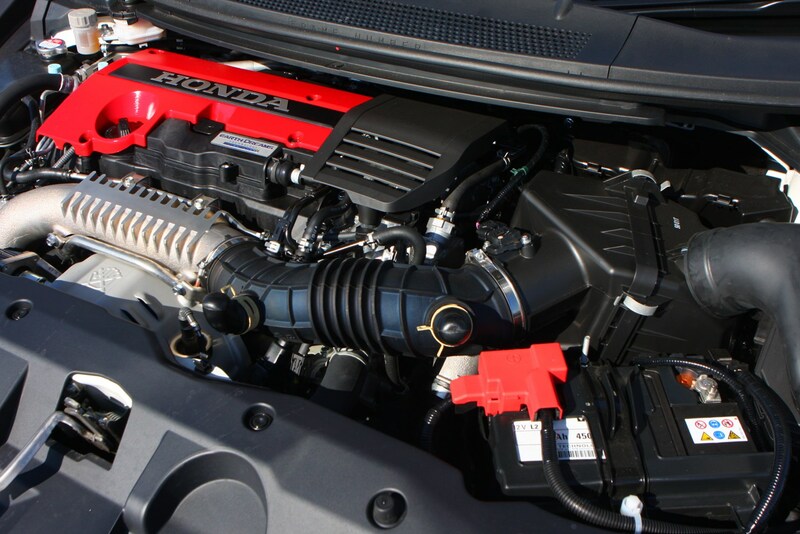 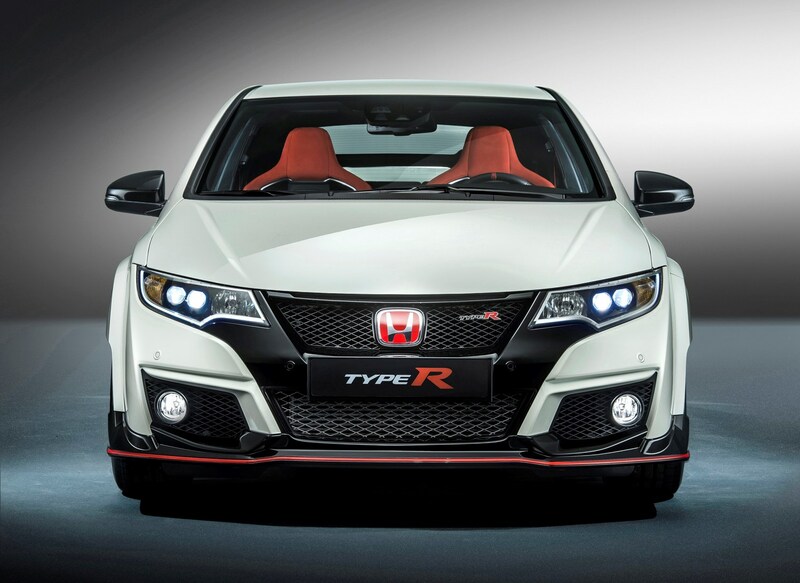 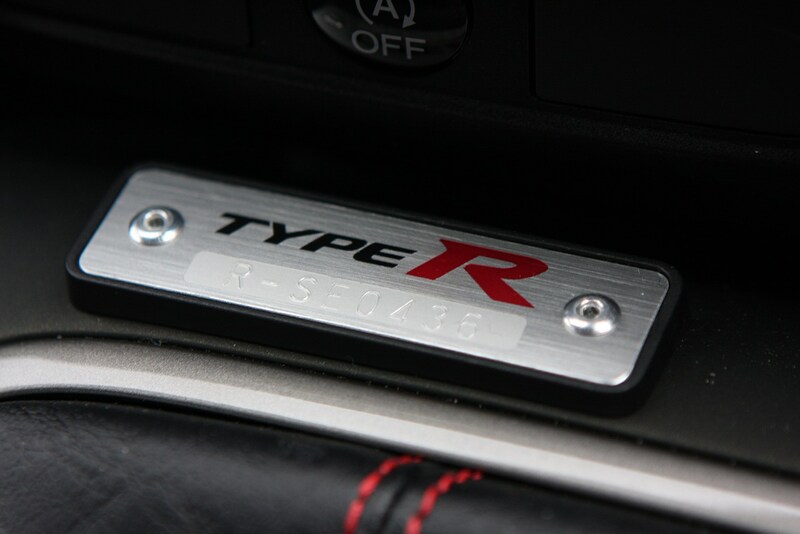 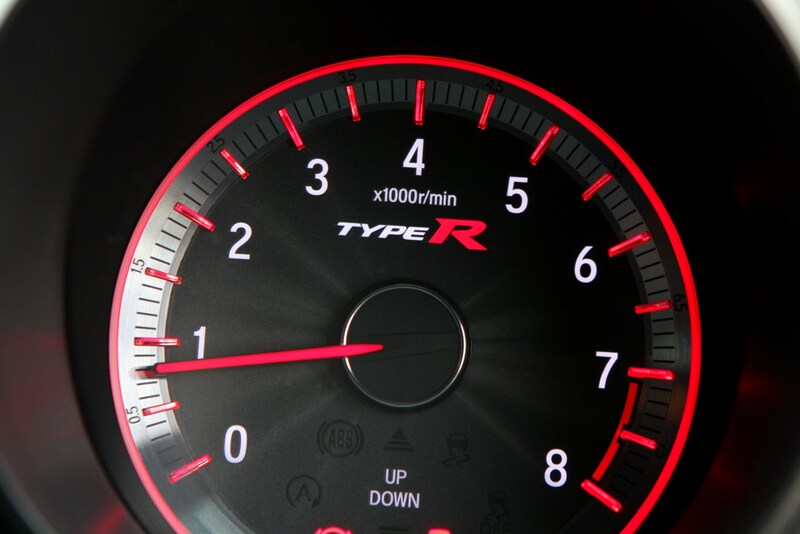 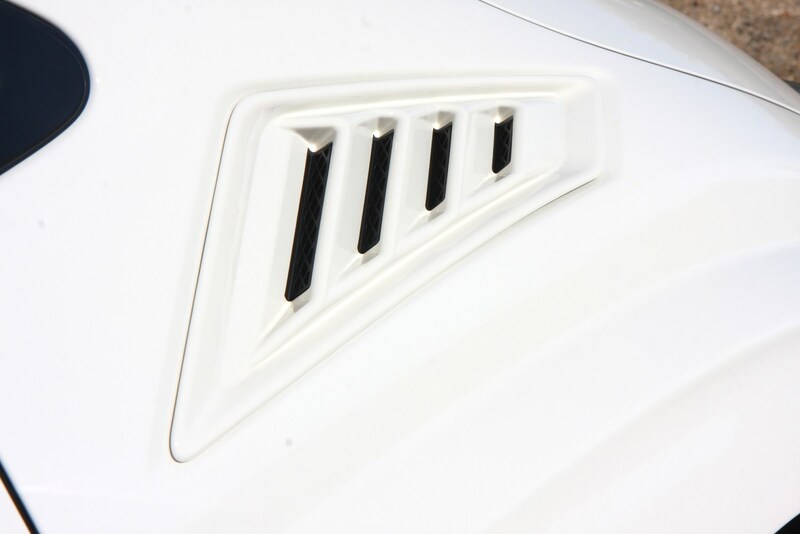 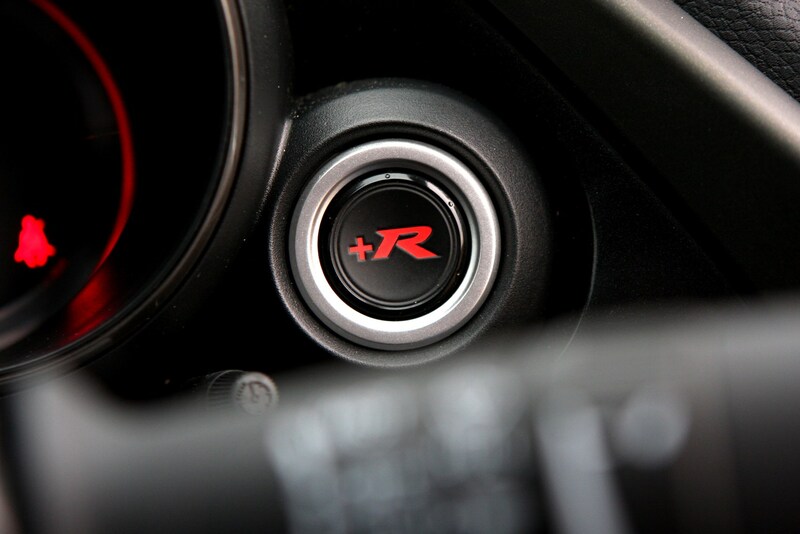 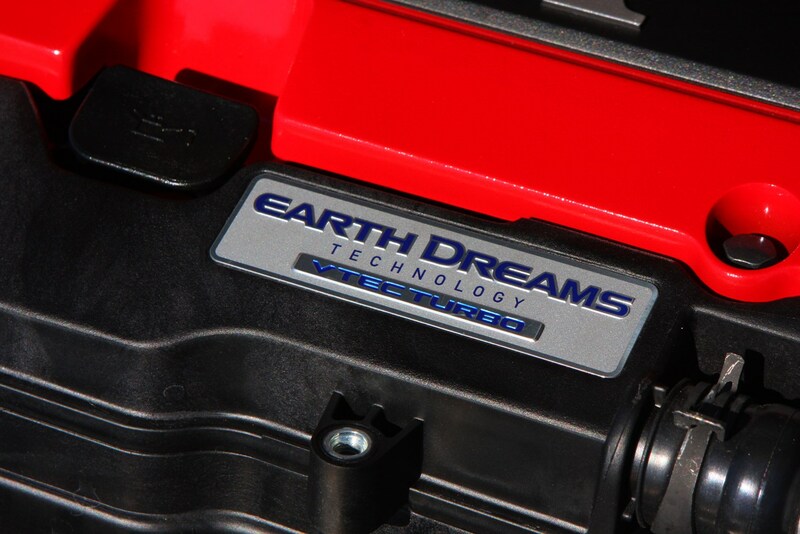 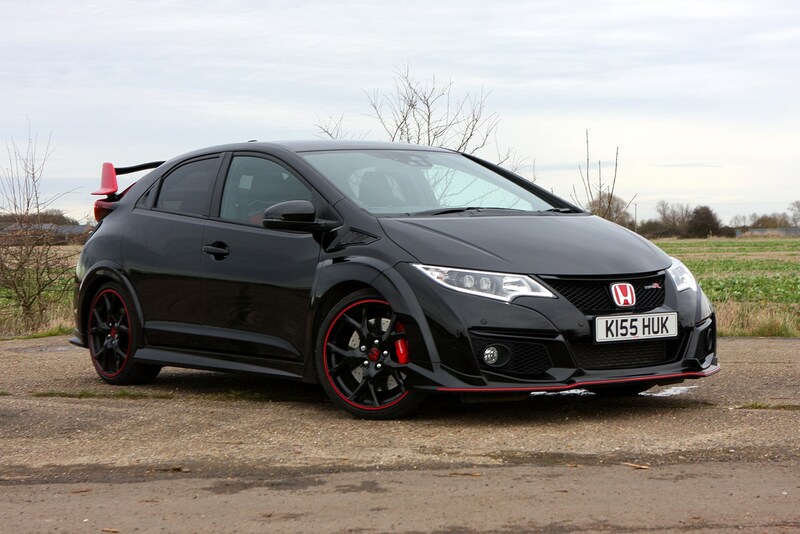 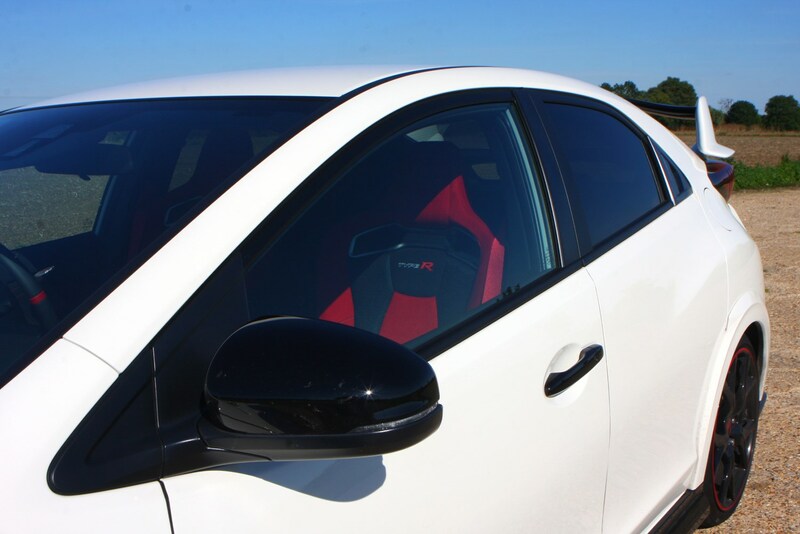 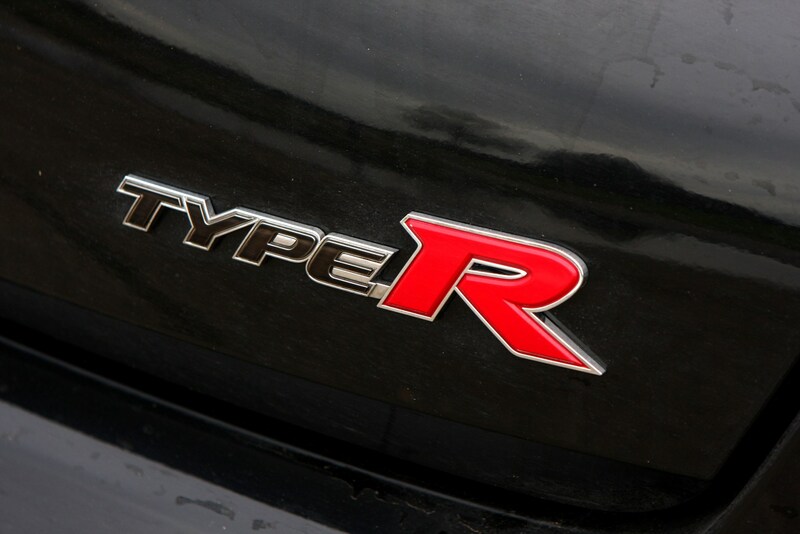 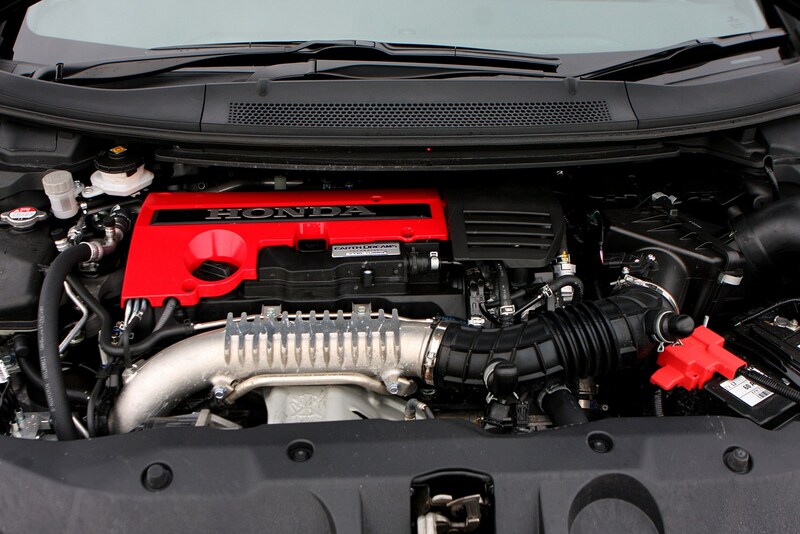 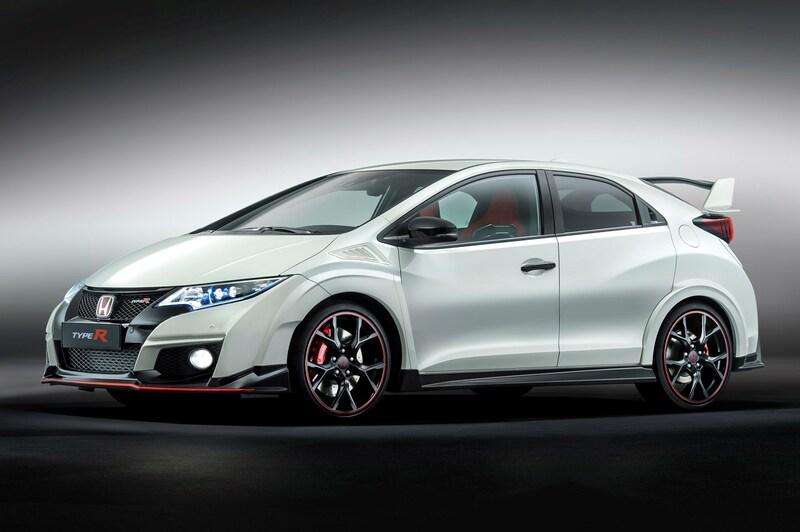 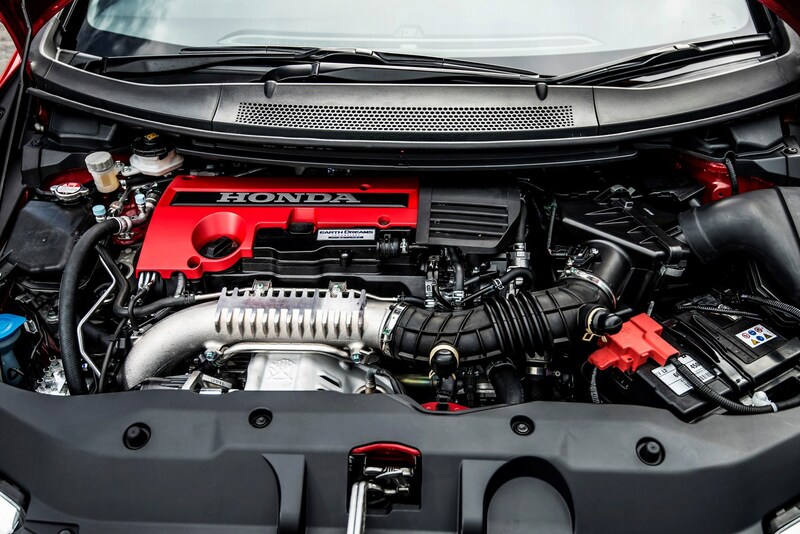 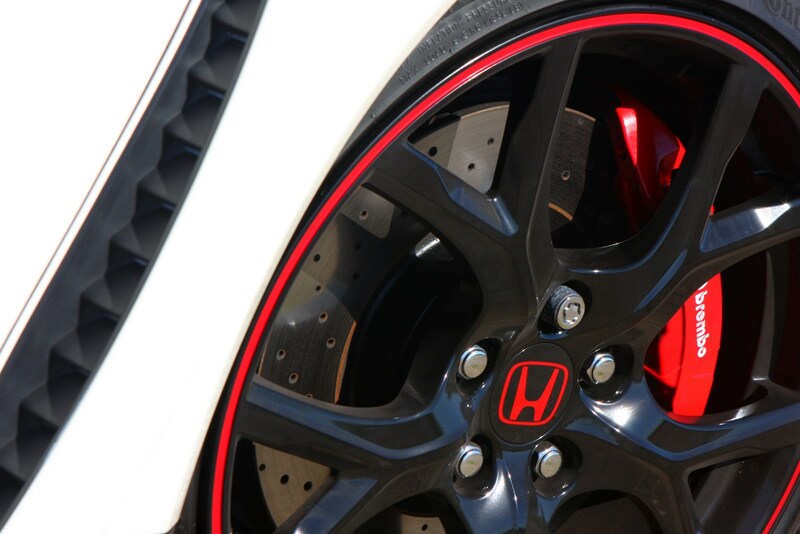 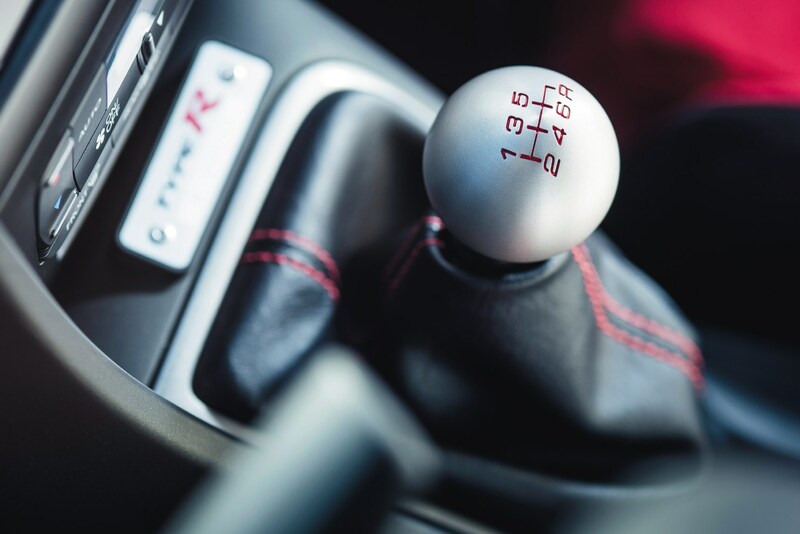 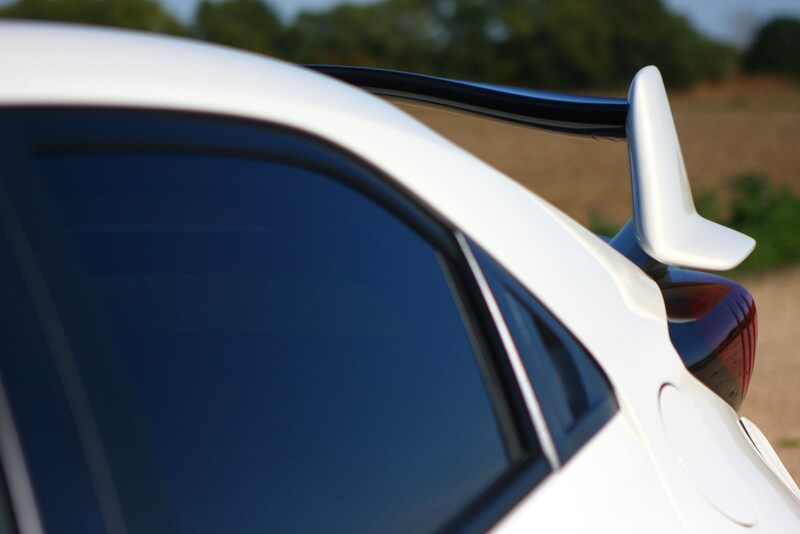 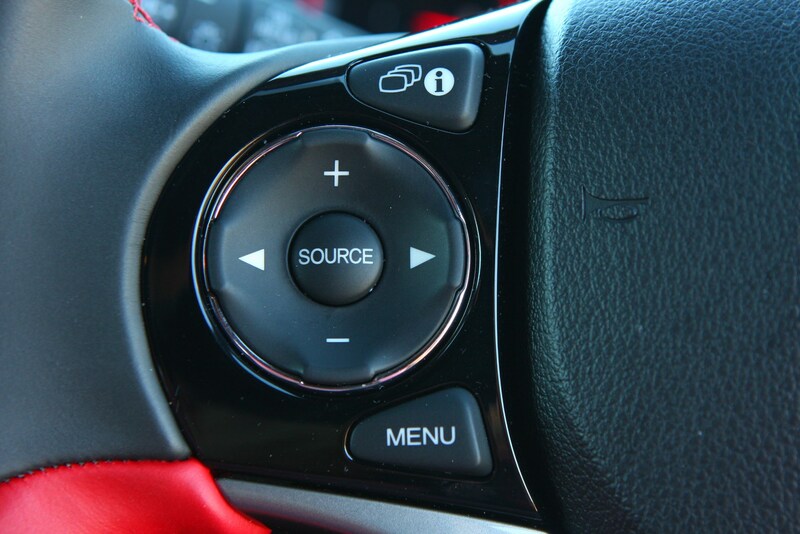 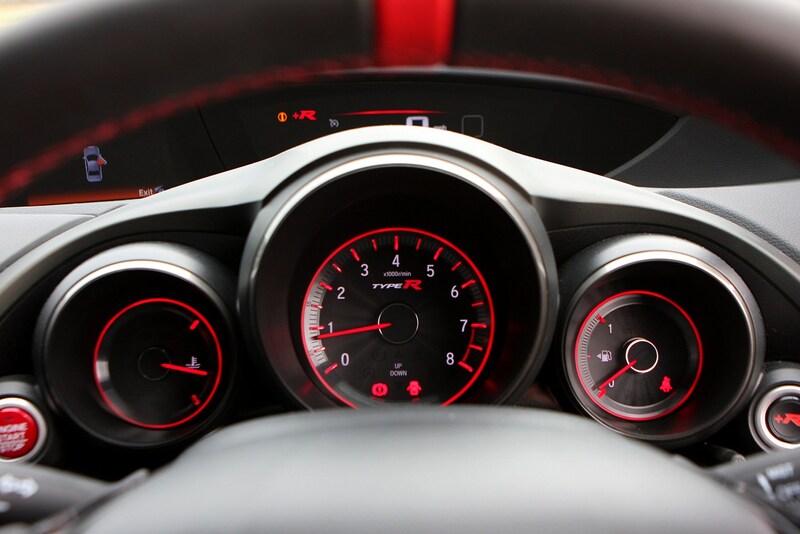 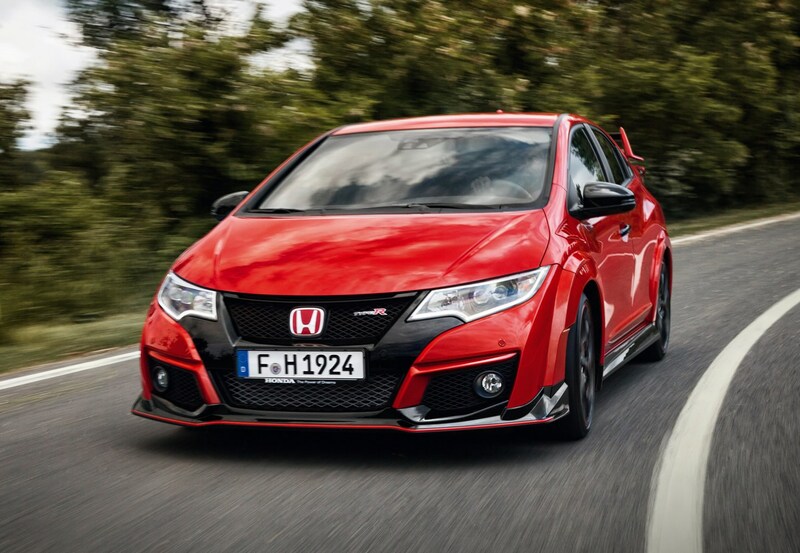 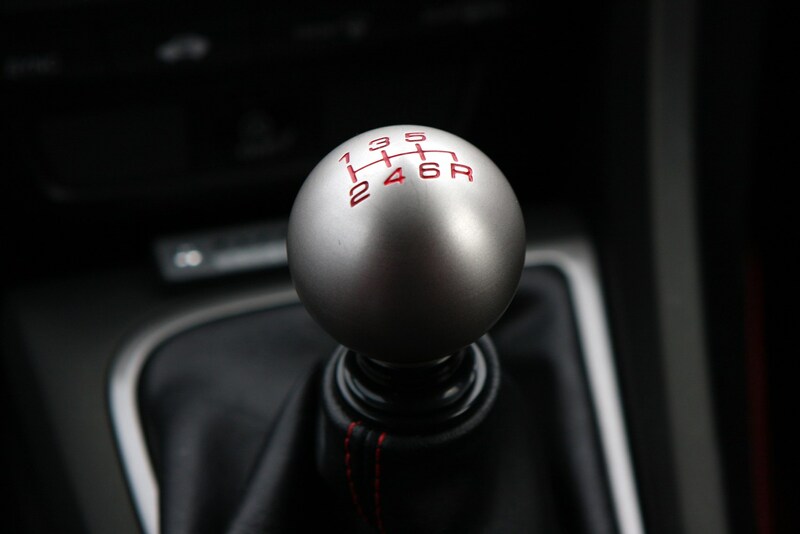 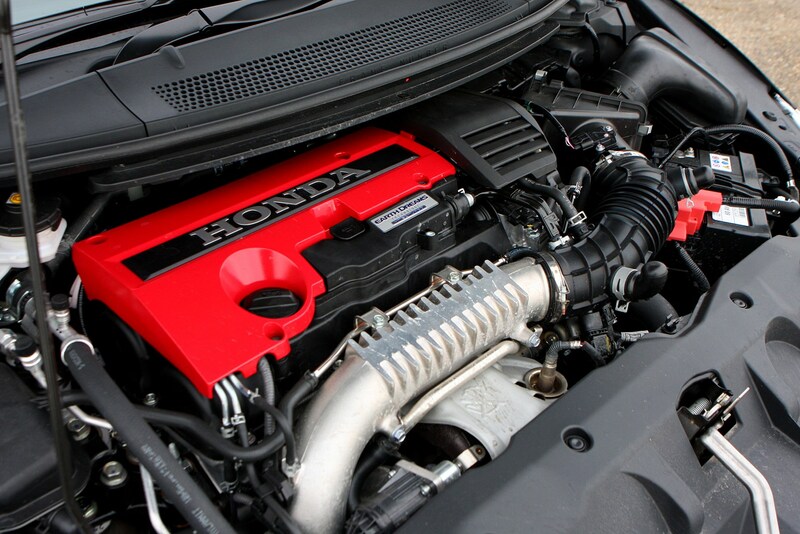 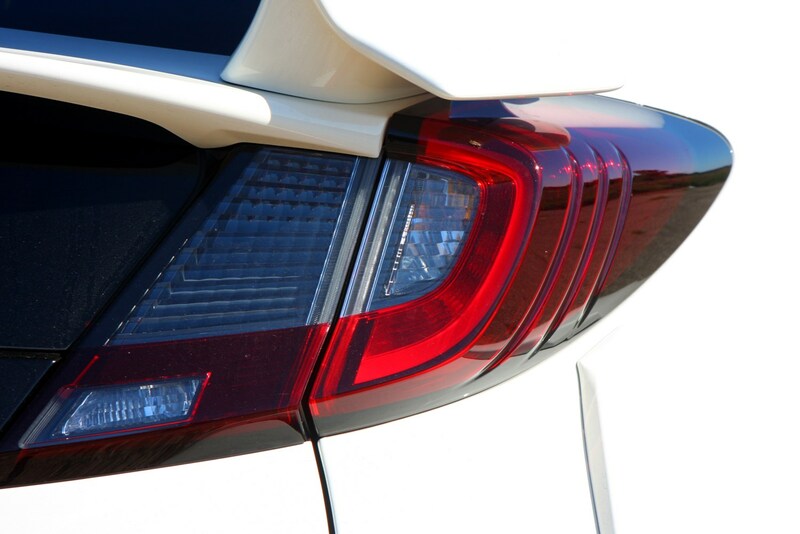 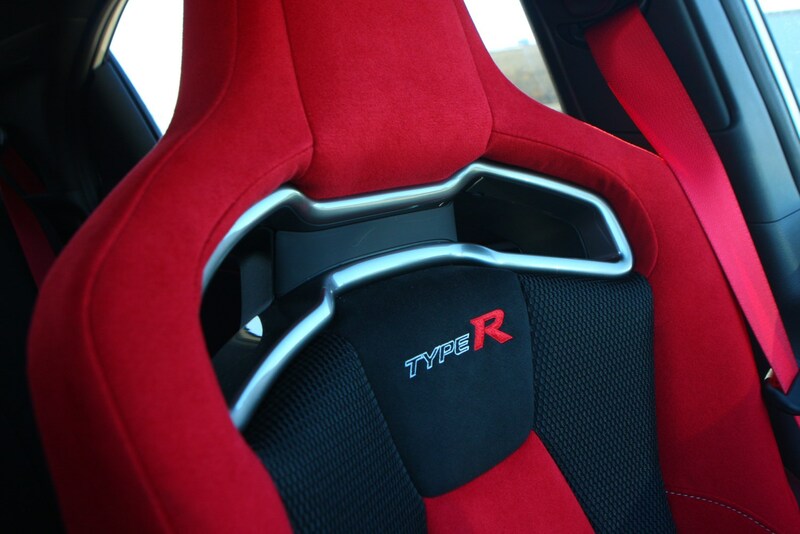 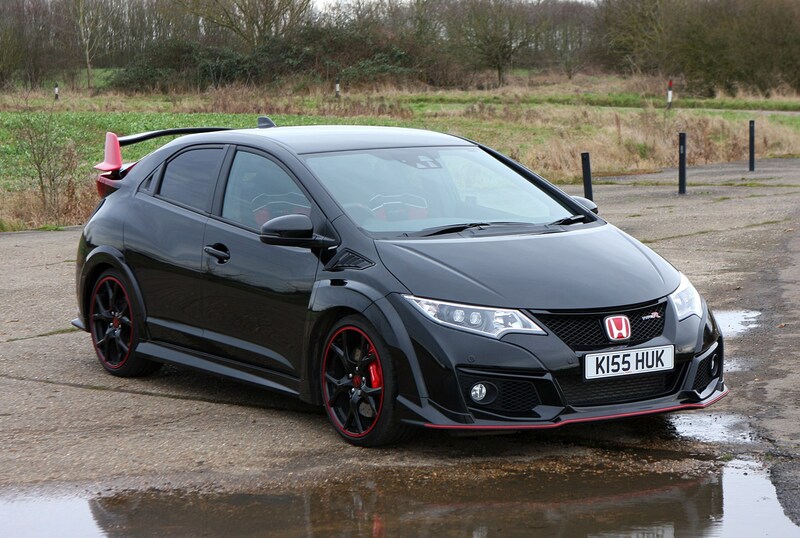 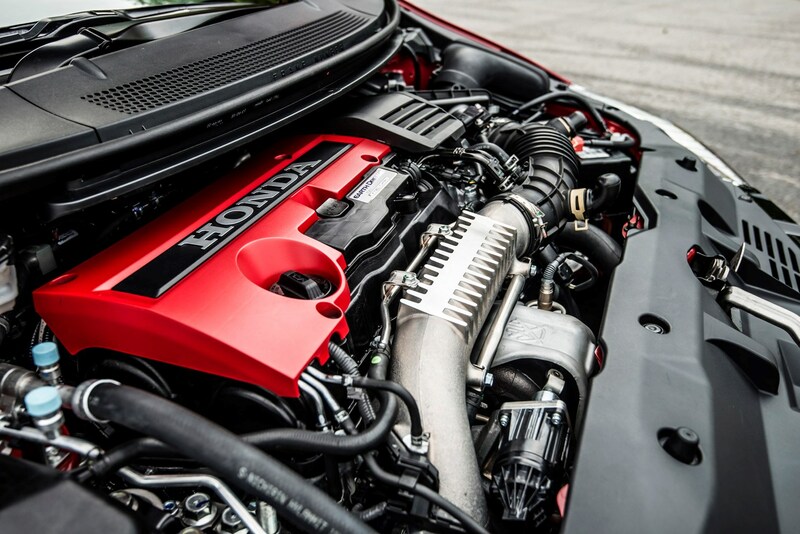 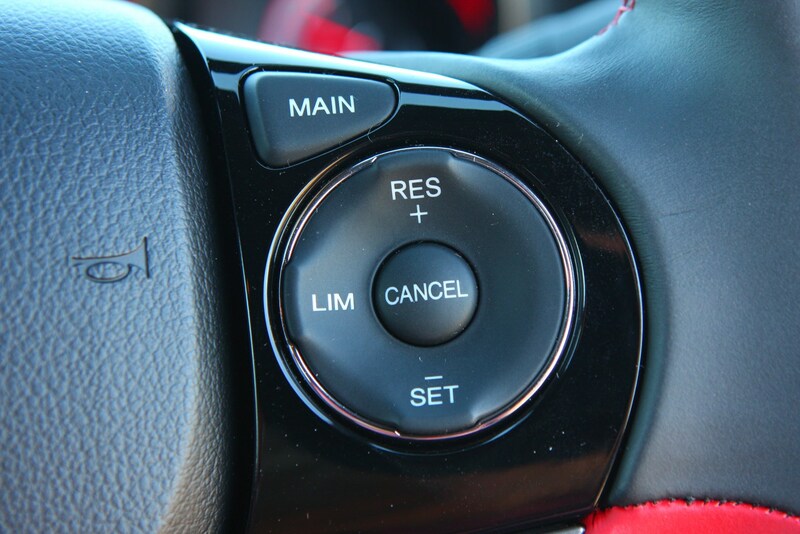 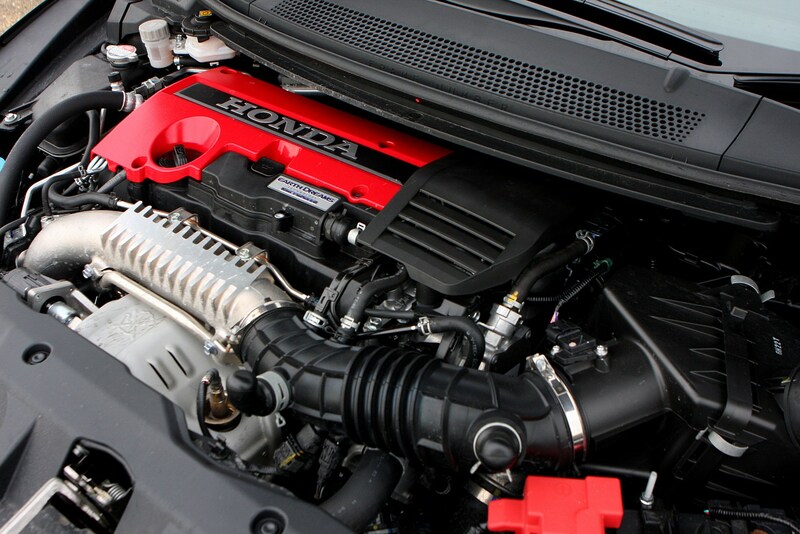 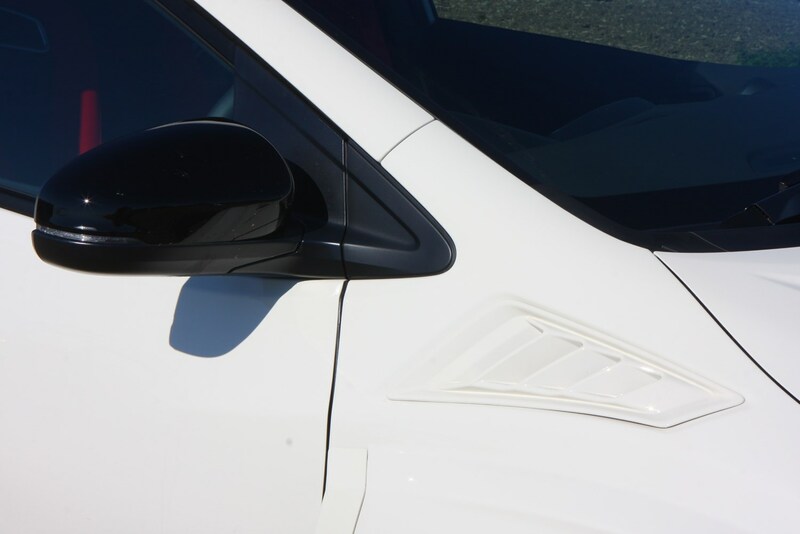 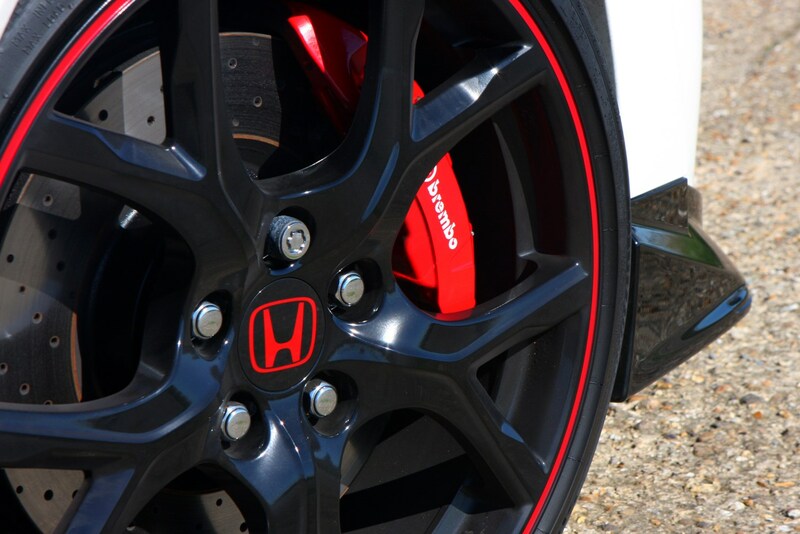 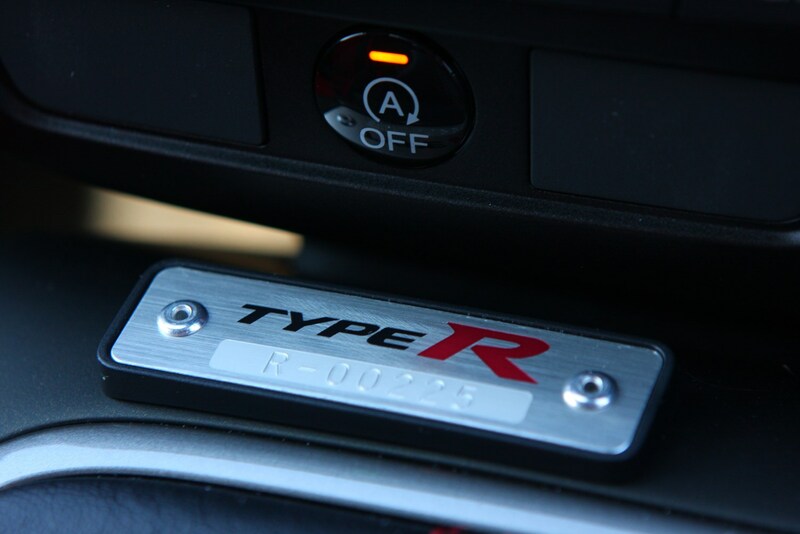 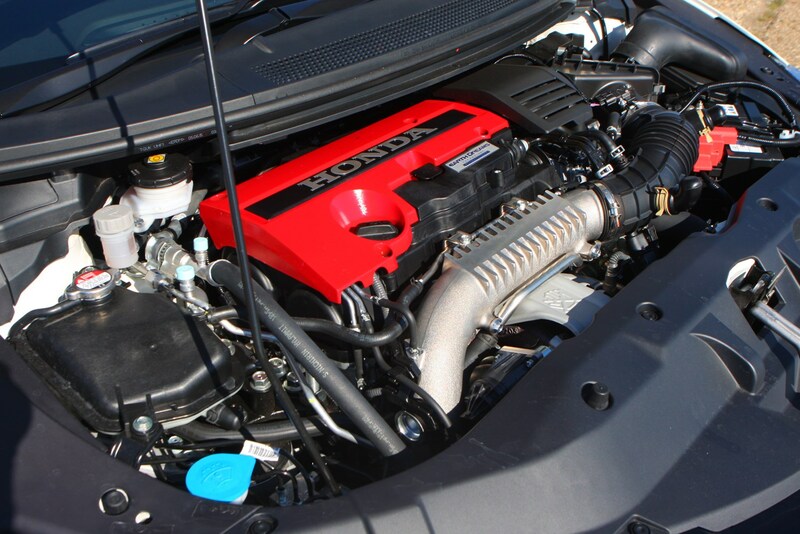 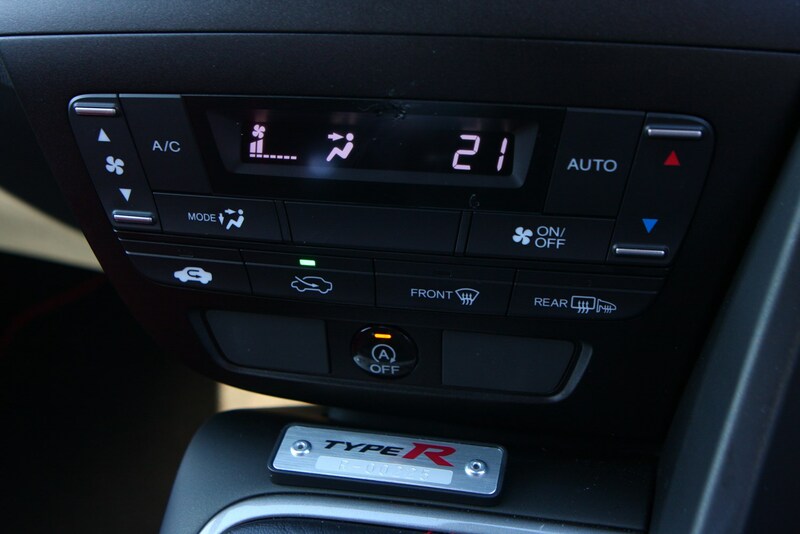 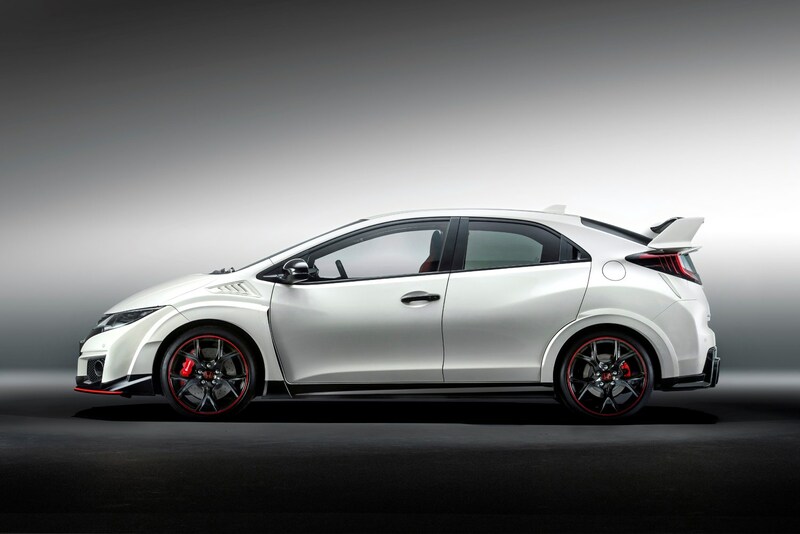 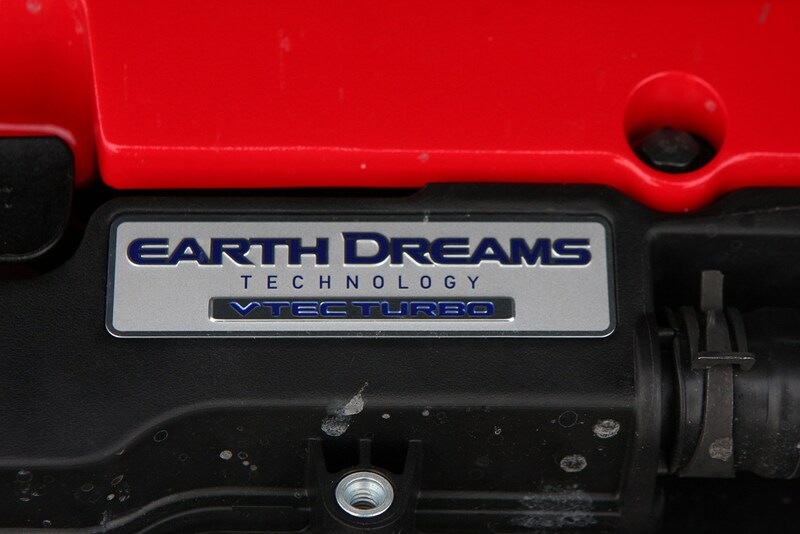 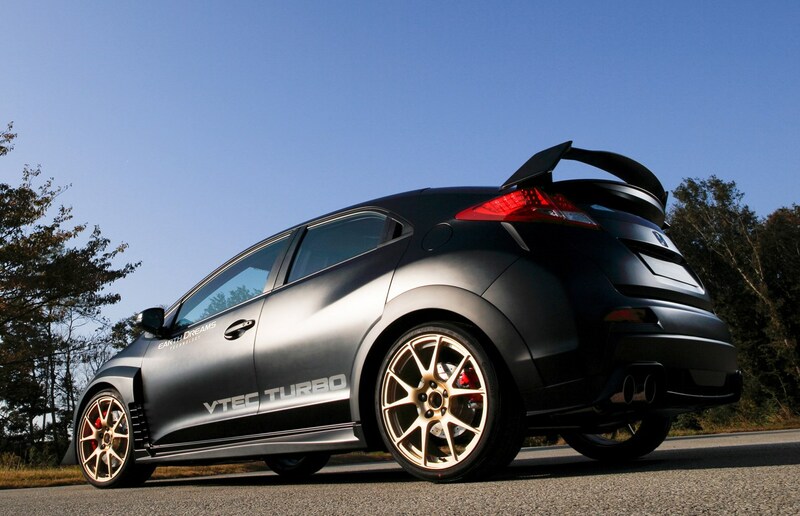 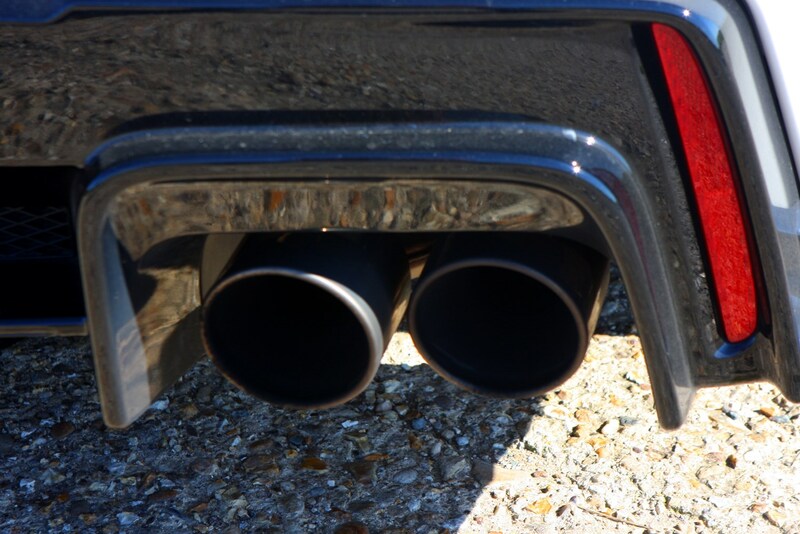 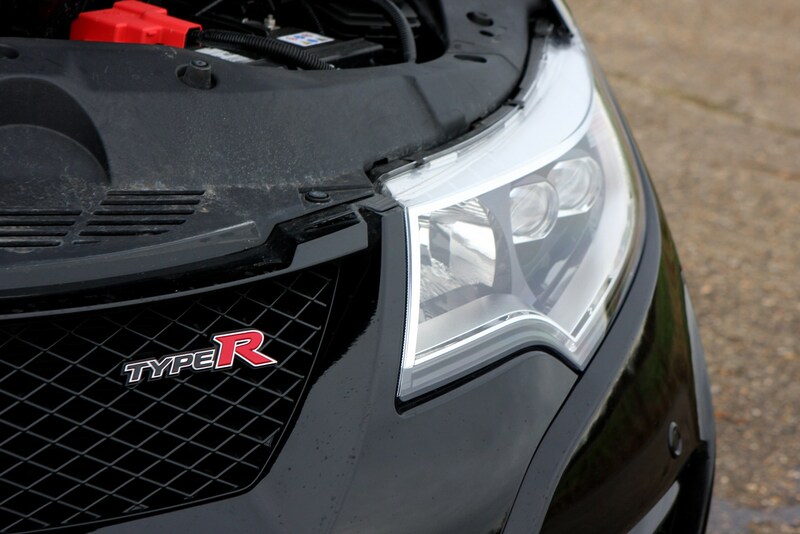 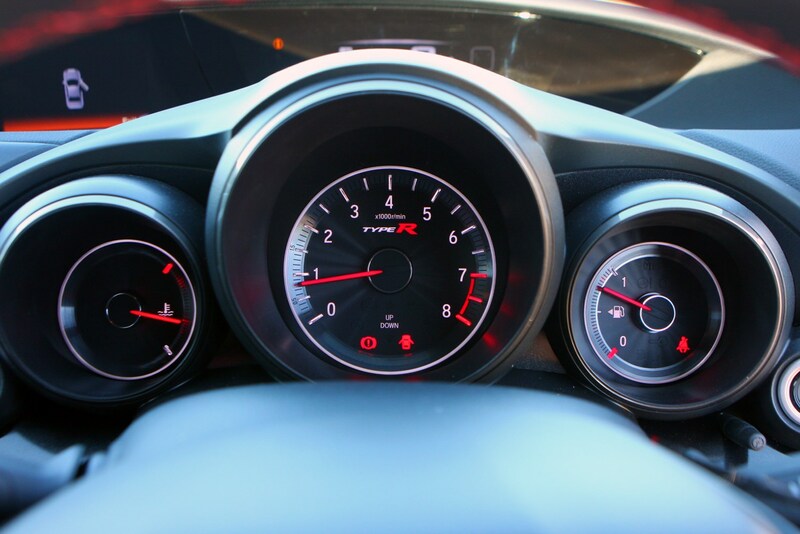 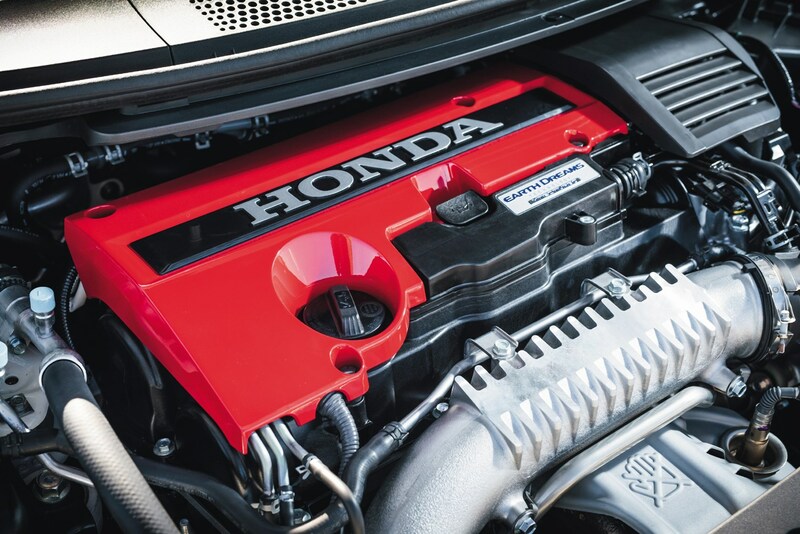 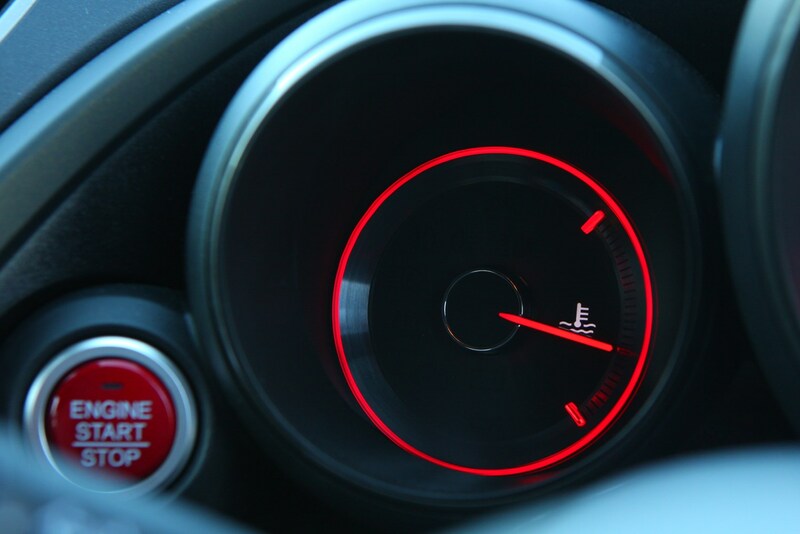 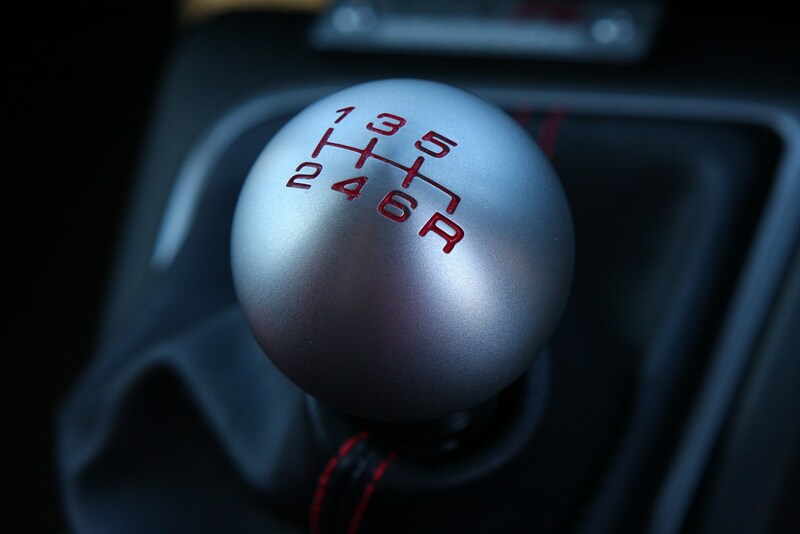 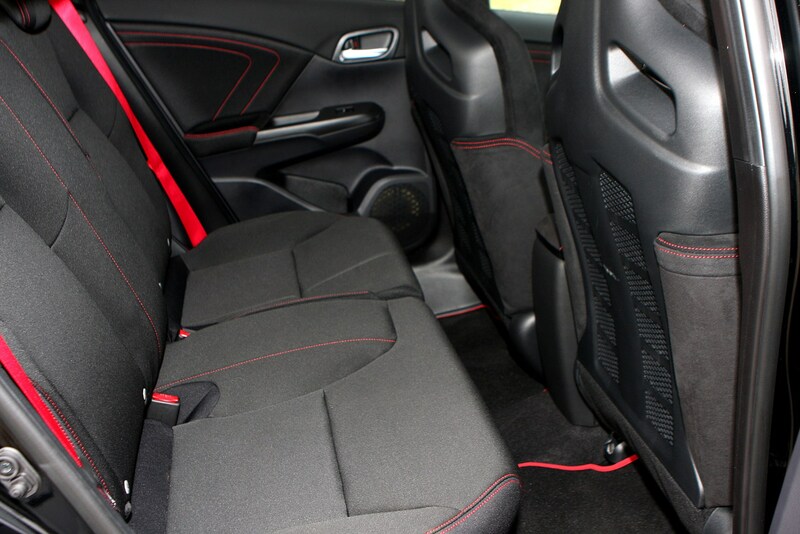 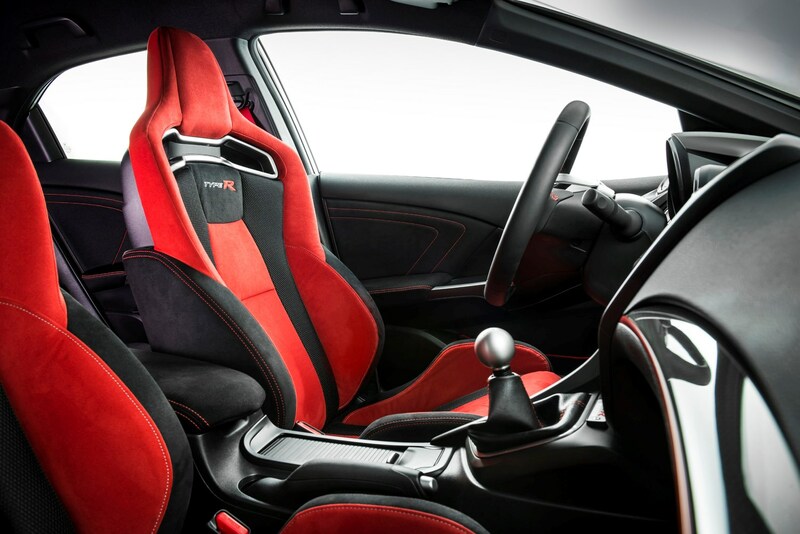 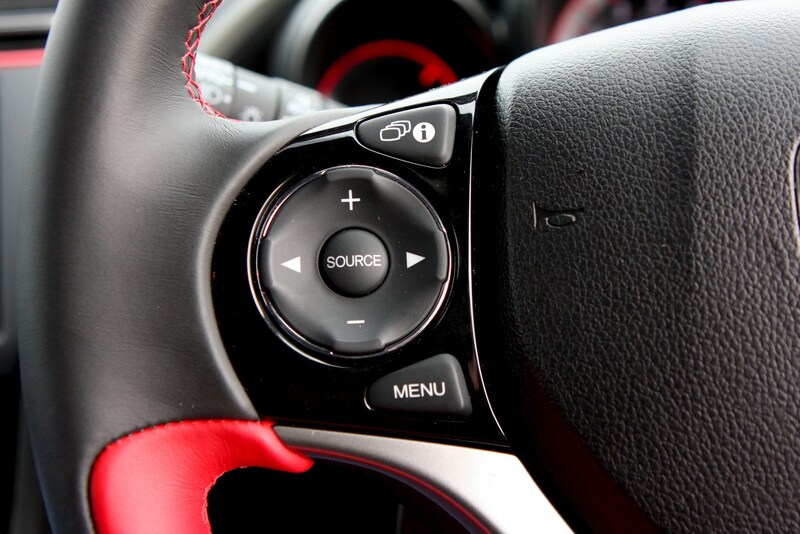 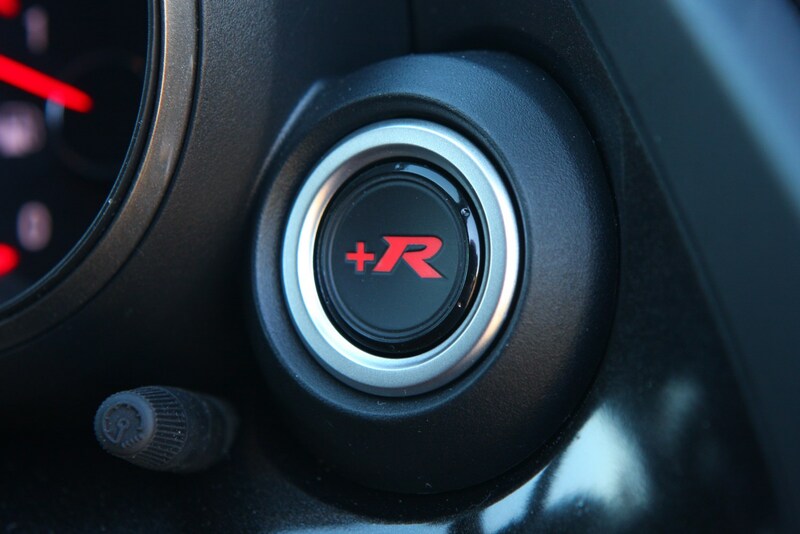 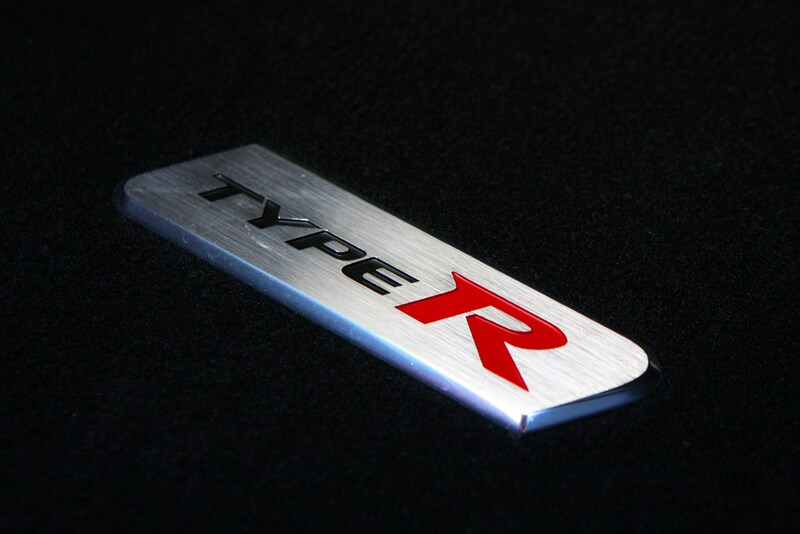 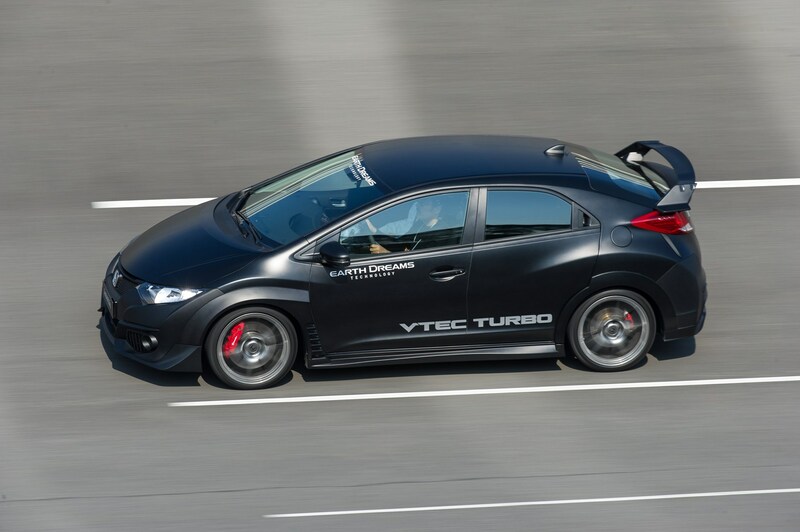 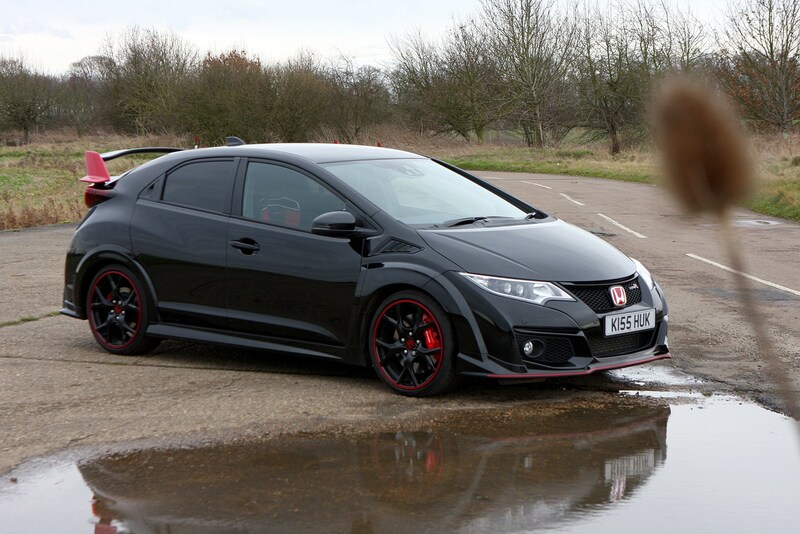 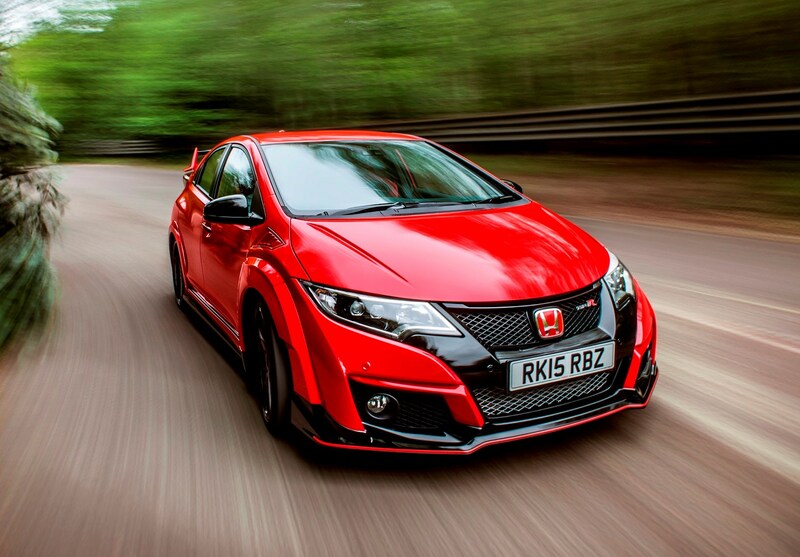 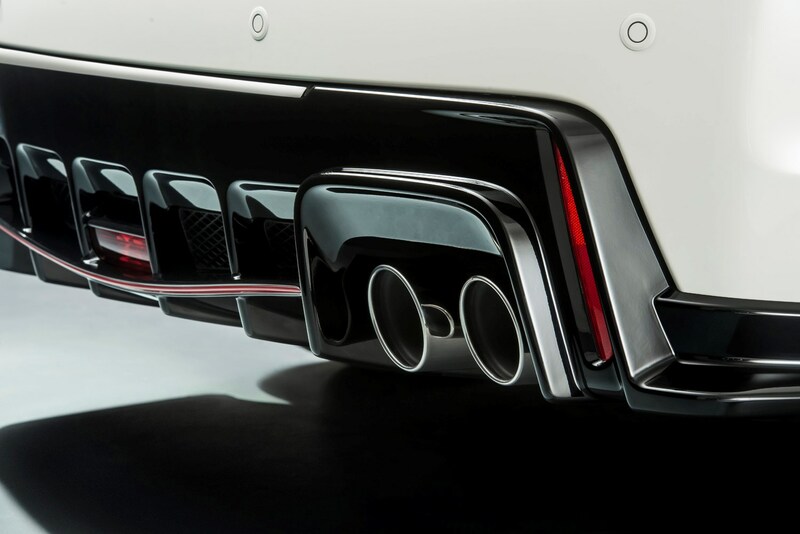 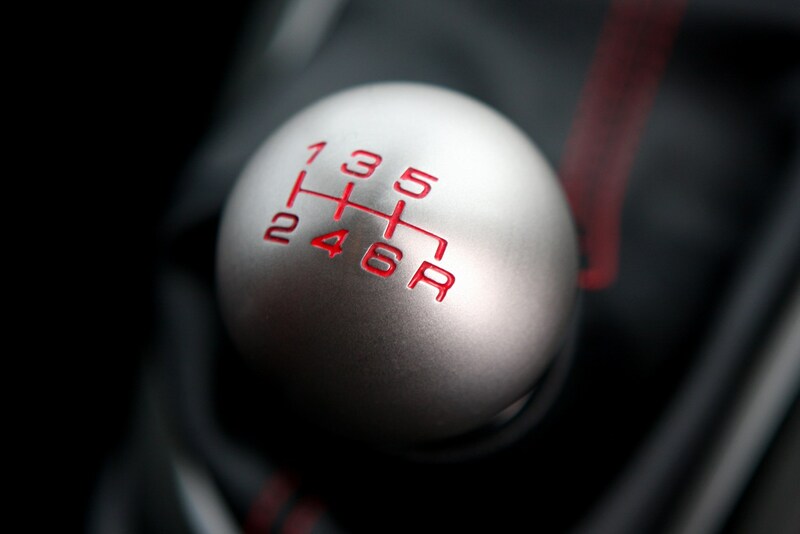 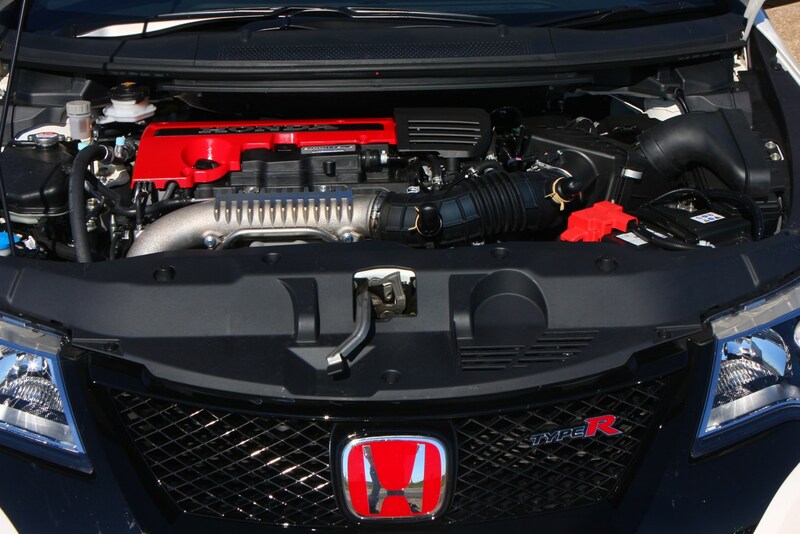 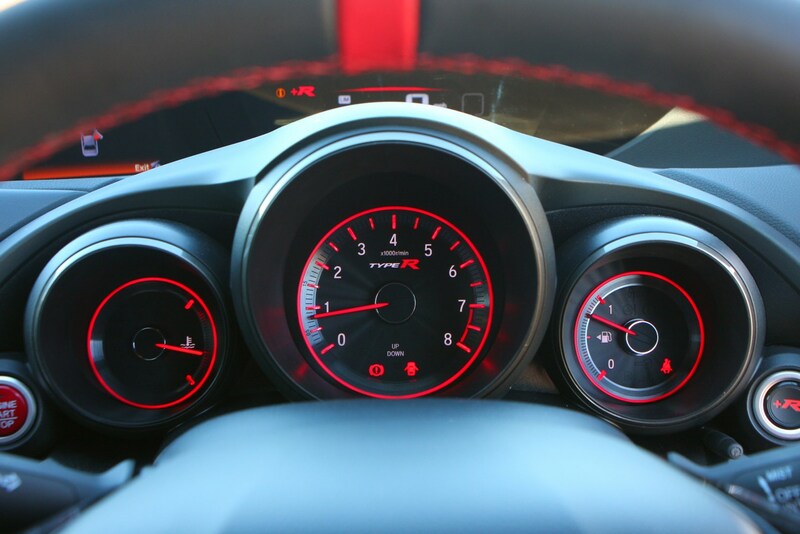 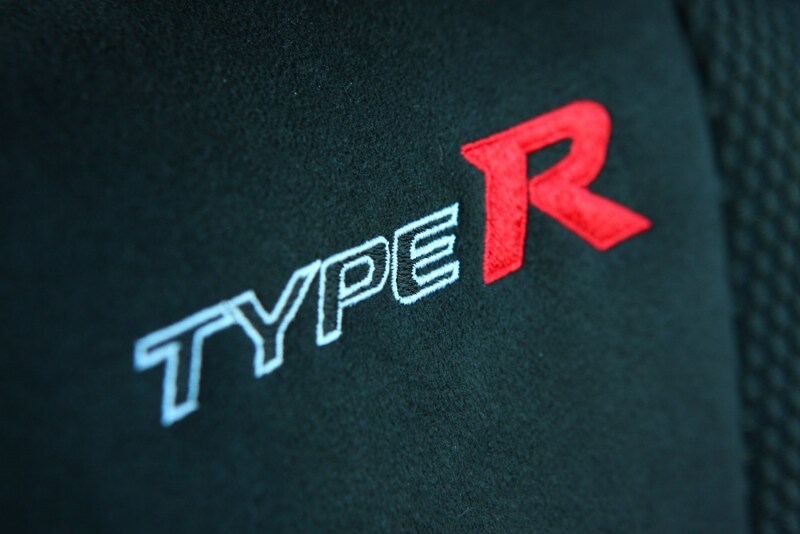 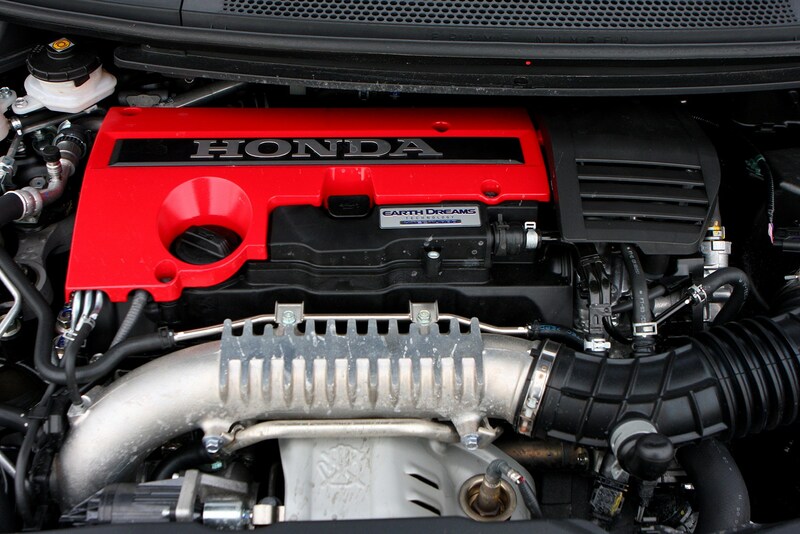 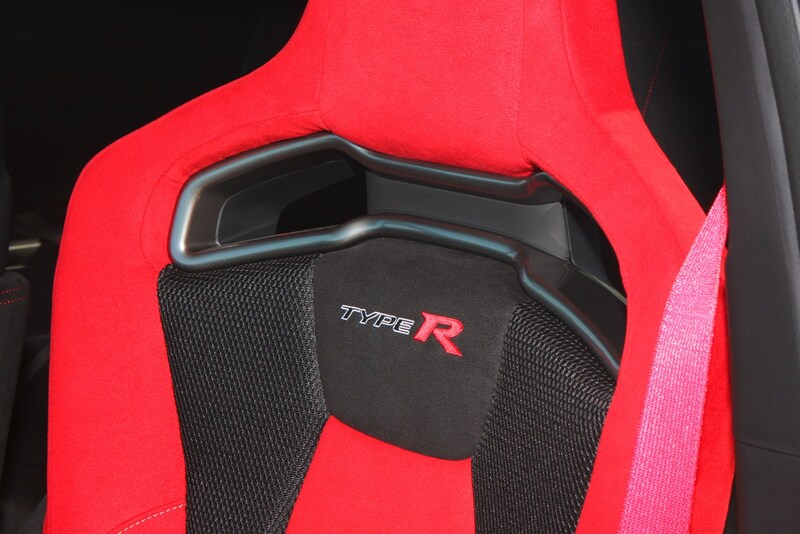 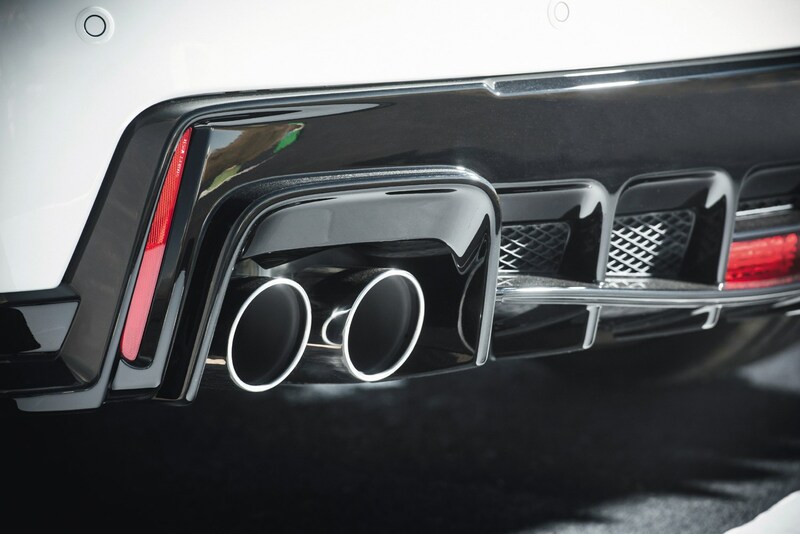 The basic equipment list includes equipment that is standard across all versions of the Honda Civic Type-R (15-17). 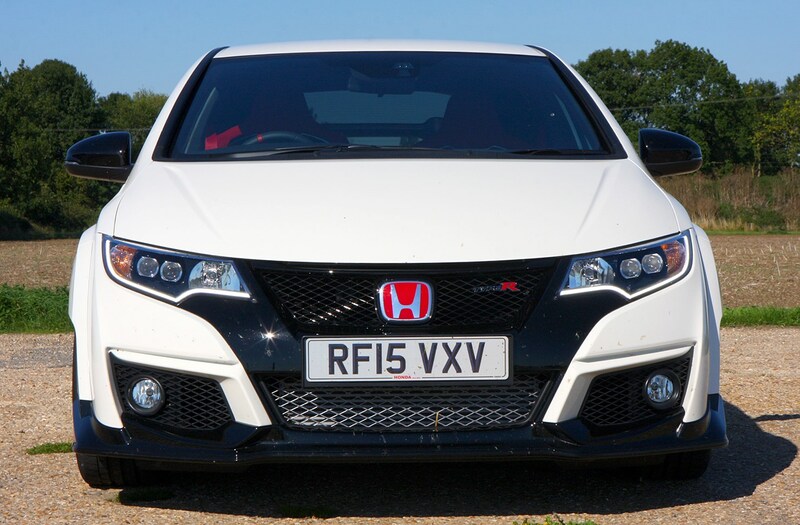 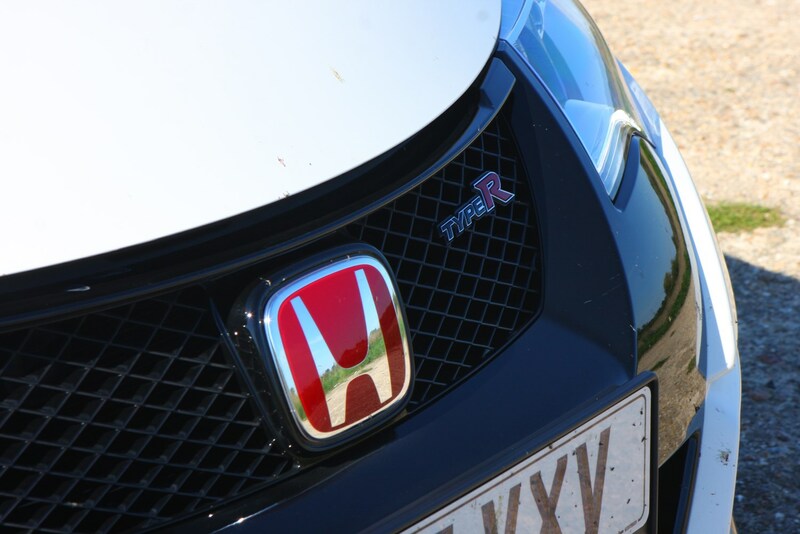 Using the standard car as its base platform means that Honda Civic Type R safety should be its equal, and when tested by Euro NCAP the regular Civic was awarded the full five stars. 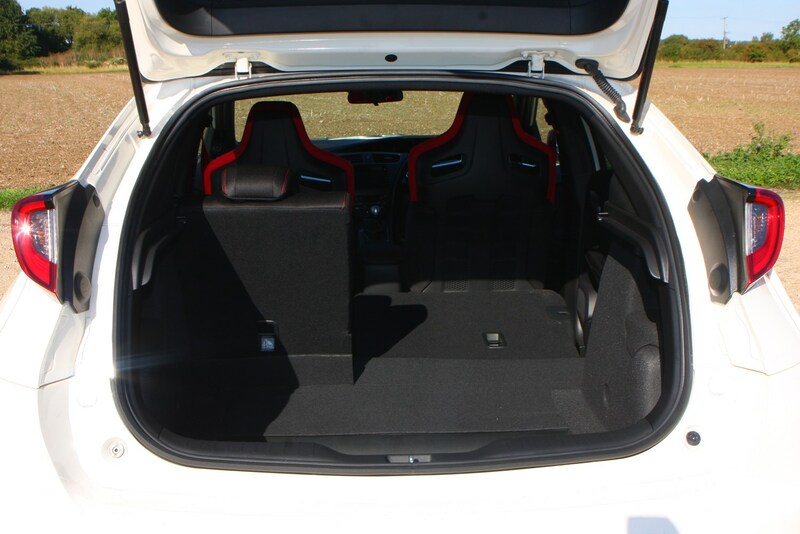 And with the firm’s Advanced Compatibility Engineering (ACE) body structure and six airbags you can see why. 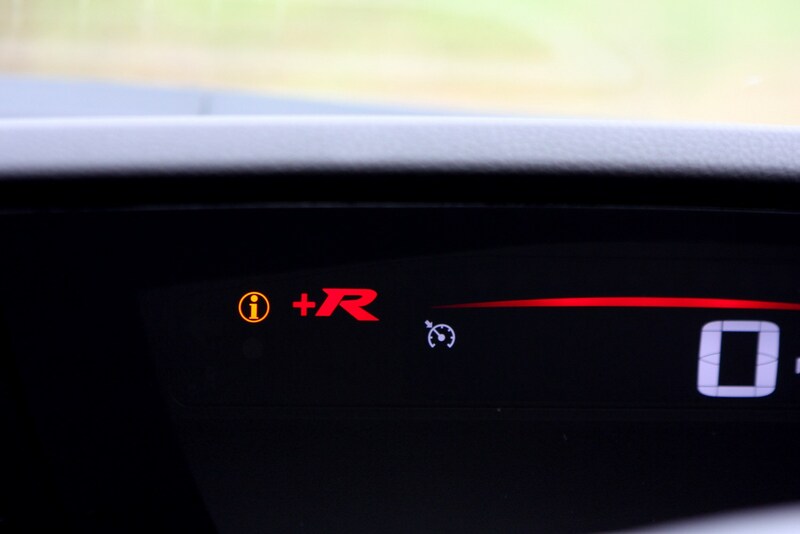 There is of course a standard electronic stability system, which you can disable if you are hoping to exploit your Civic Type R on a circuit. 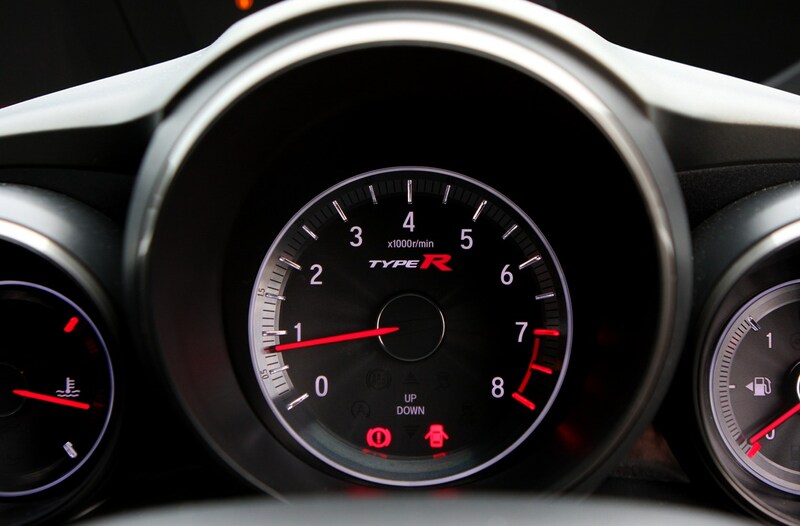 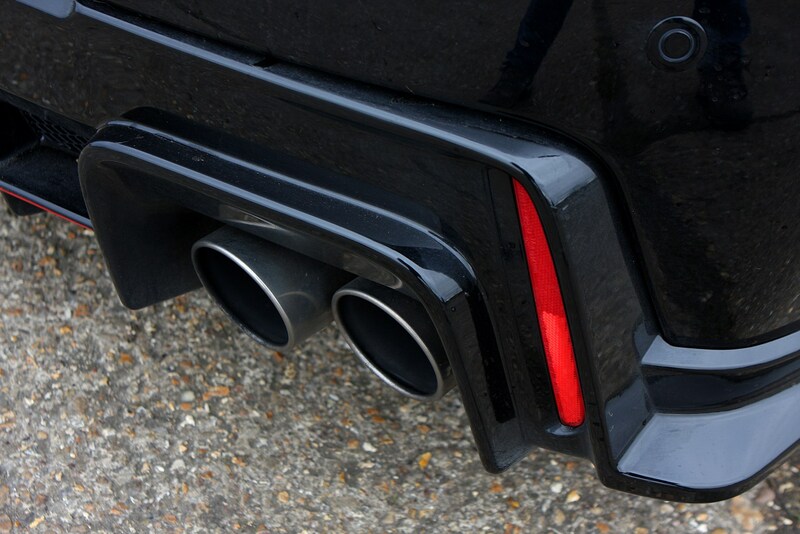 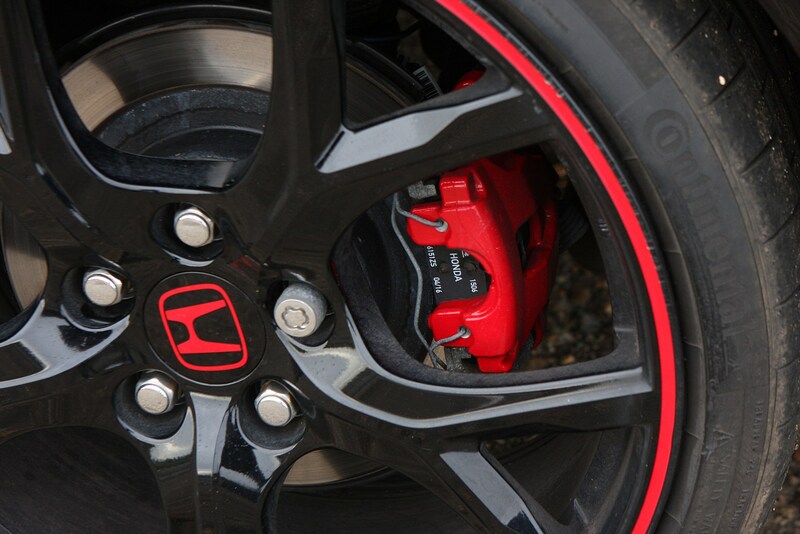 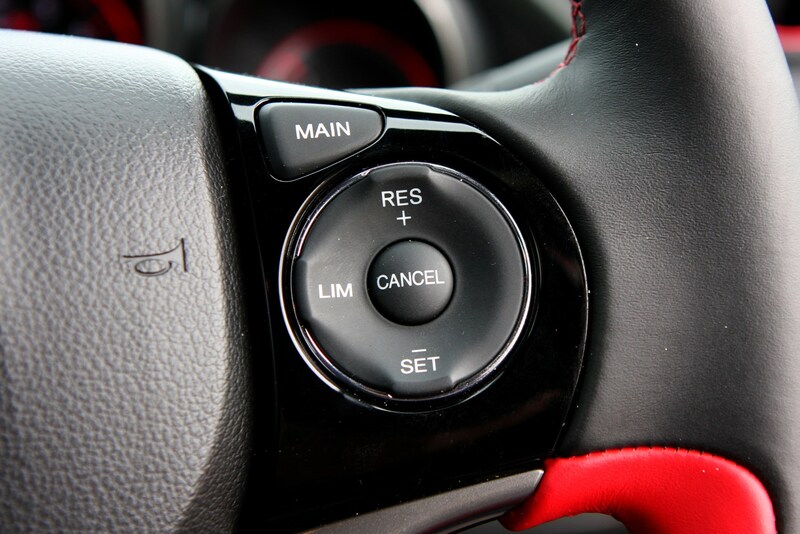 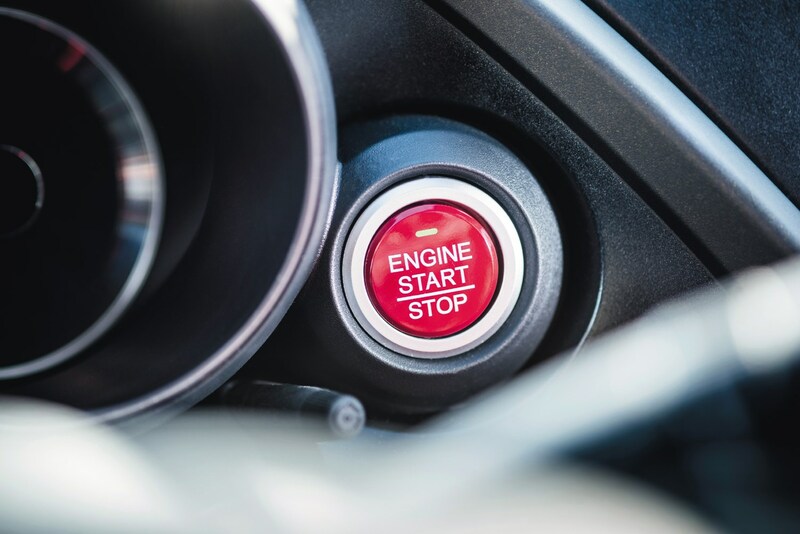 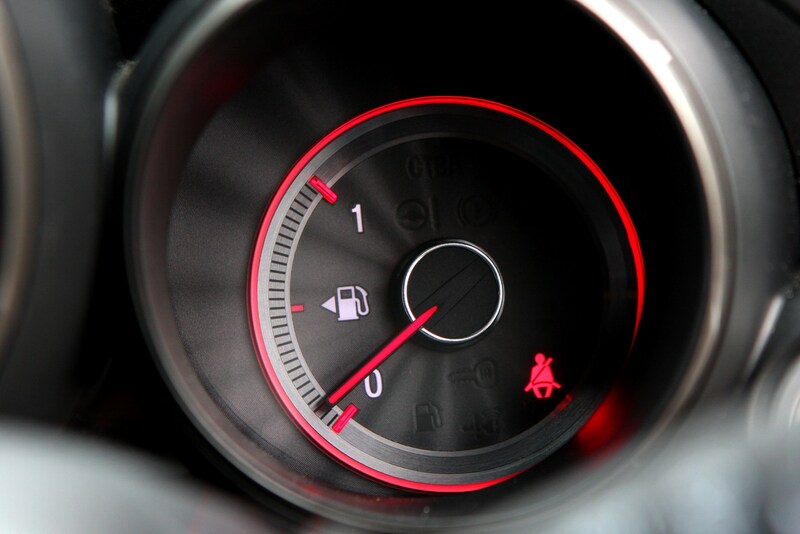 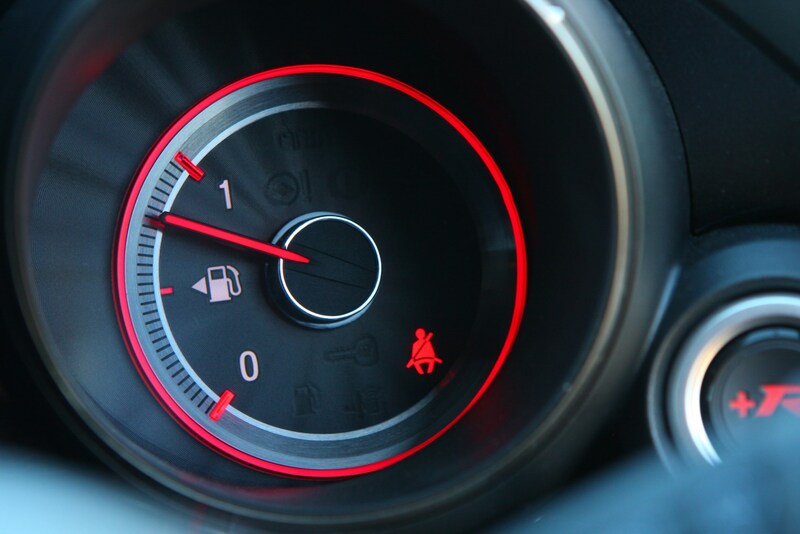 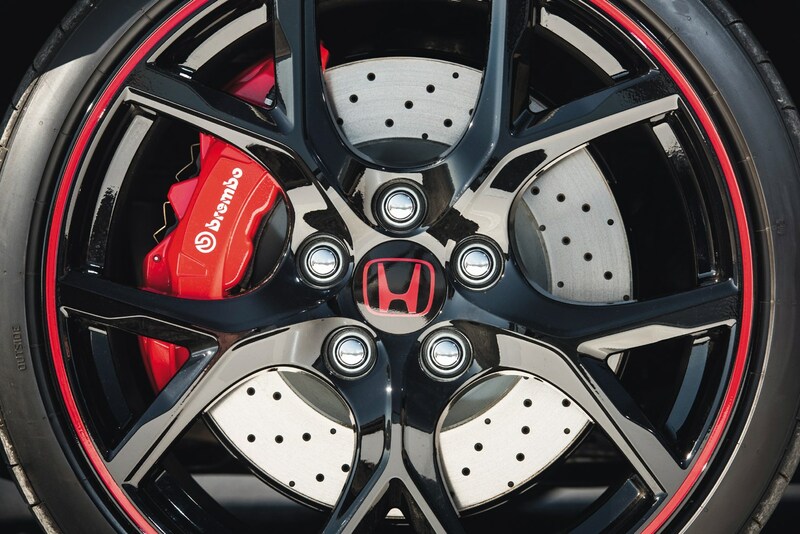 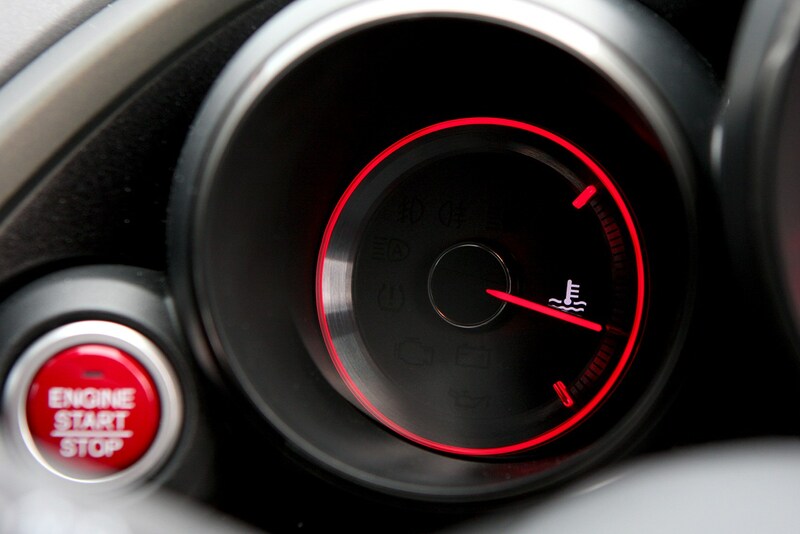 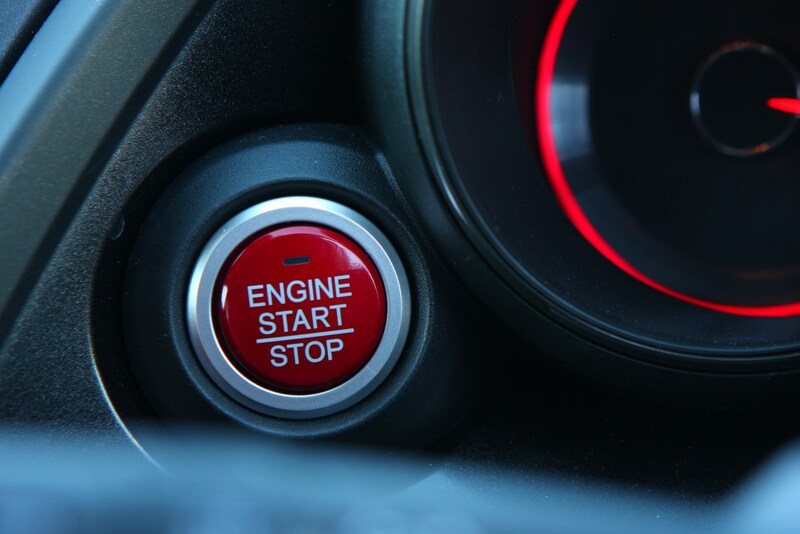 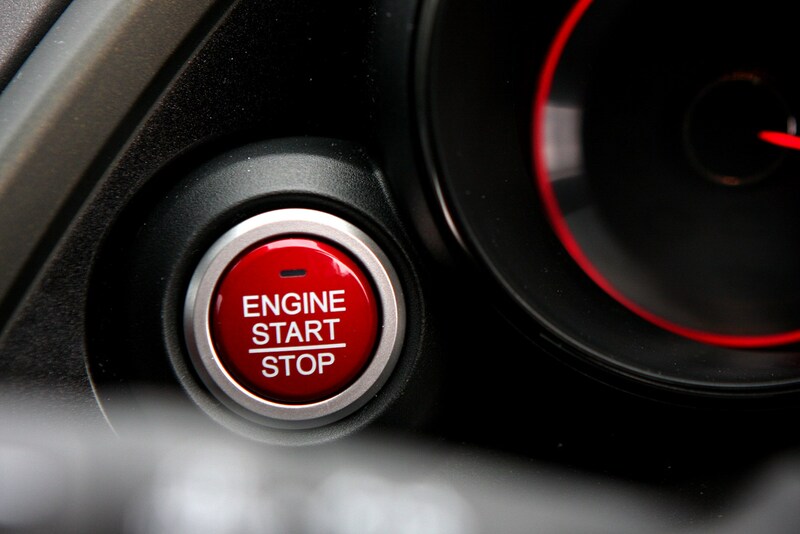 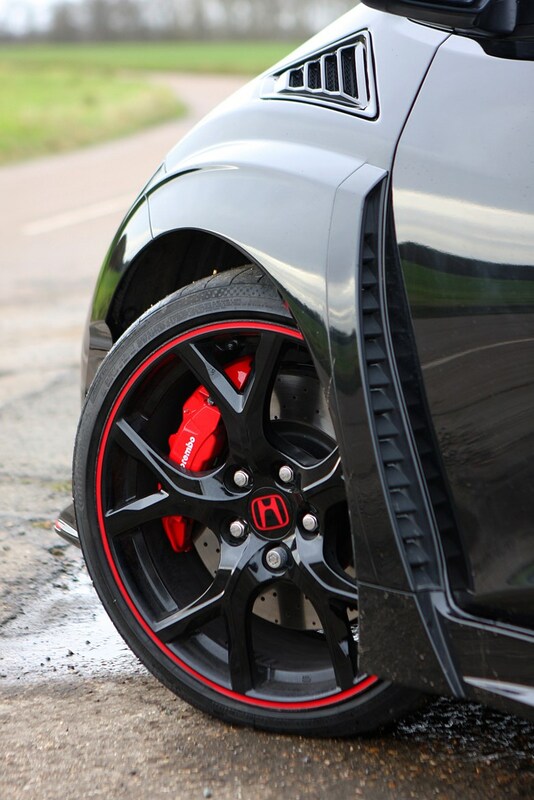 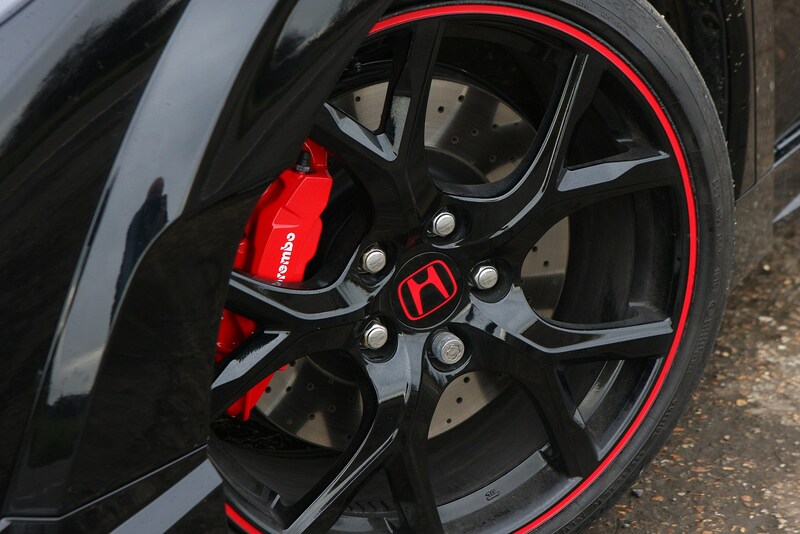 The Honda Civic Type R comes with City Brake Active (CTBA) which uses a radar system to monitor the path ahead and if needs be will brake the car to a halt (from below 19mph) should it detect an imminent risk of collision with other vehicles ahead. 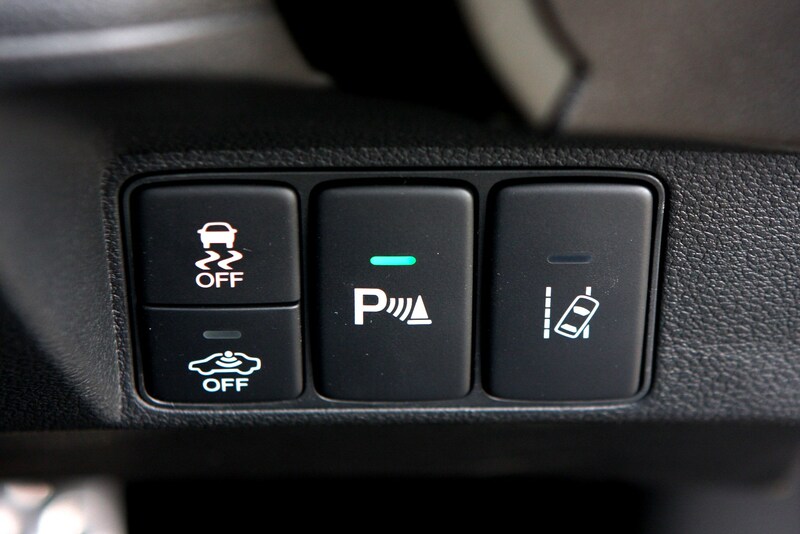 Choose the GT pack and safety is even stronger thanks to standard fit adaptive cruise control and parking sensors front and rear. 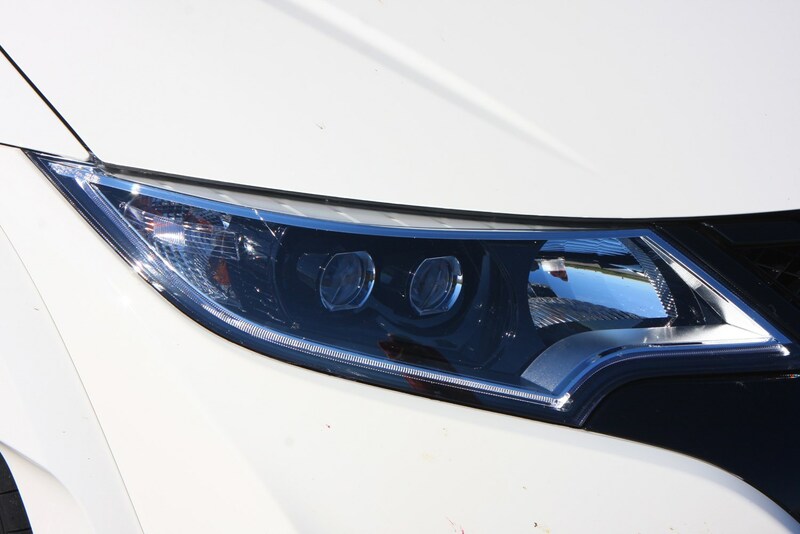 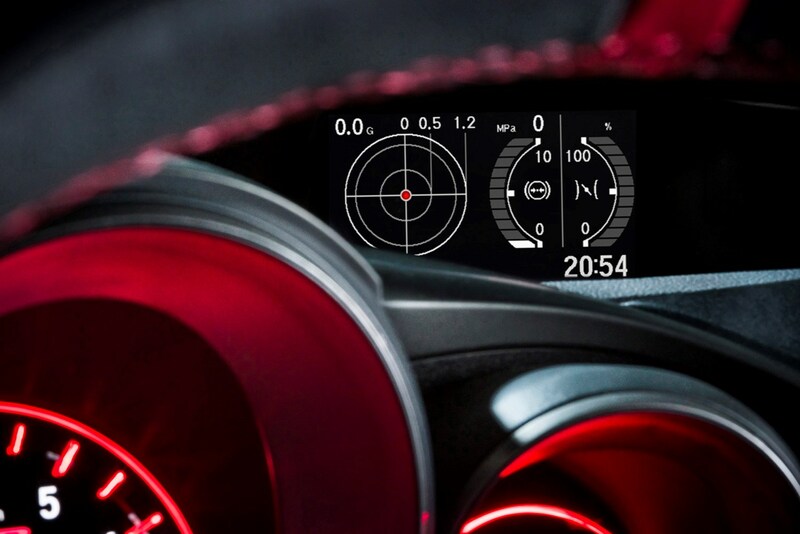 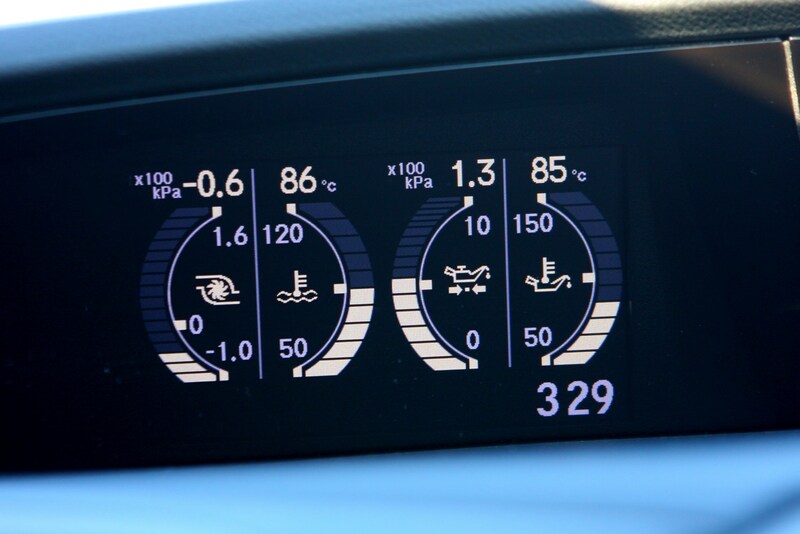 The Advanced Driver Assistance Systems include Forward Collision Warning which augments the CTBA system with visual and audible warnings, Lane Departure Warning, High Beam Support System which switches between high and dipped beam headlights automatically at speeds above 25mph. 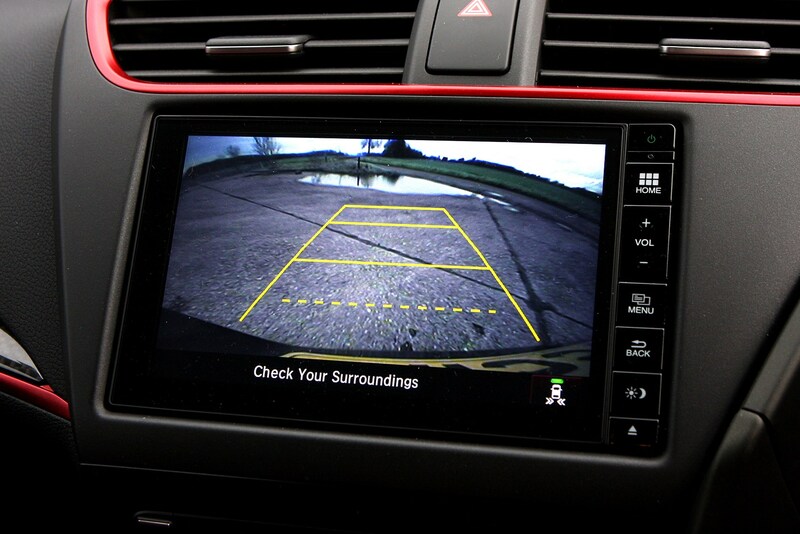 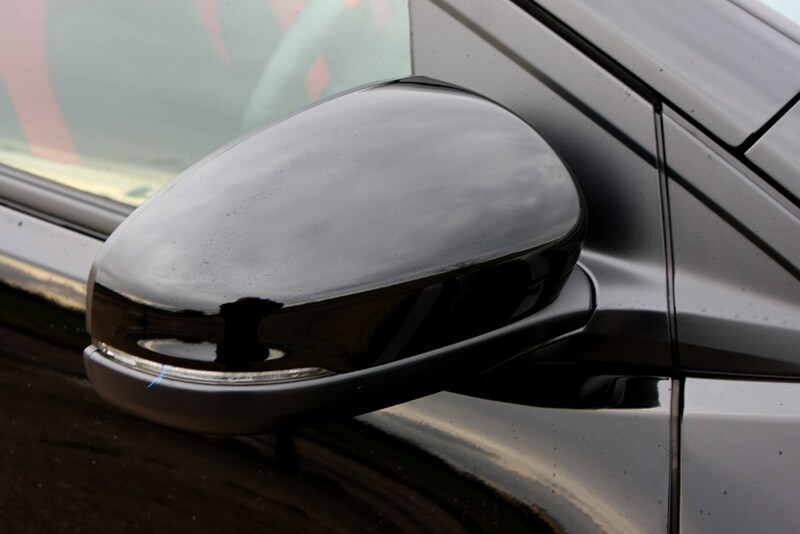 Blind Spot Information is also included as is Cross Traffic Monitor which uses side-mounted radars to detect approaching vehicles when reversing and Traffic Sign Recognition system which reads signs at the side of the road and displays relevant information to the driver such as the current location’s speed limit. 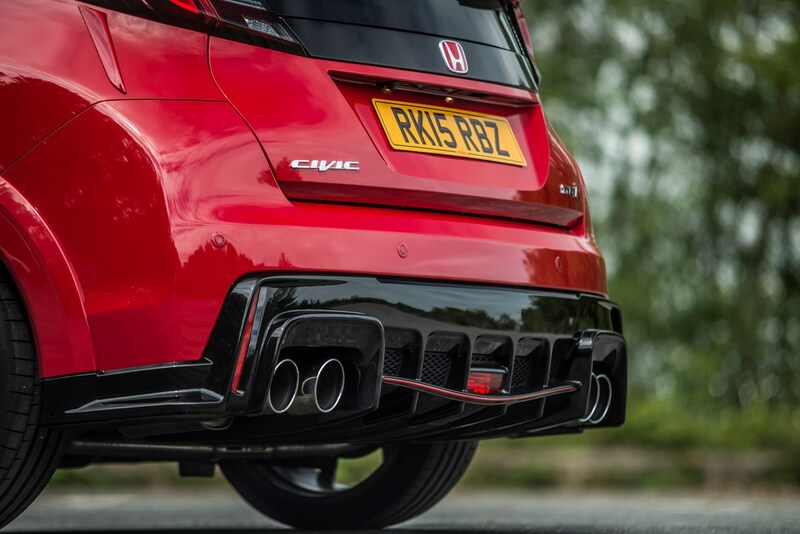 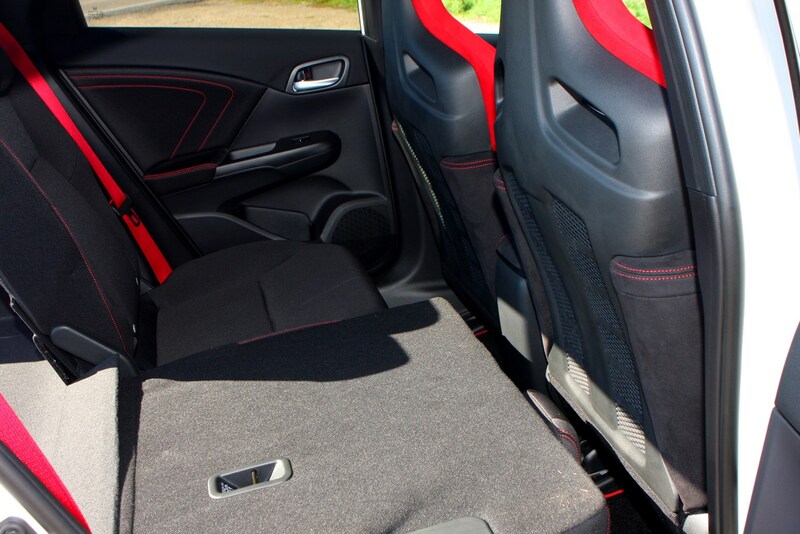 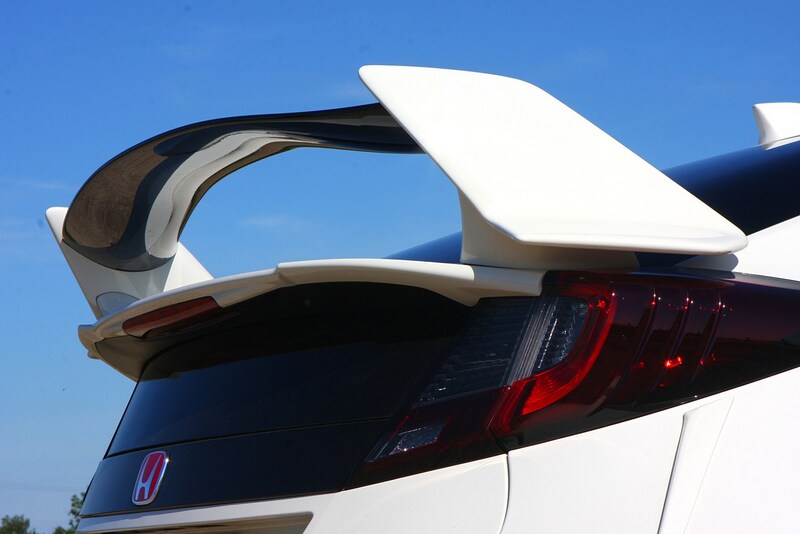 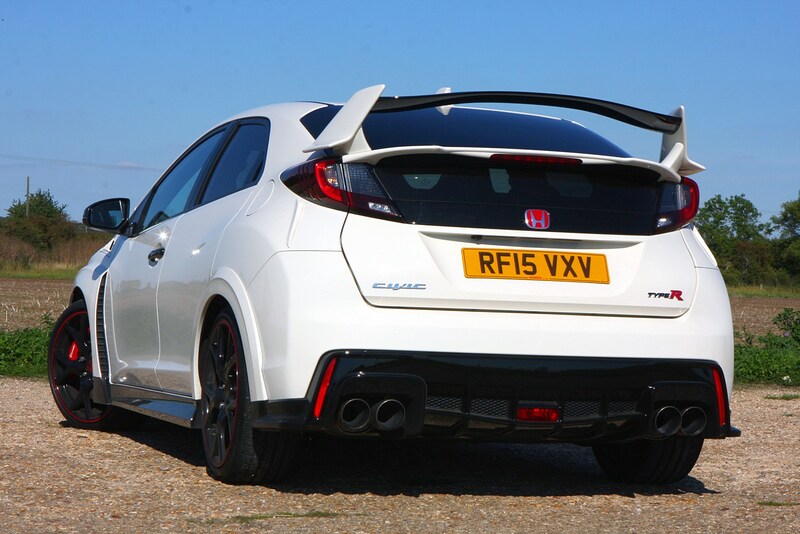 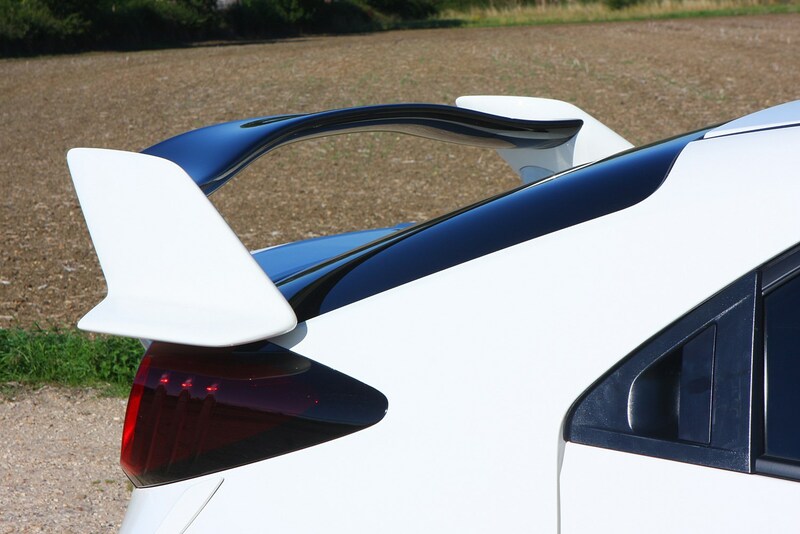 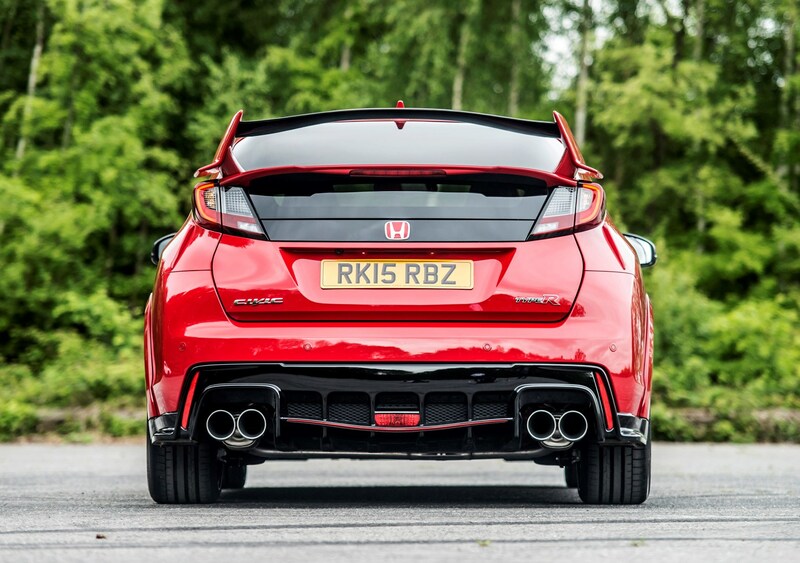 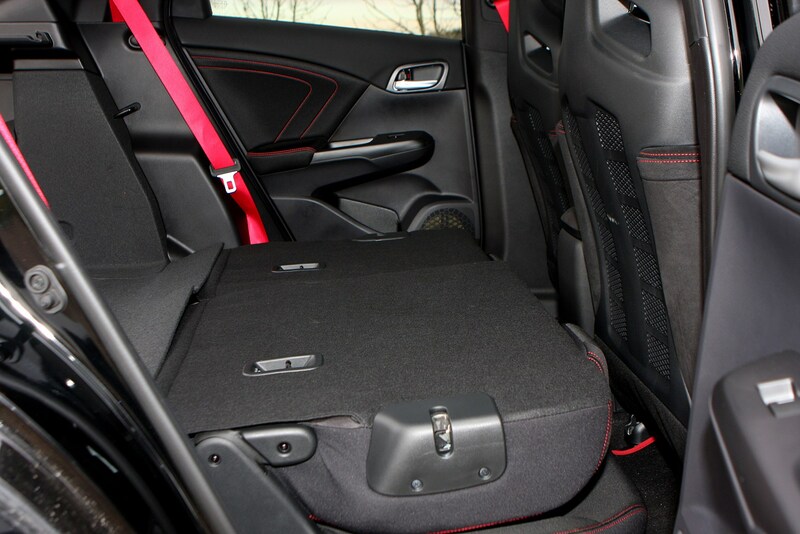 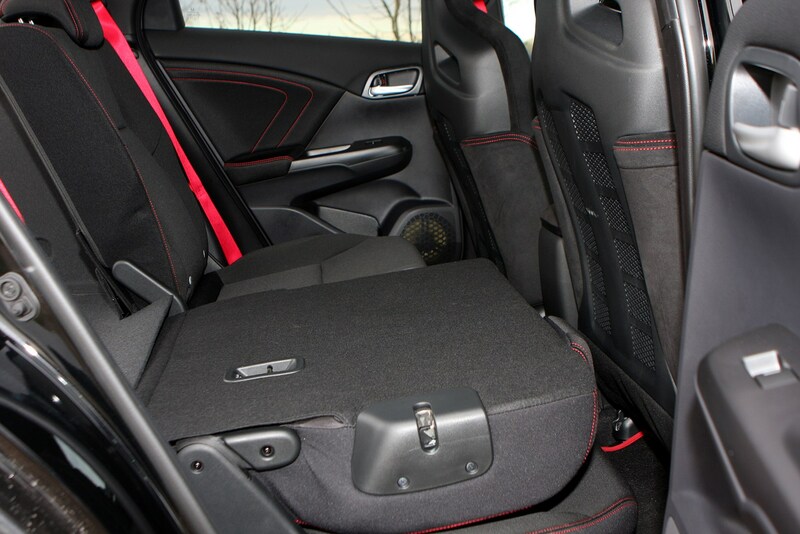 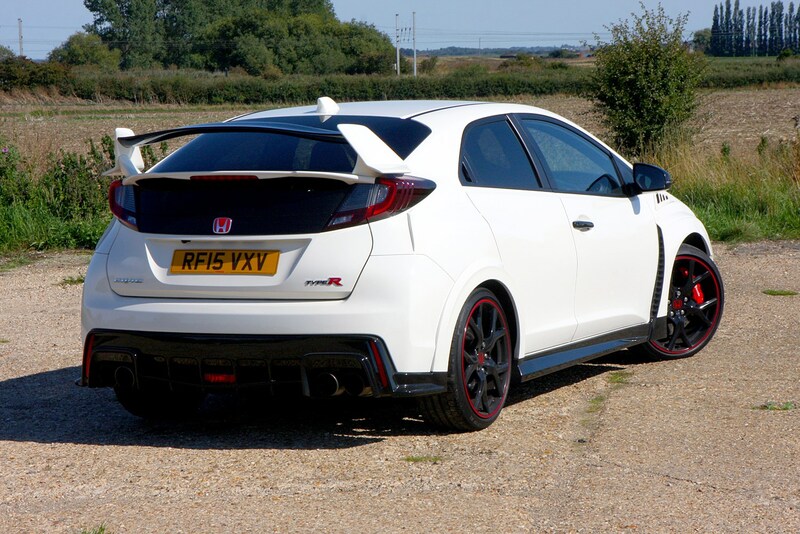 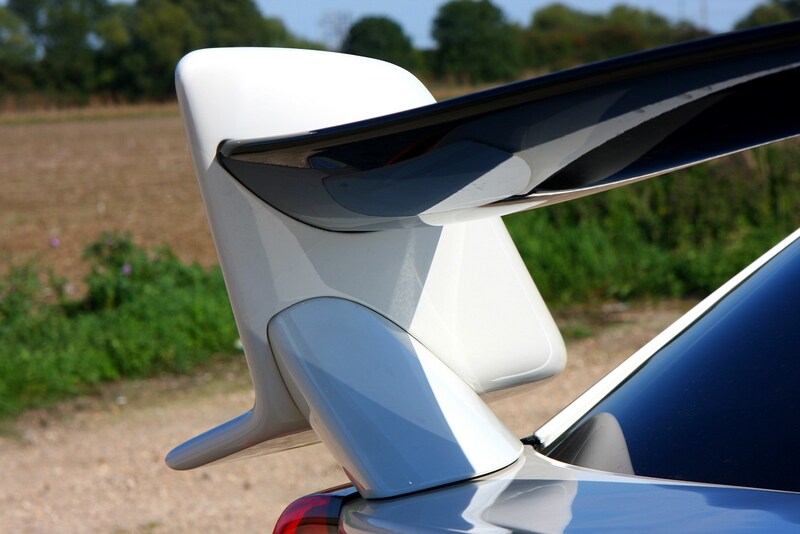 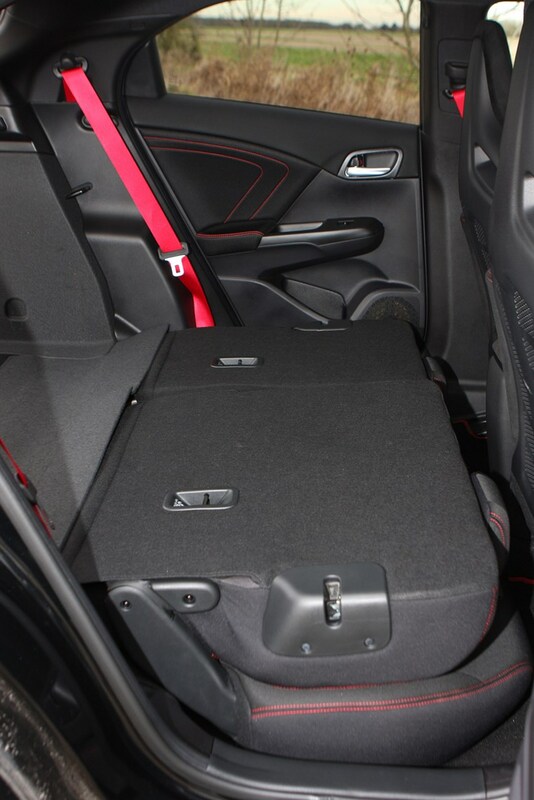 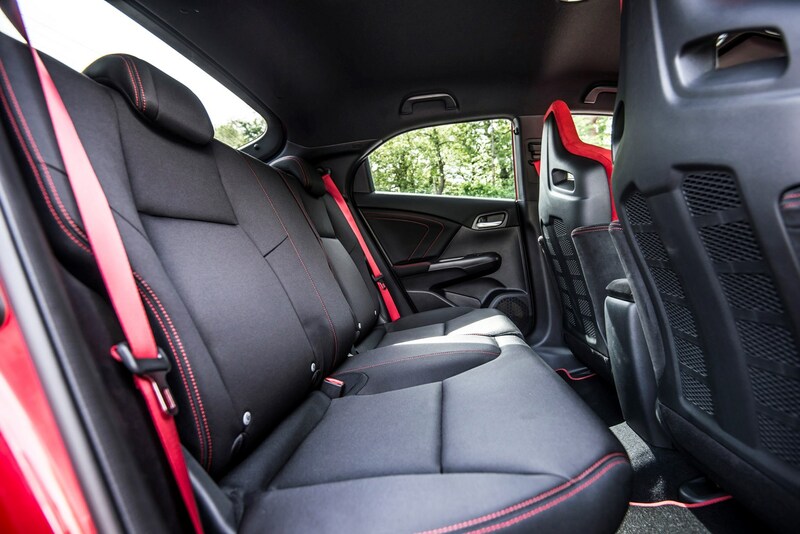 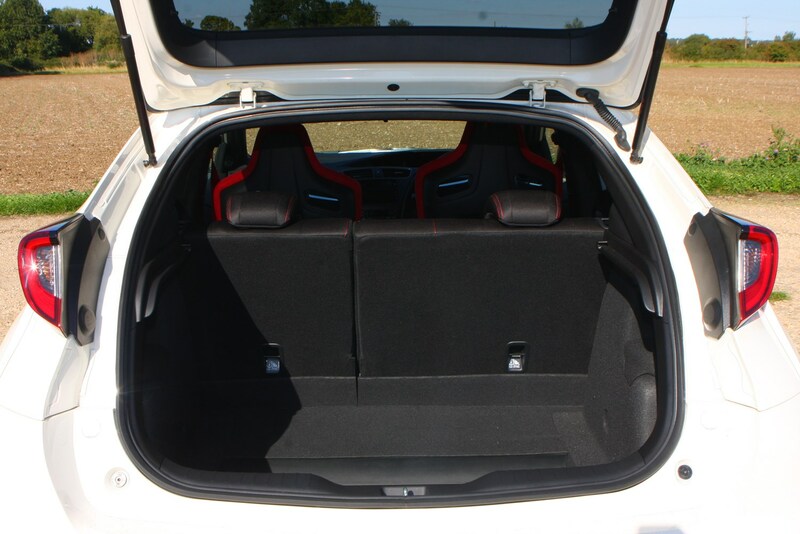 With its clever tip-up rear seats the standard Civic has always been favoured for its load-lugging ability, but Honda Civic Type R practicality is slightly hampered by this innovative system being deleted. 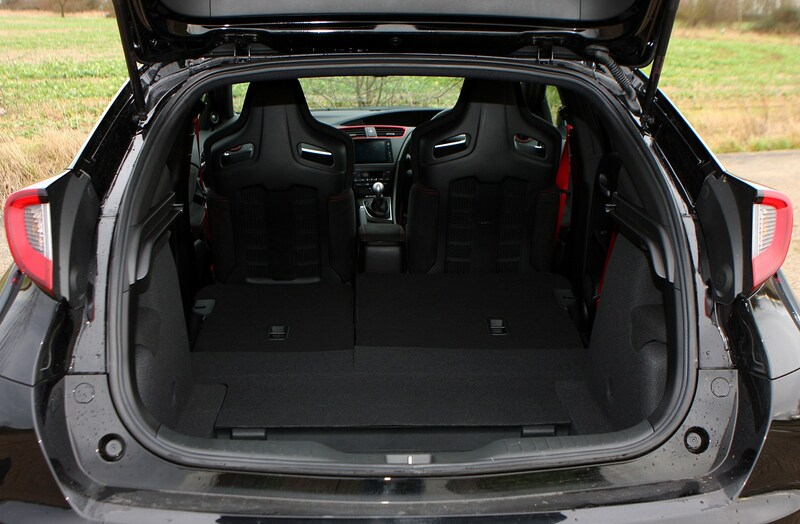 It’ll still hold just as much luggage overall, seats up or folded down, as the standard car but removing the mechanism reduced the weight of the bench construction by 17 percent. 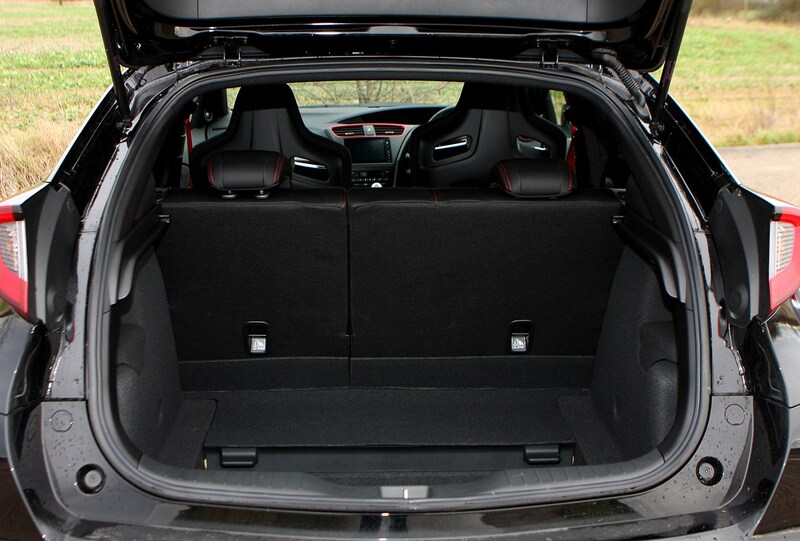 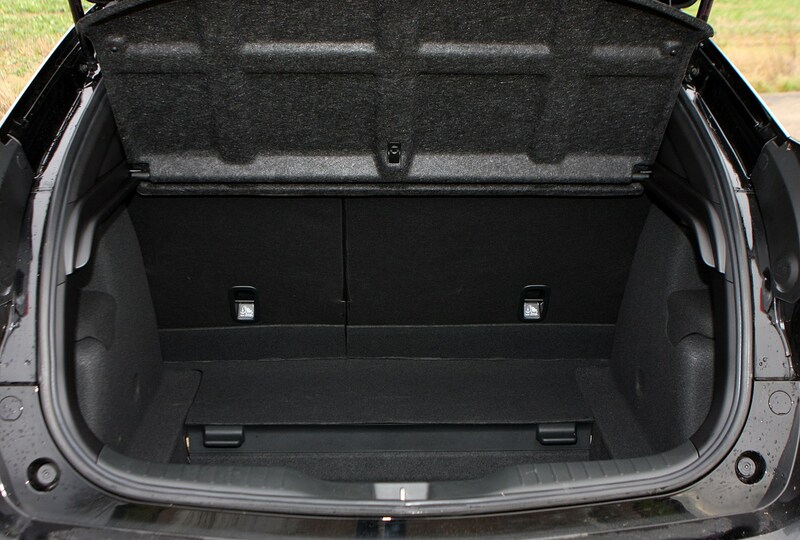 Make use of the boot with those seats in place and the carrying capacity is 498 litres, while folding them flat increases the total to 1,214 litres. 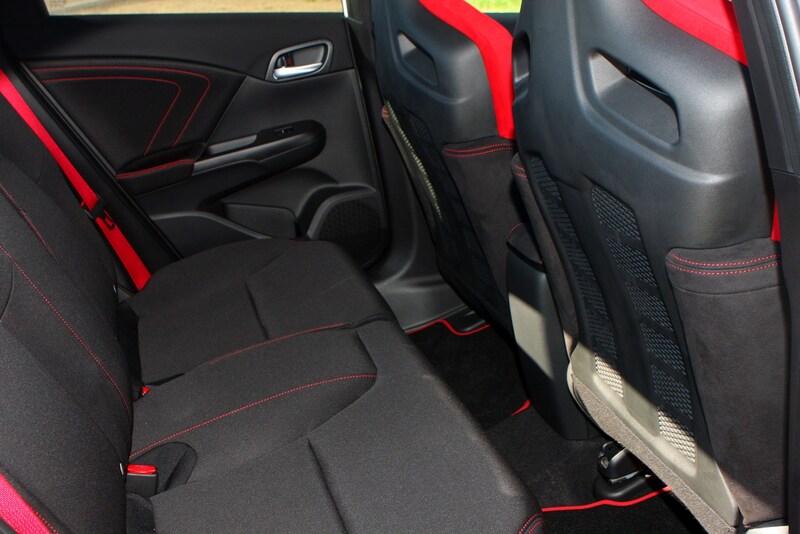 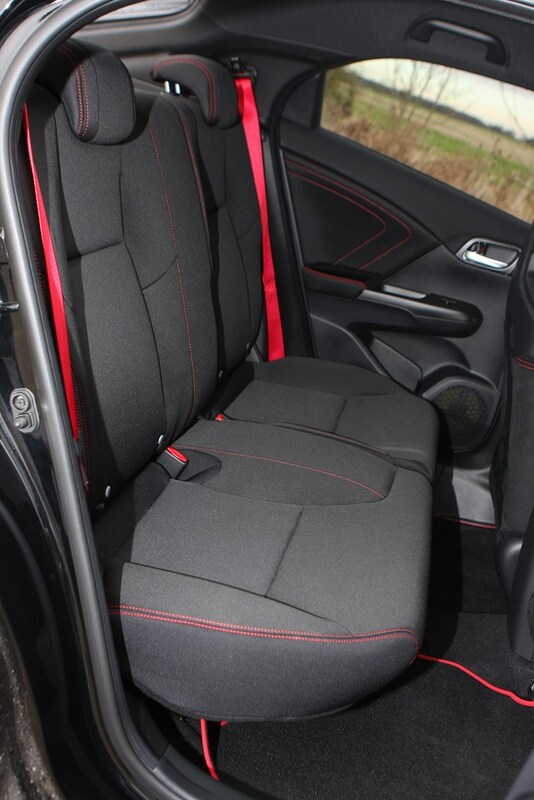 Like the car it’s based on the Civic retains its five-seat configuration with ISOFIX mountings for the outer pair of seats on the rear bench. 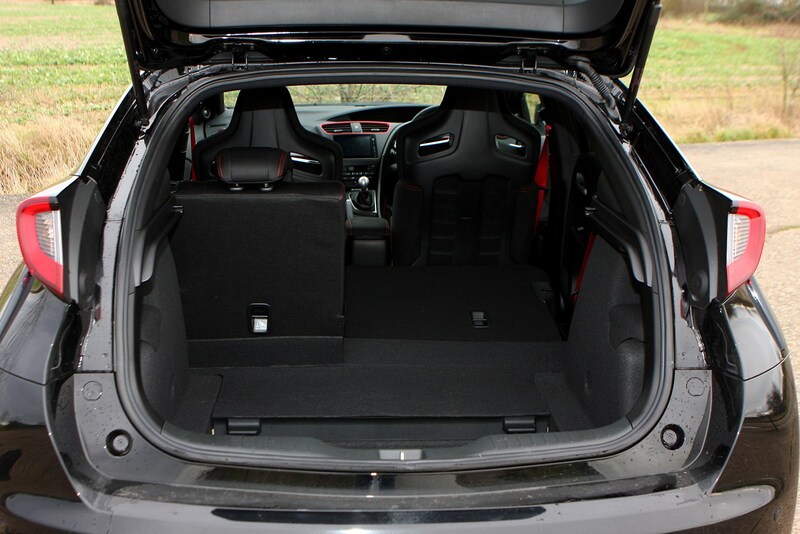 There’s ample space back there too, though the high set solid seat shells from the chairs in front can make it feel a little claustrophobic. 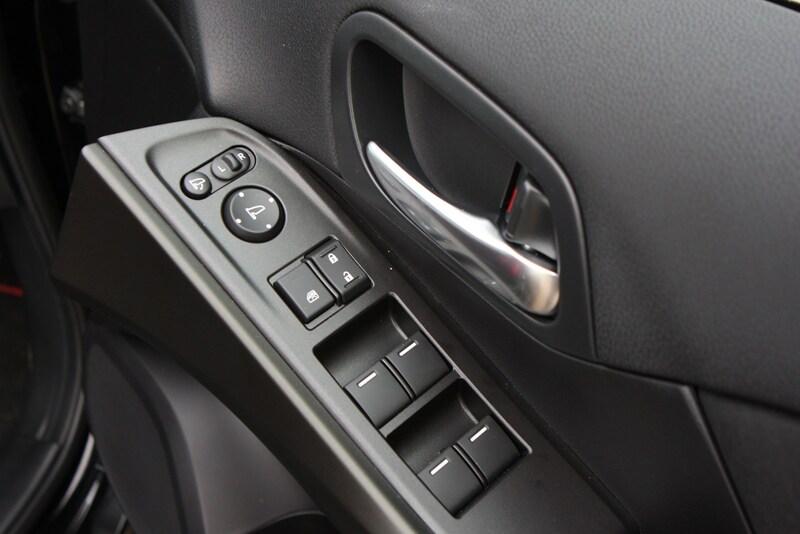 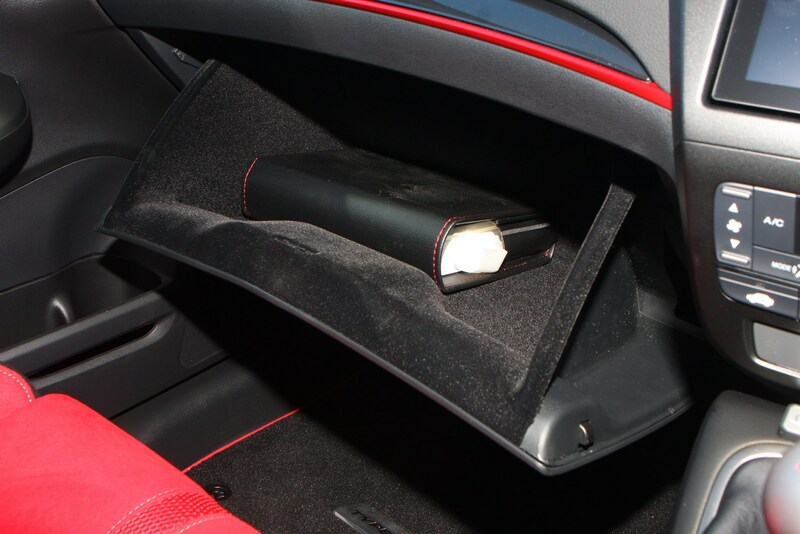 There are of course door pockets on each of the doors - though the ones at the rear are frustratingly small – and the front features a usable glove box and transmission tunnel-mounted cubby plus a pair of cup holders. 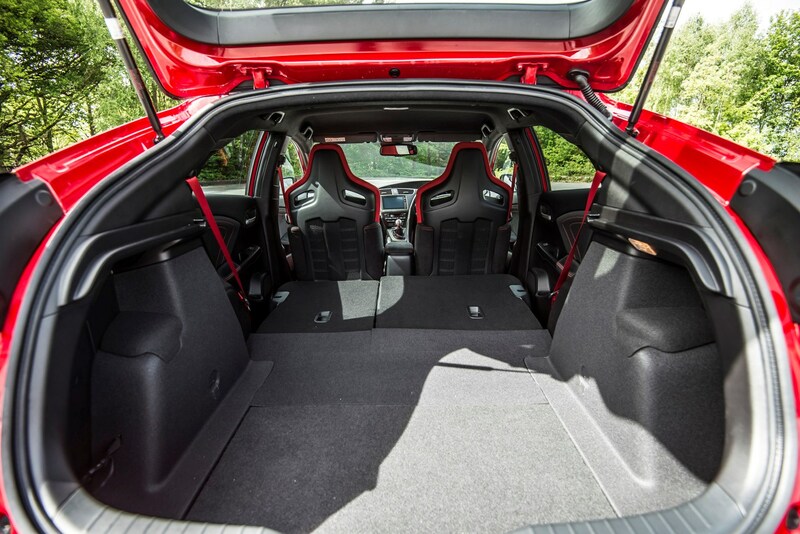 Check the table below to see how the Honda Civic Type-R (15-17) compares to other similar cars in terms of available boot space.